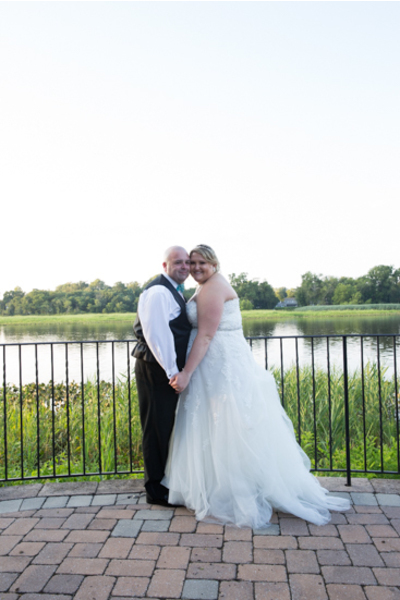 Congratulations to Kaitlin and John on their beautiful wedding! 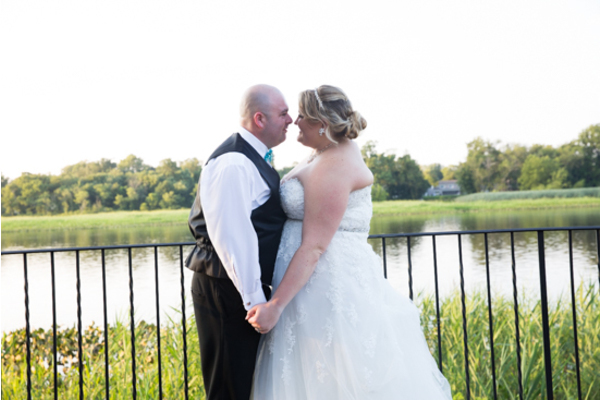 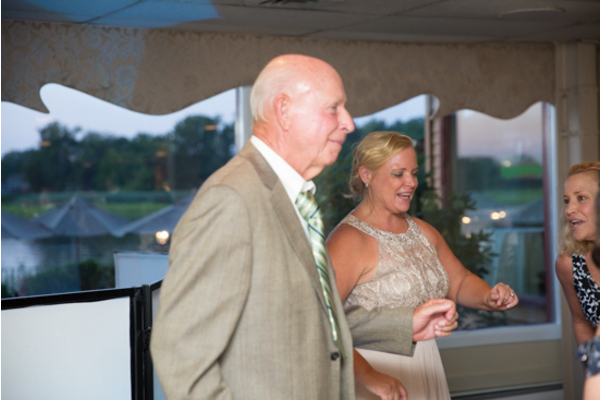 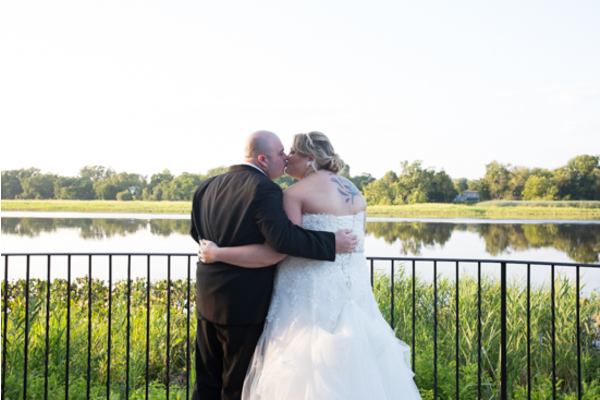 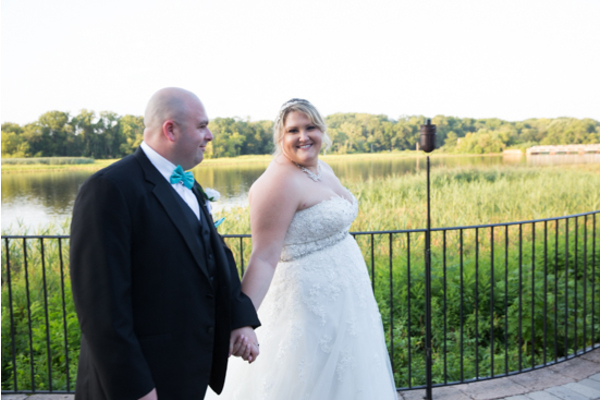 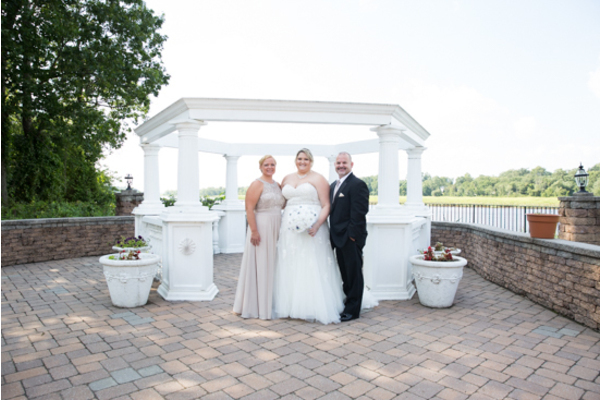 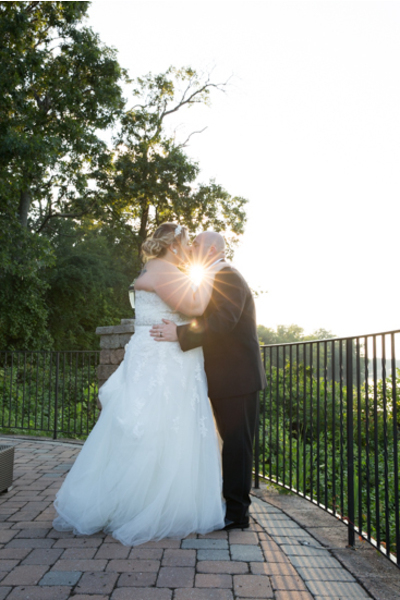 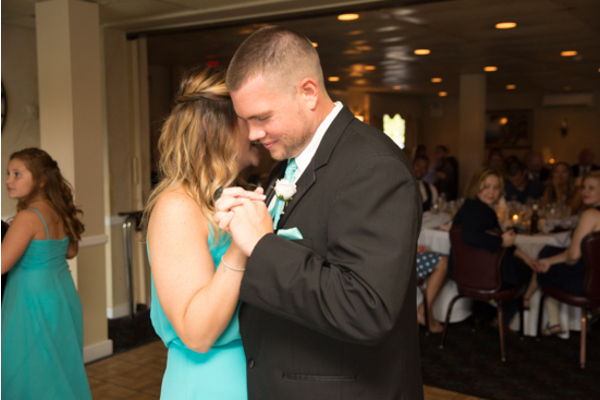 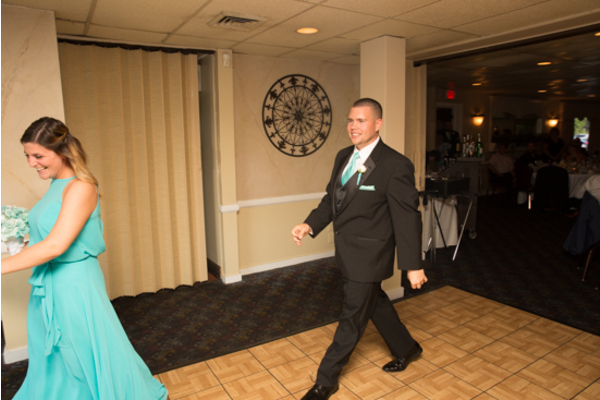 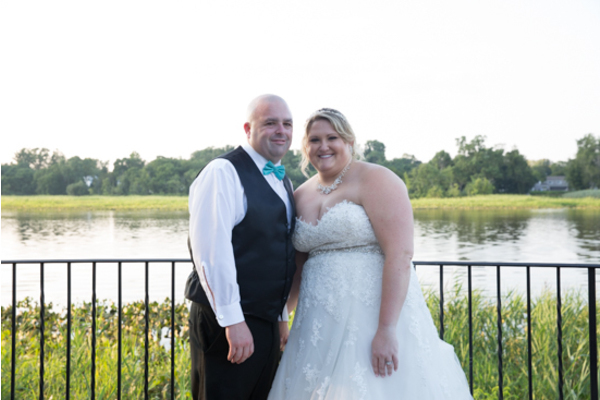 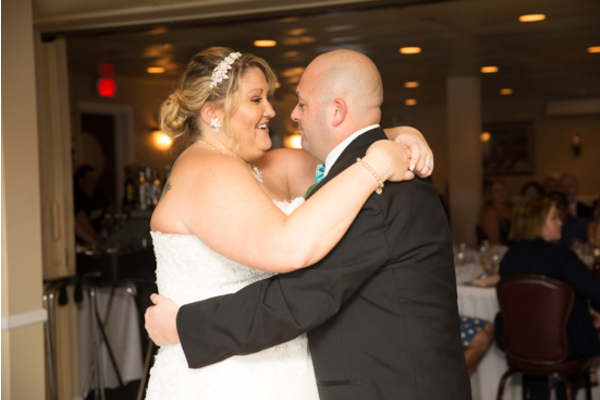 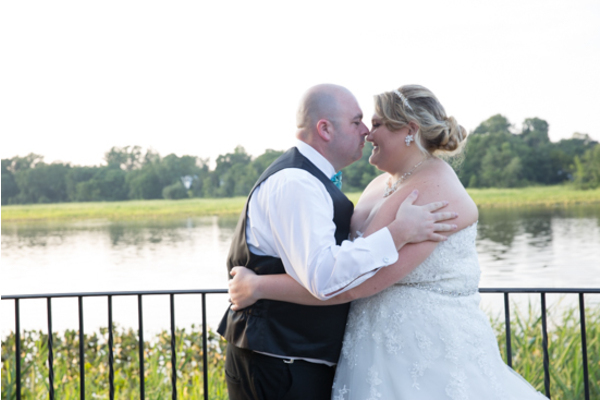 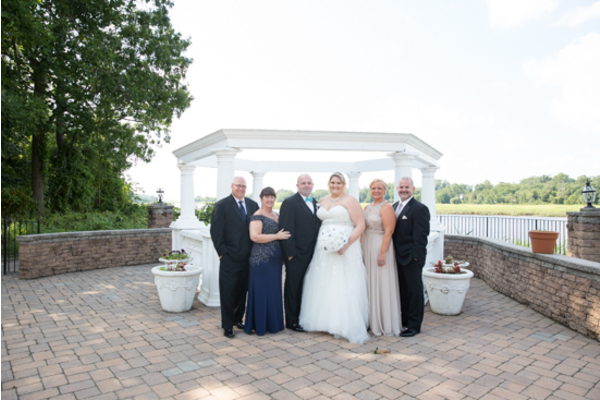 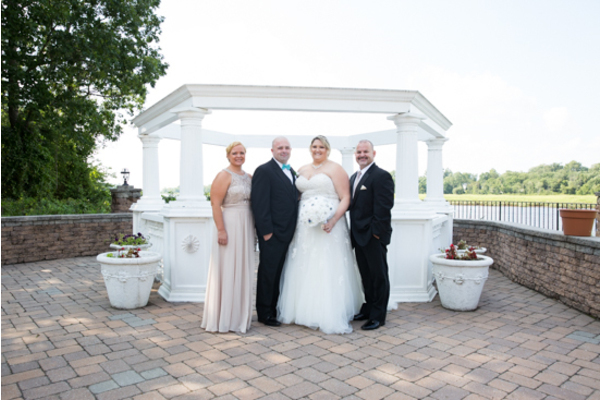 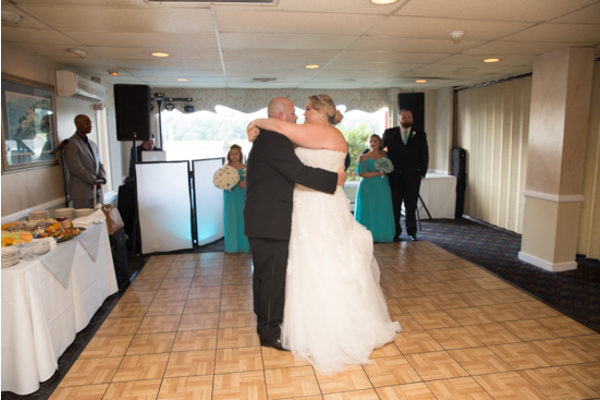 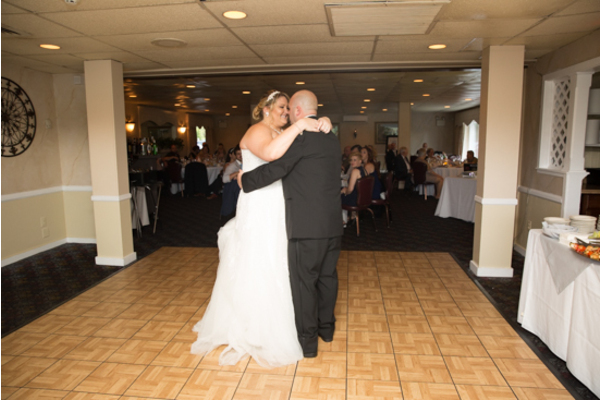 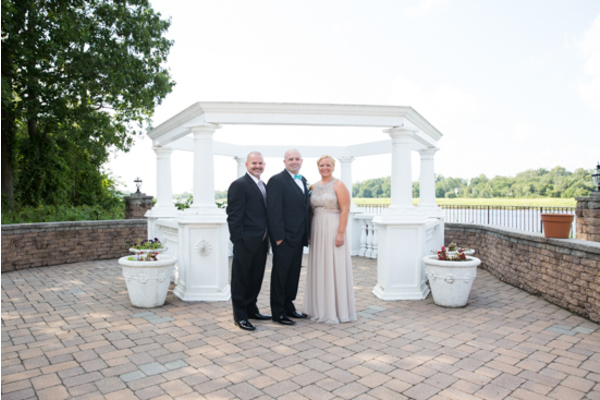 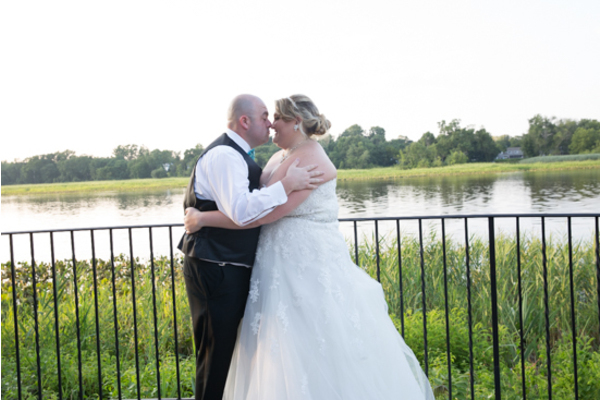 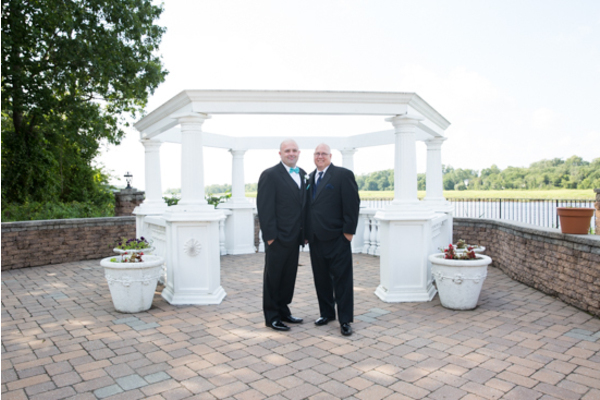 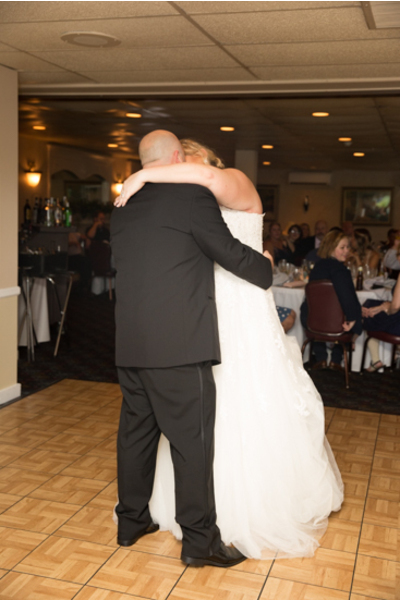 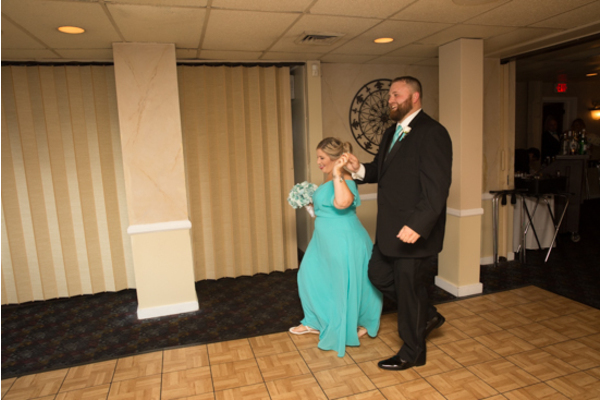 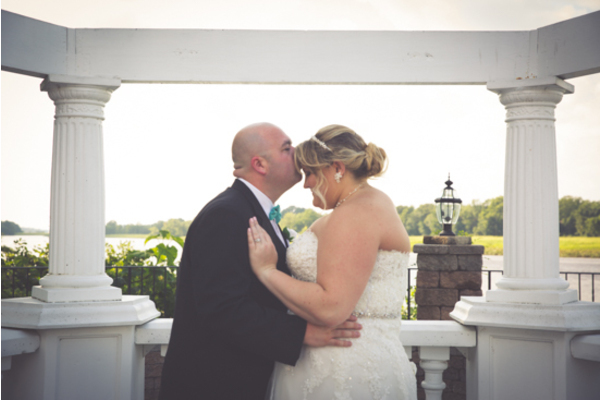 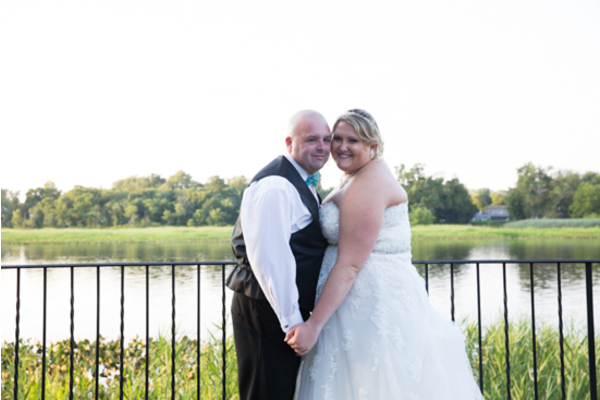 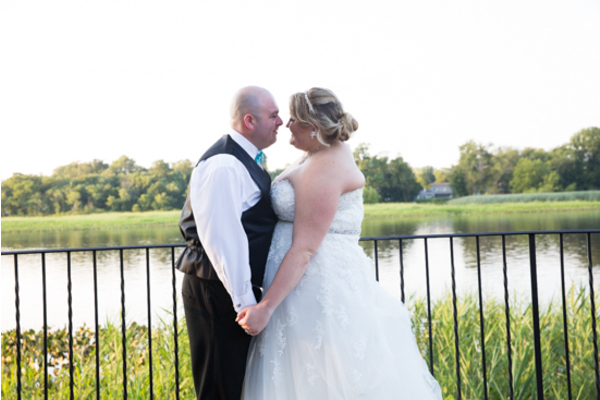 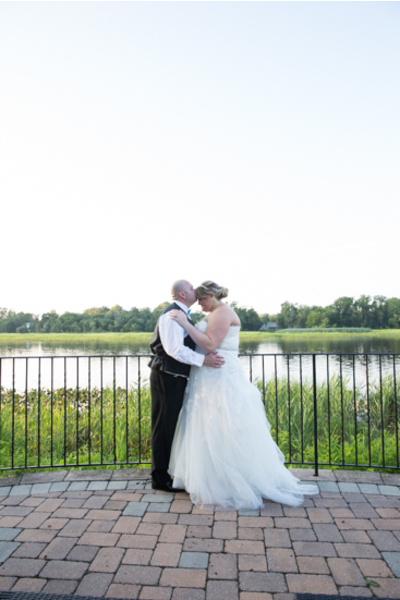 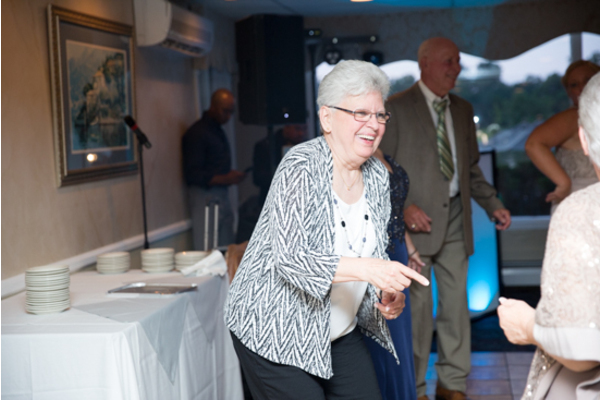 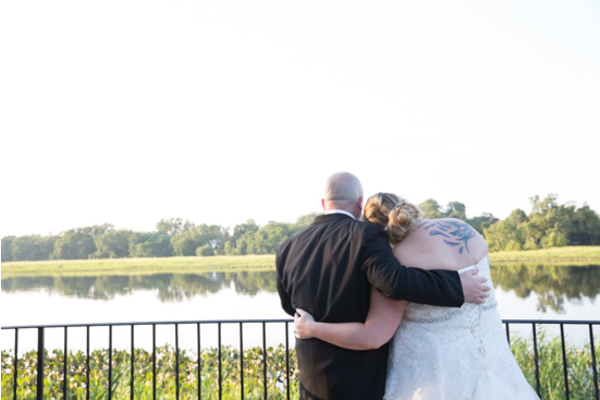 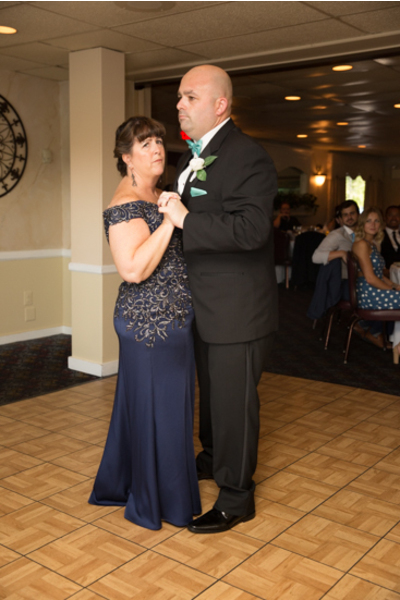 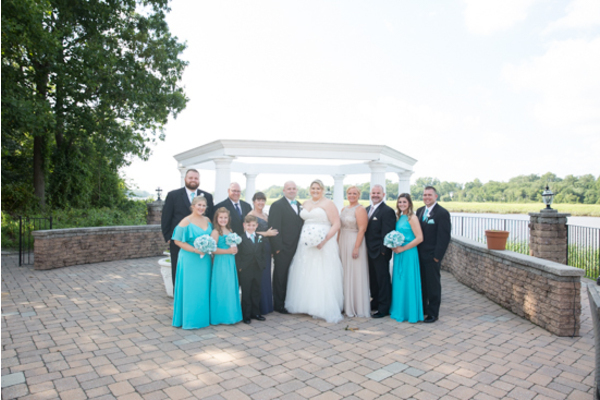 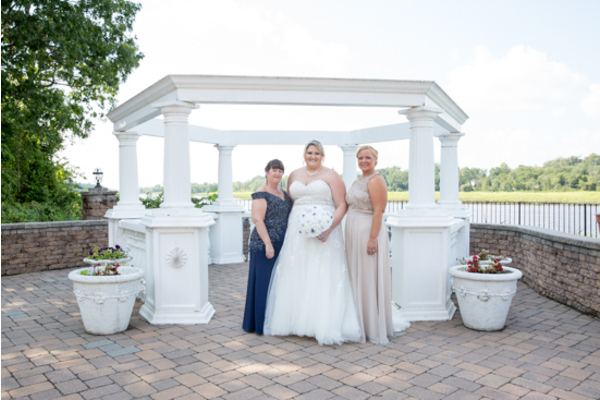 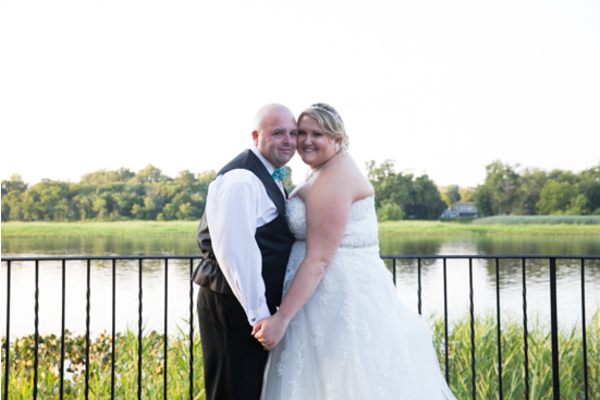 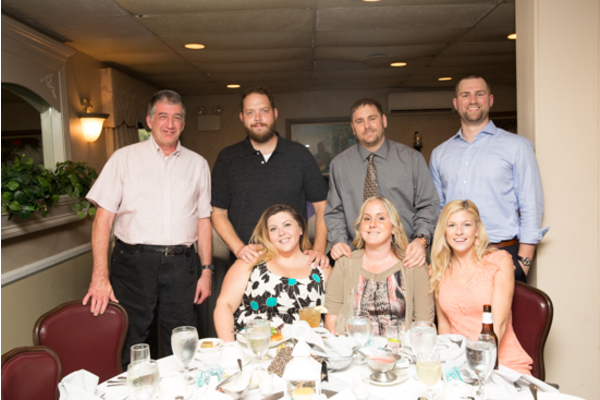 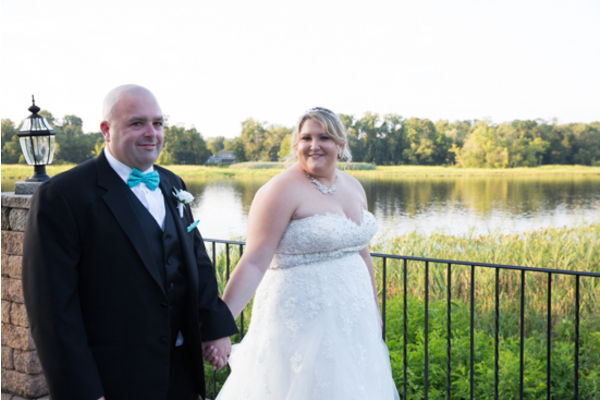 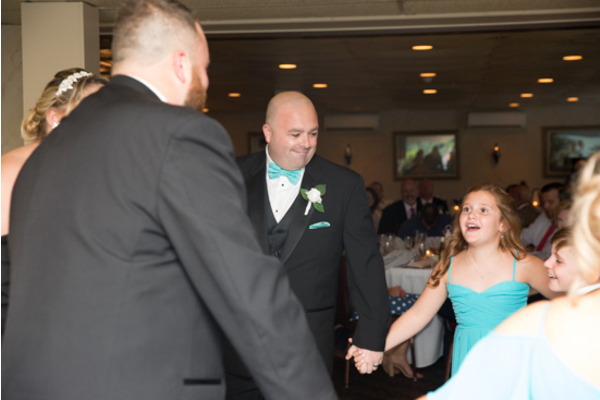 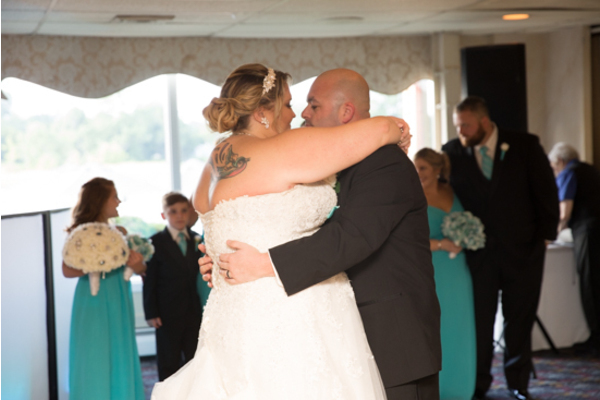 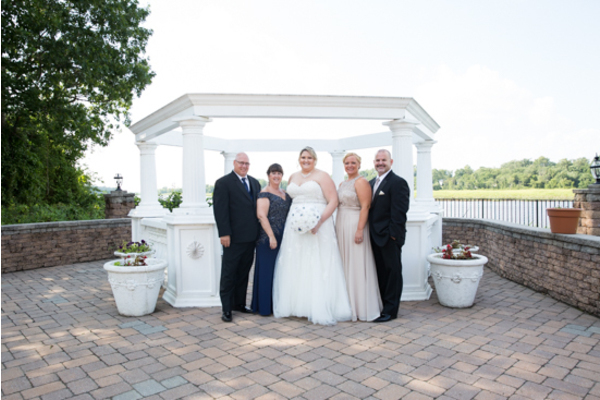 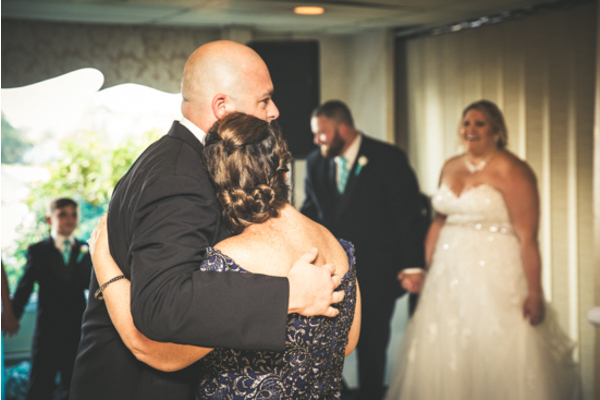 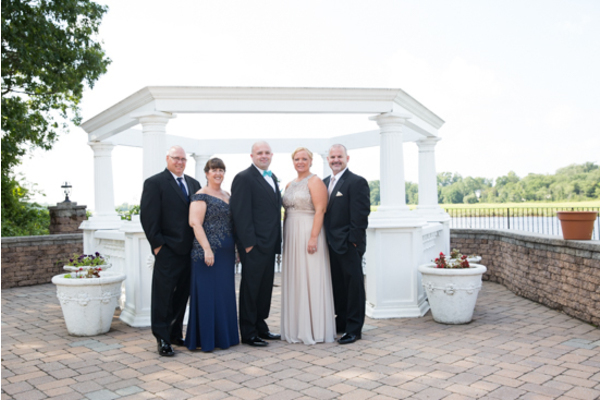 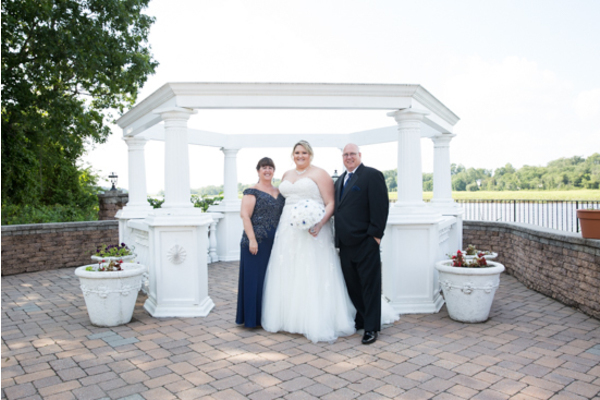 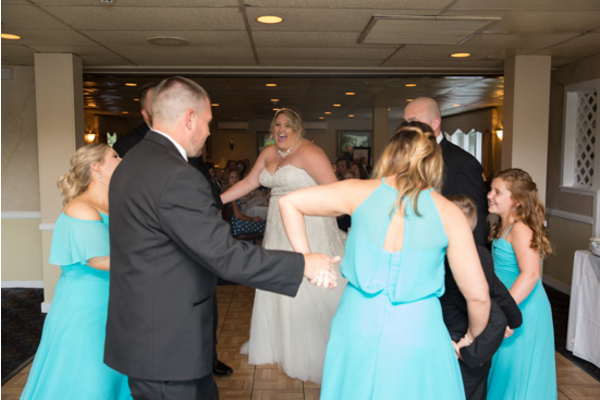 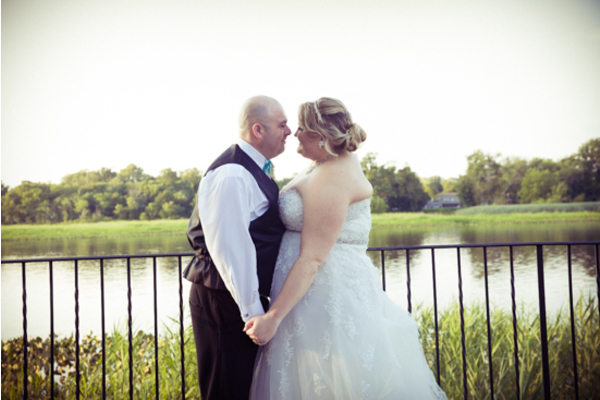 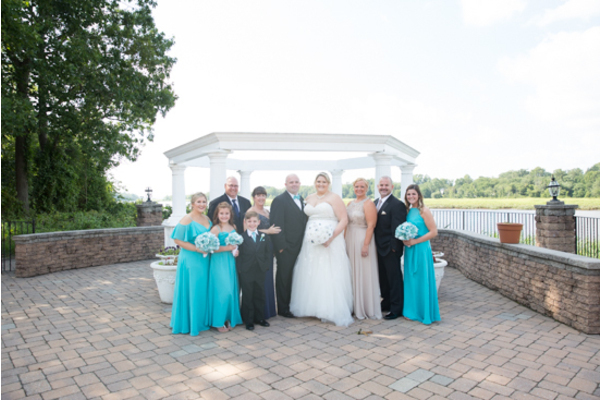 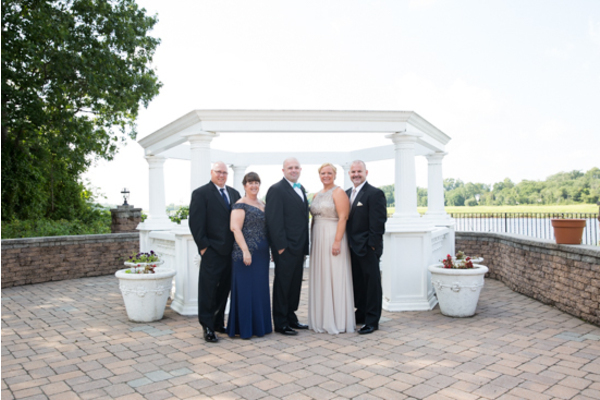 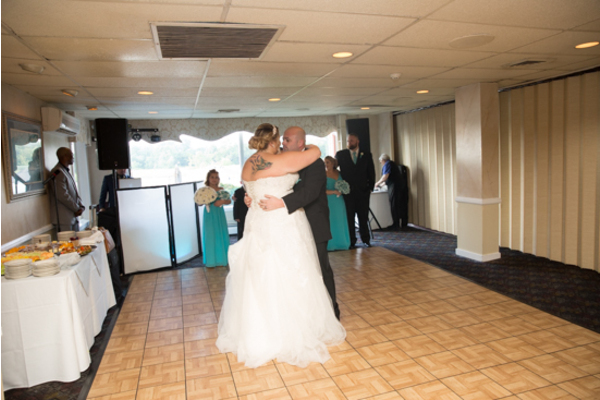 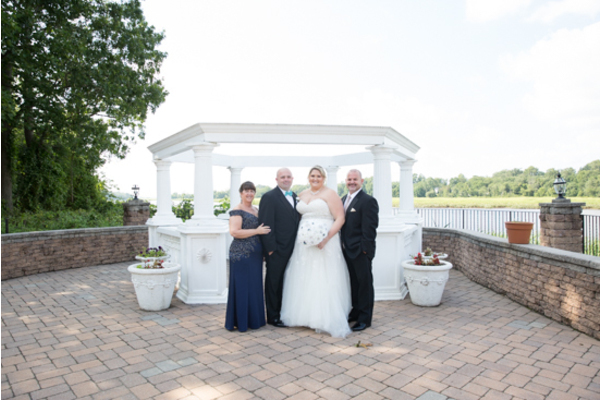 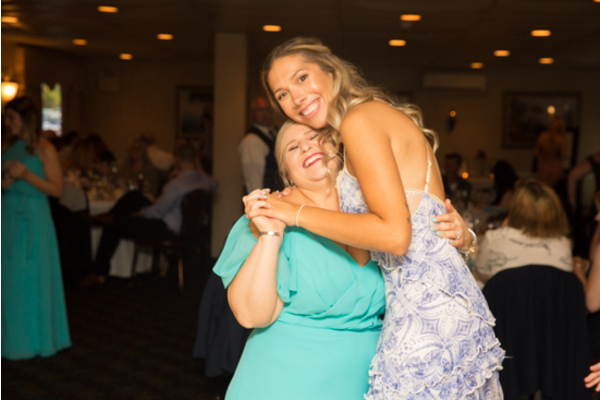 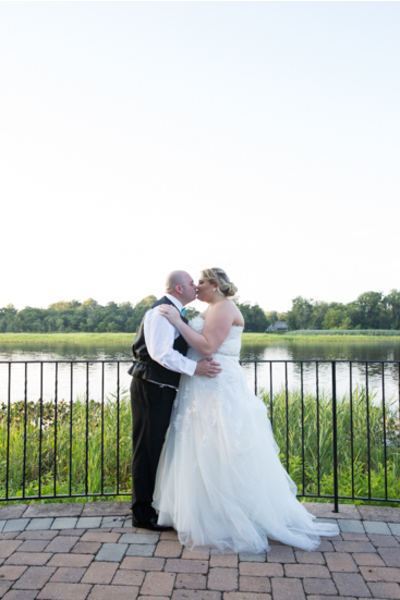 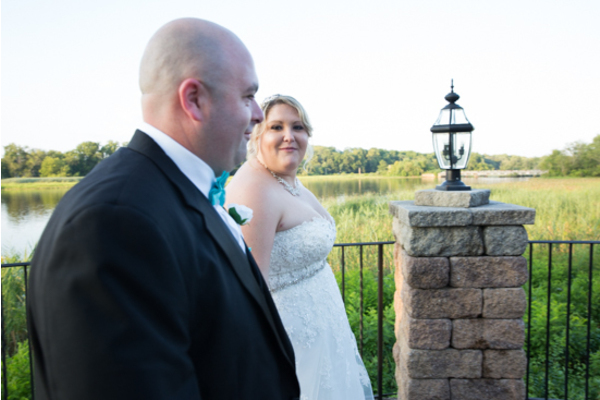 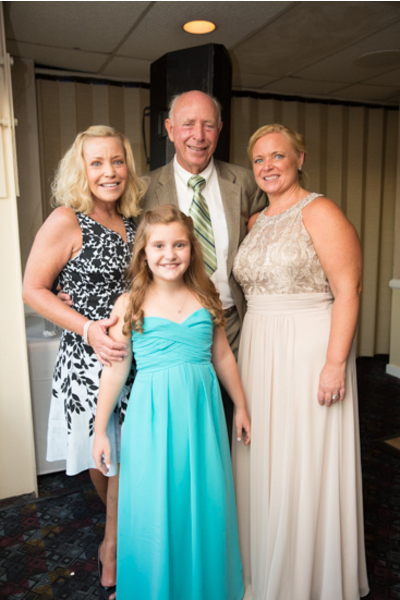 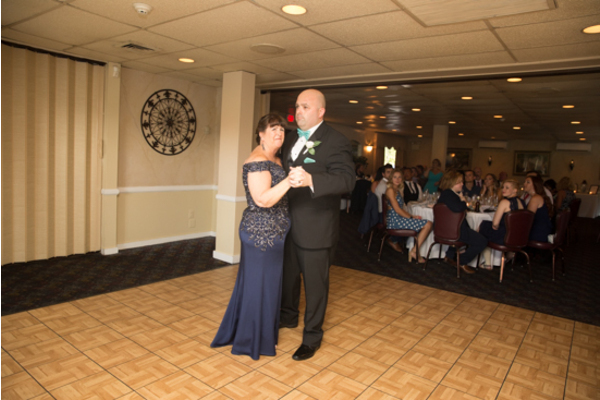 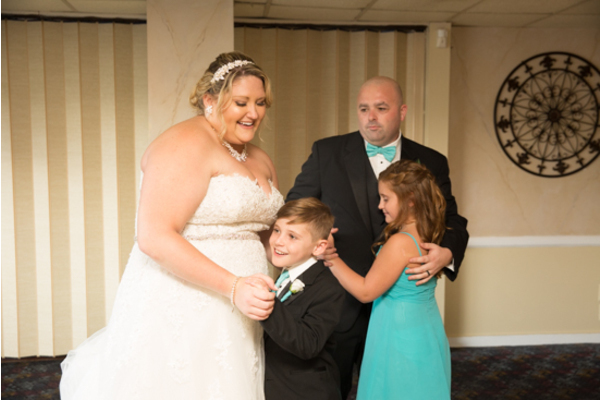 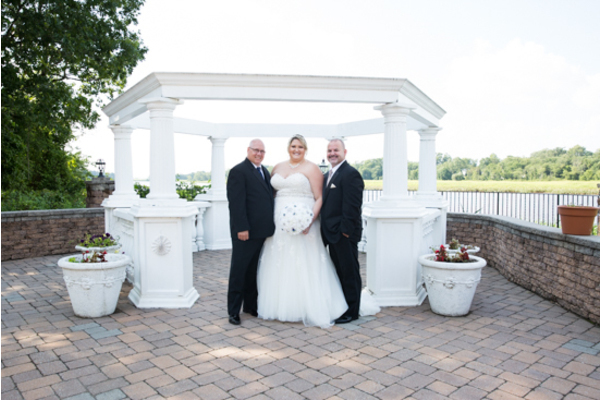 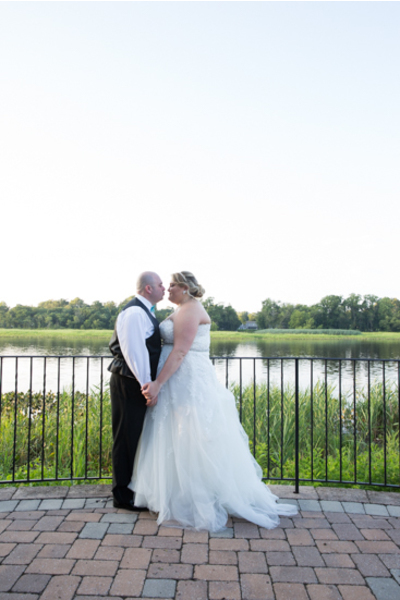 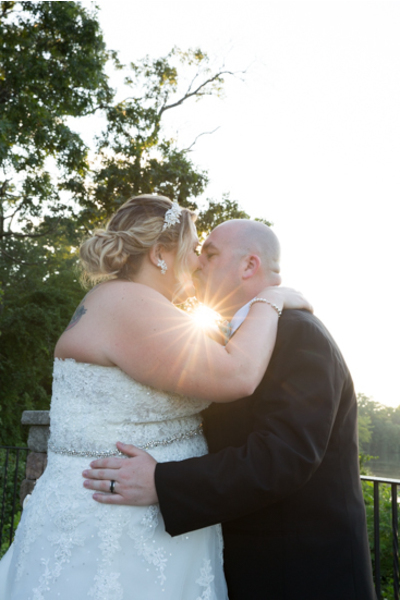 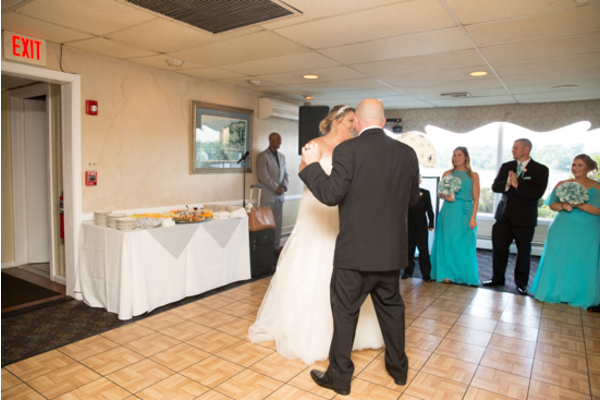 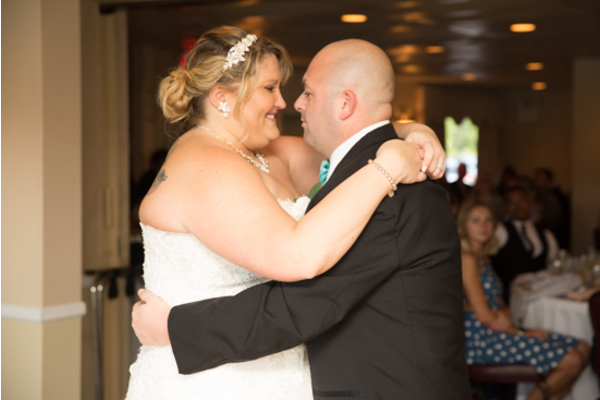 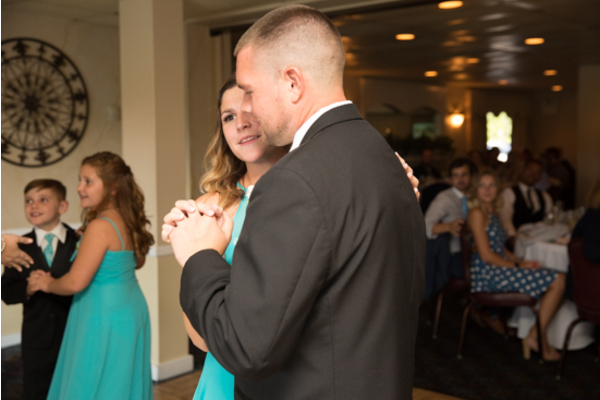 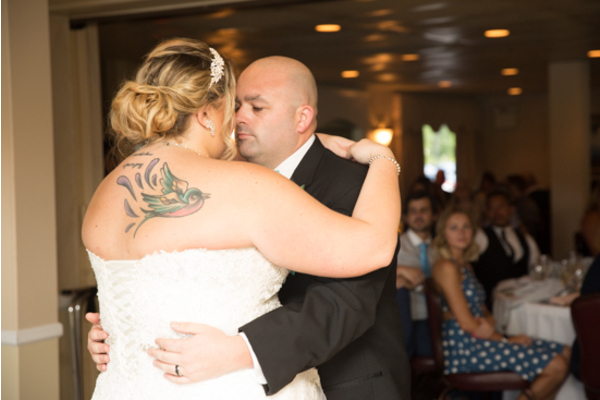 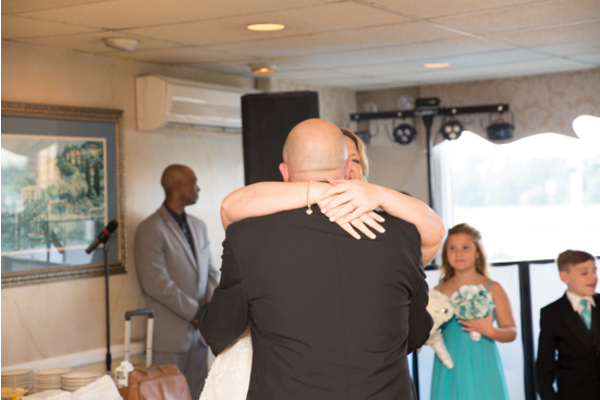 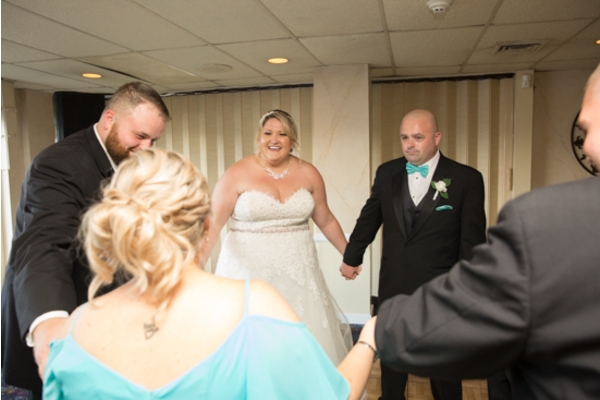 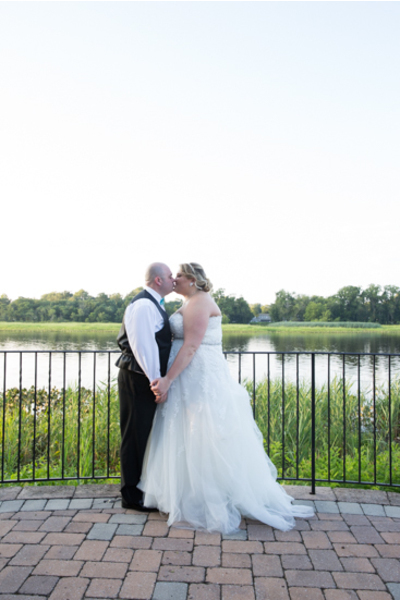 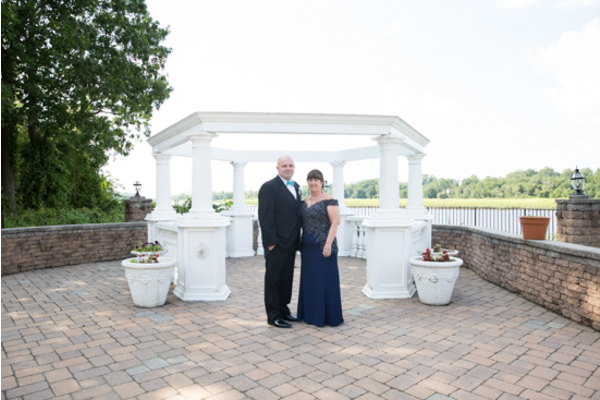 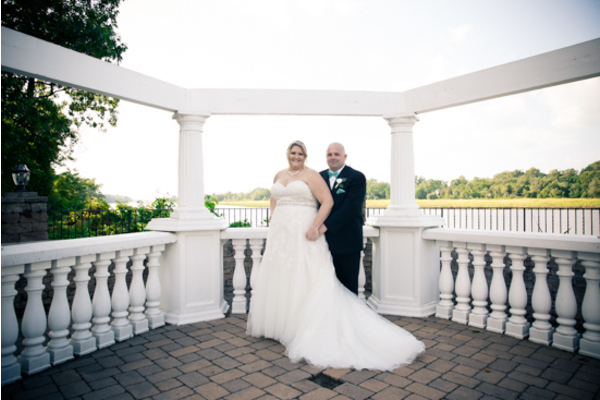 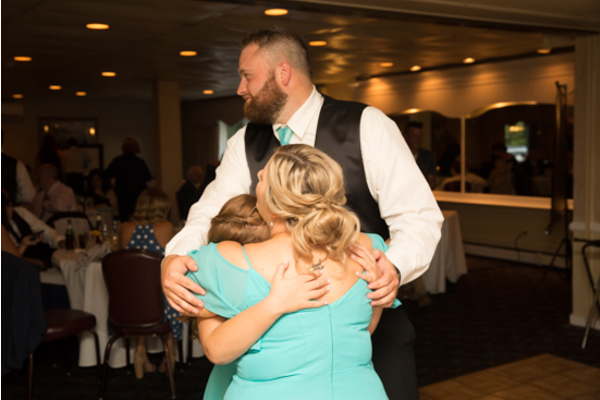 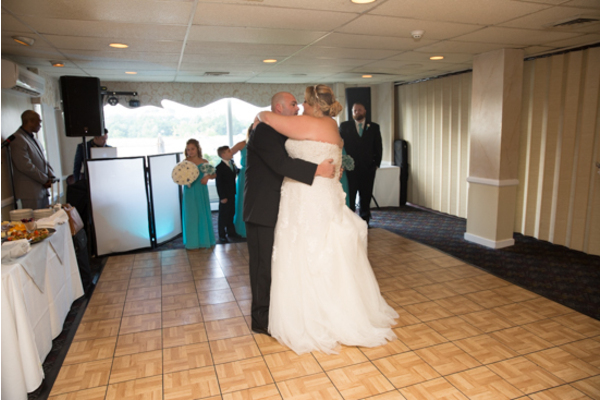 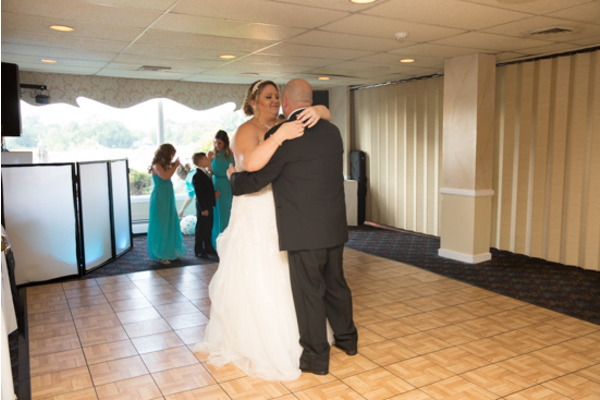 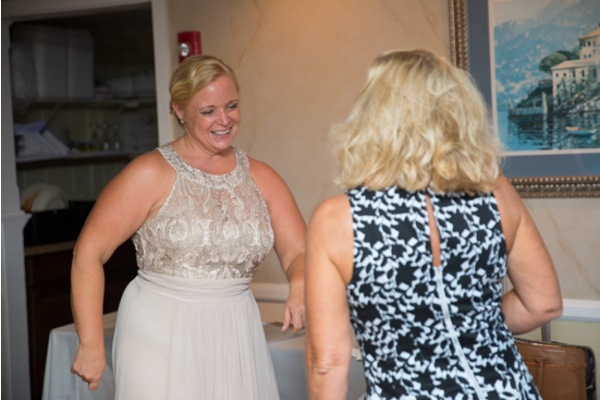 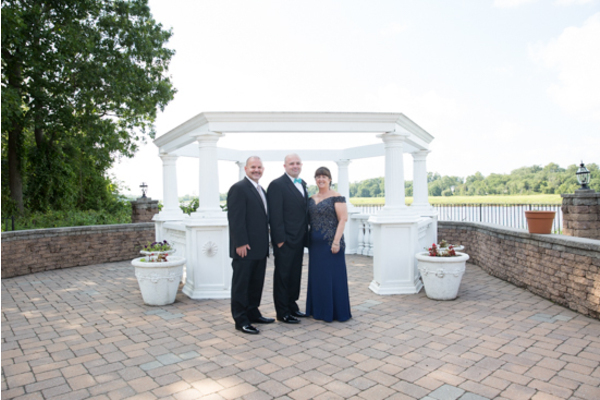 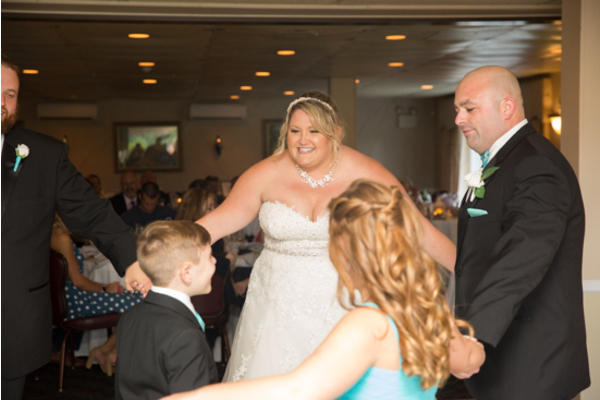 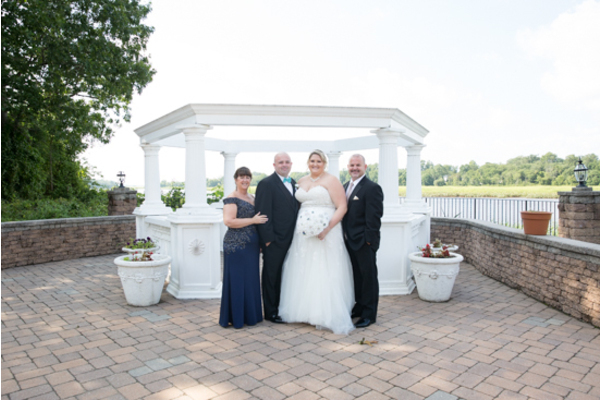 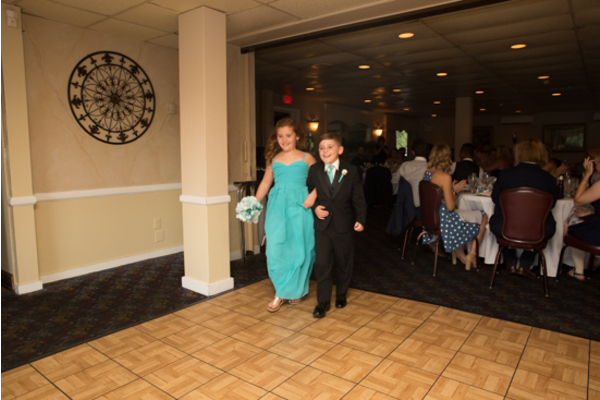 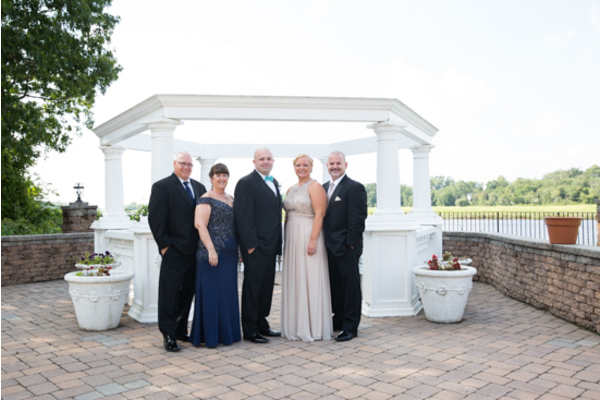 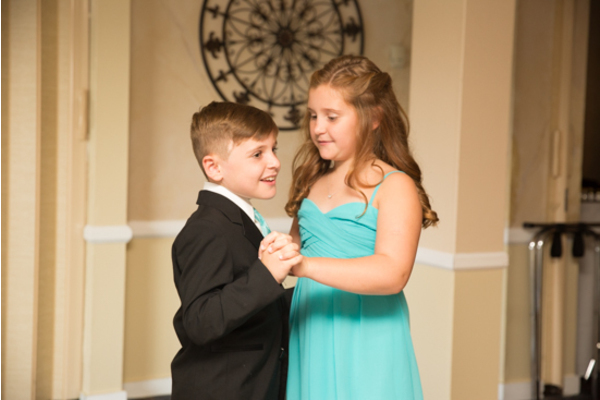 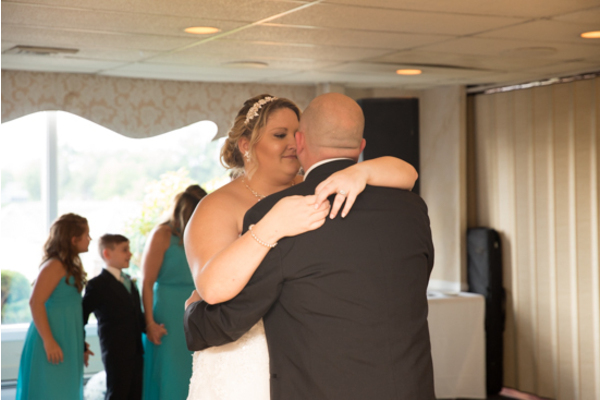 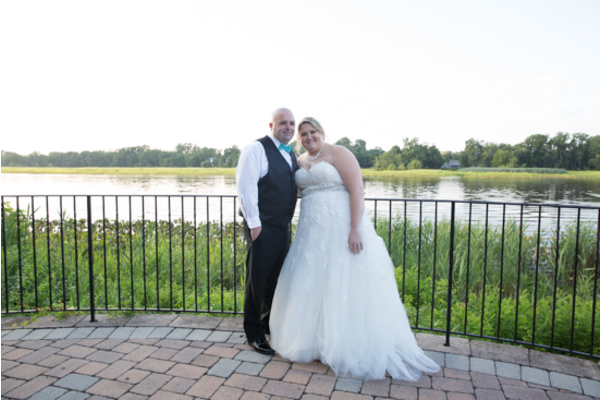 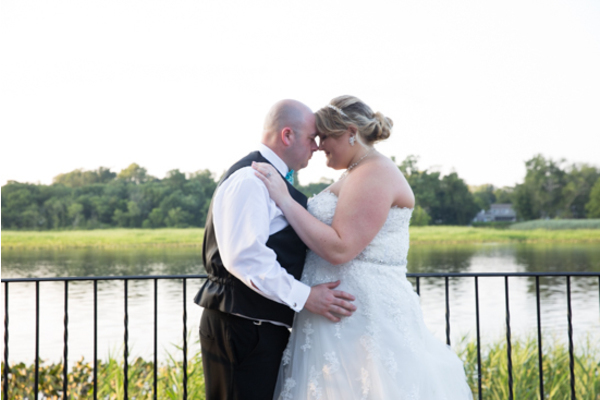 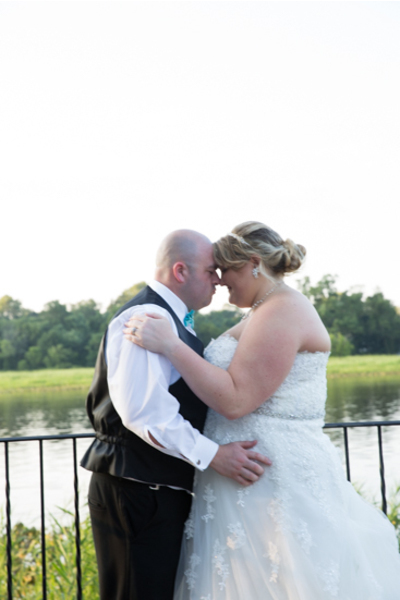 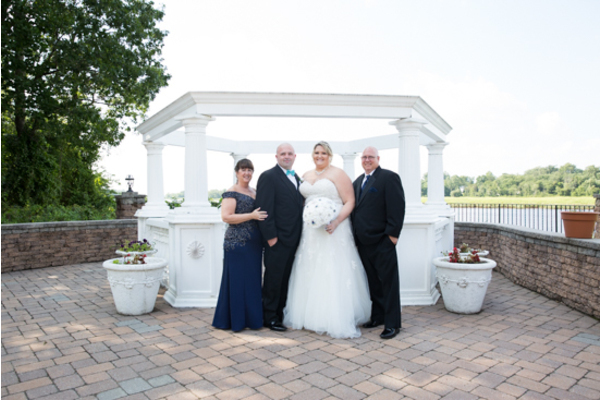 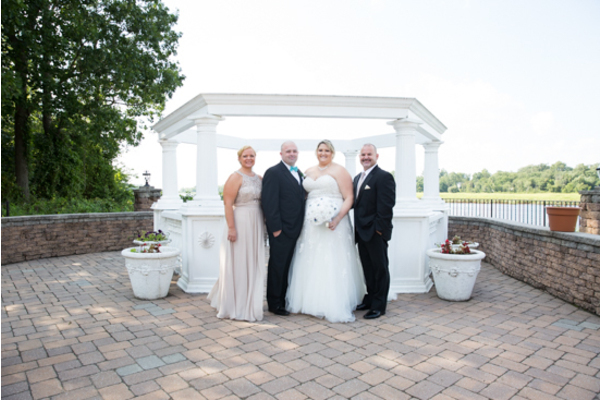 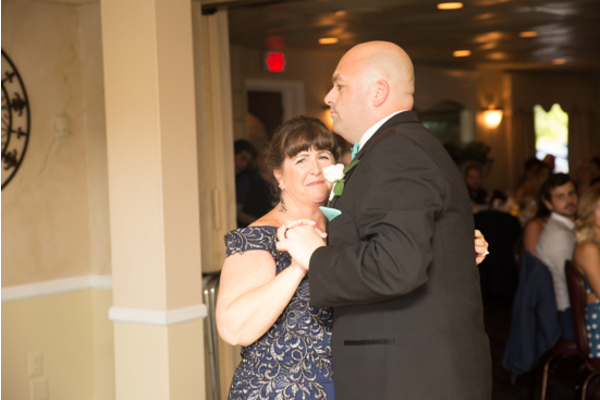 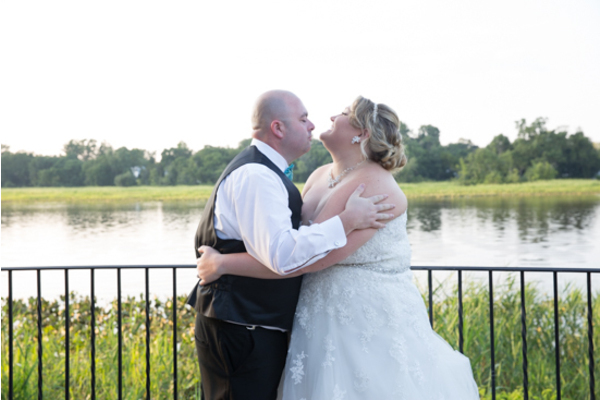 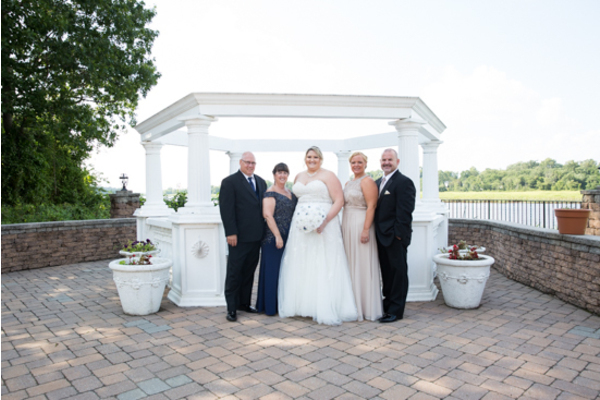 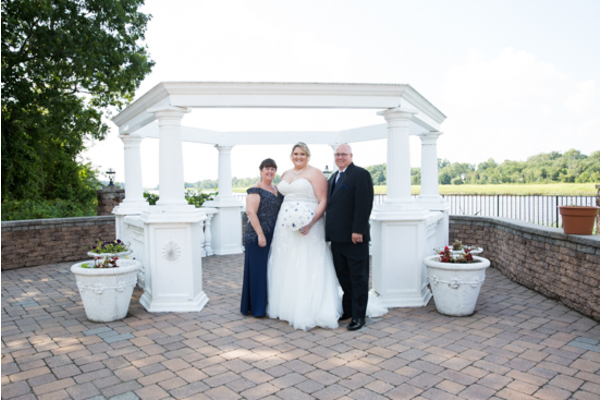 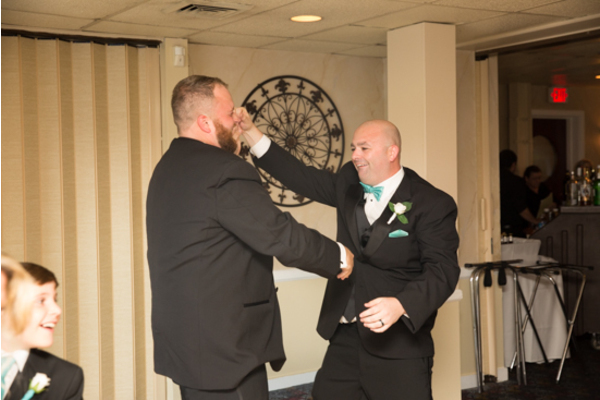 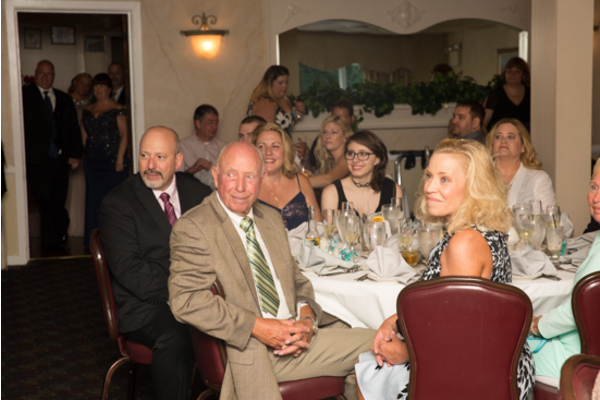 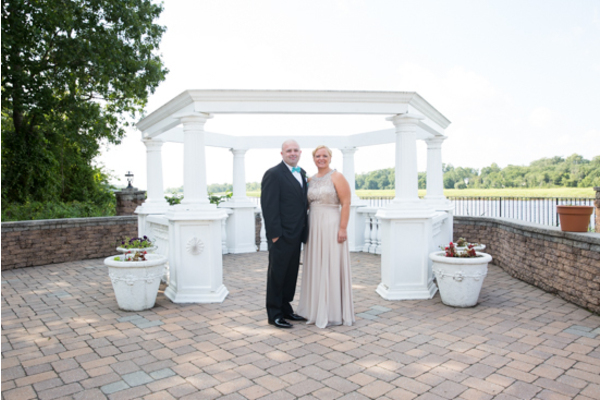 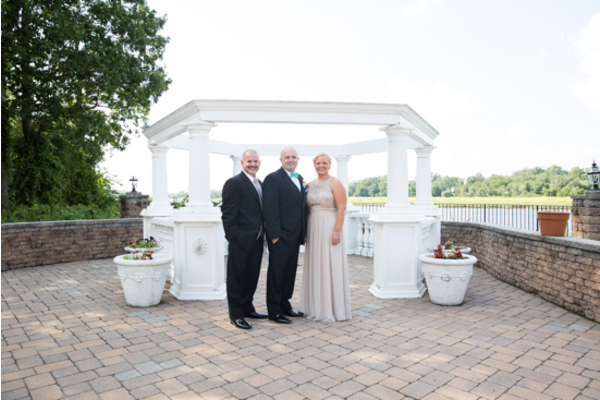 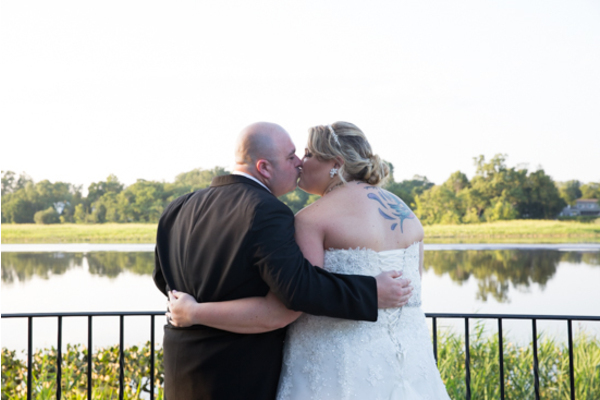 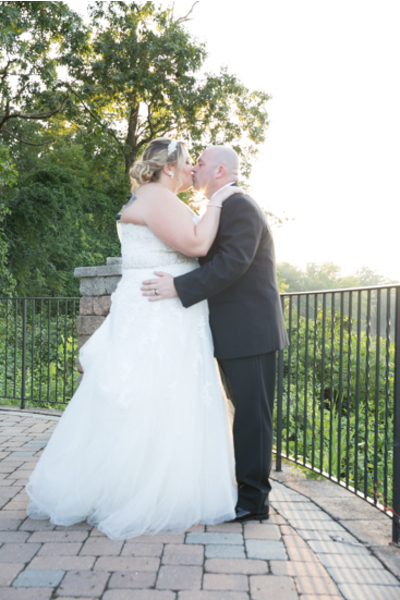 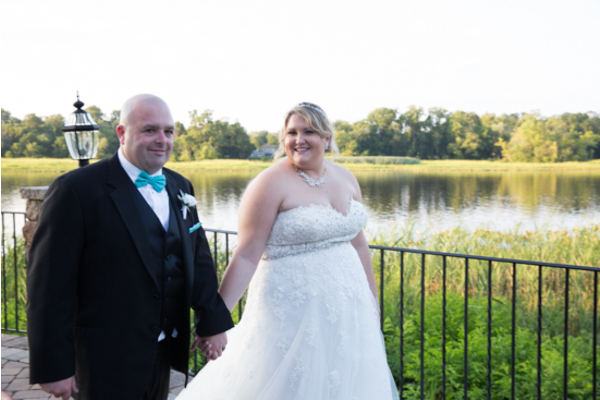 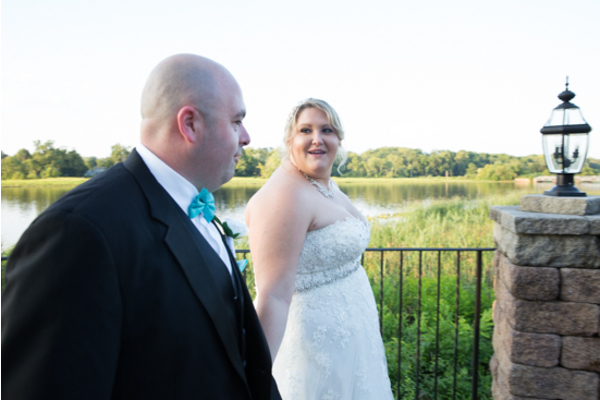 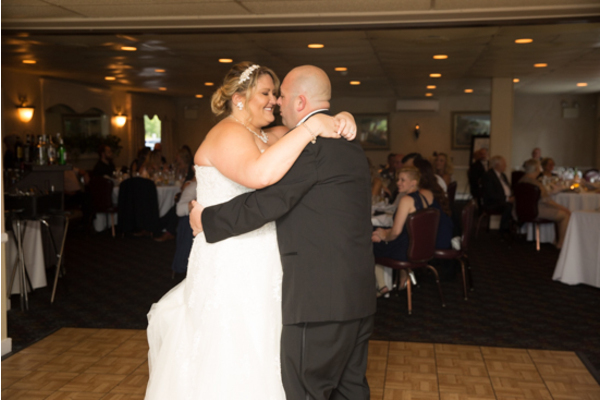 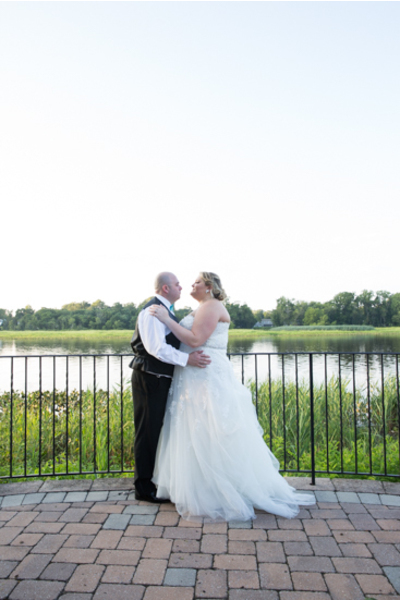 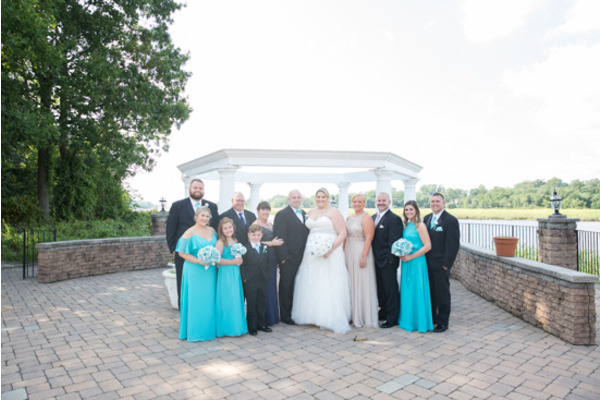 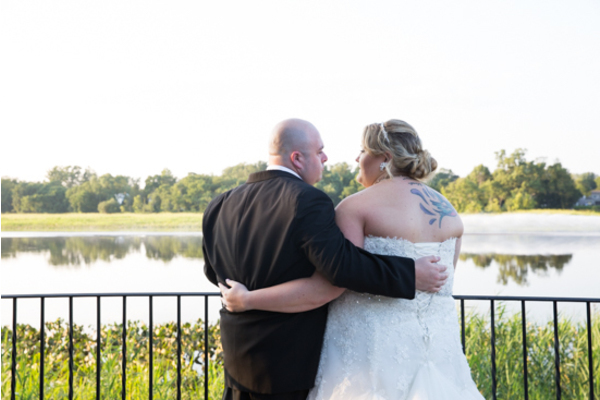 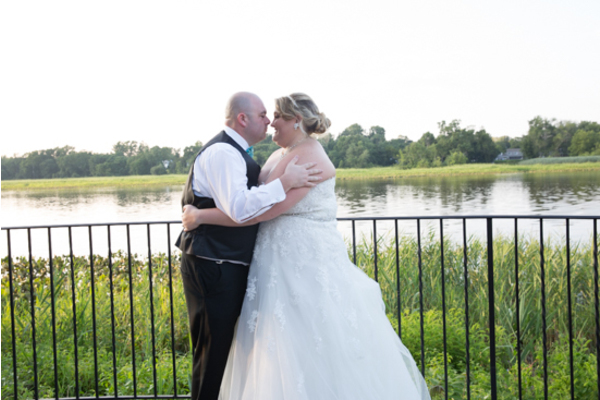 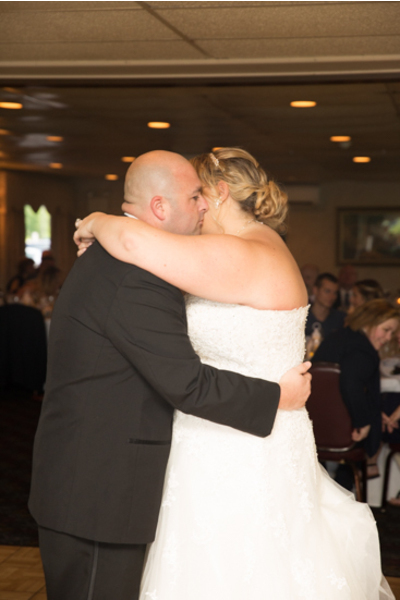 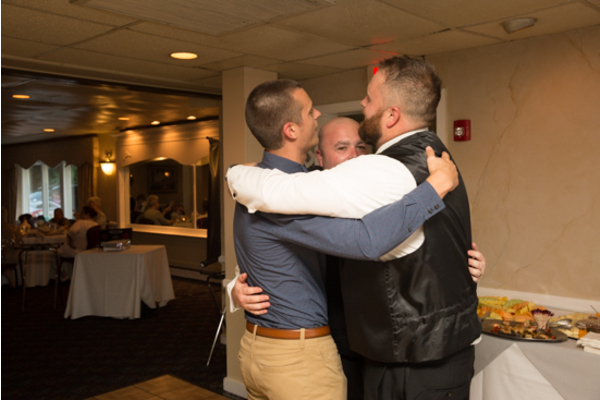 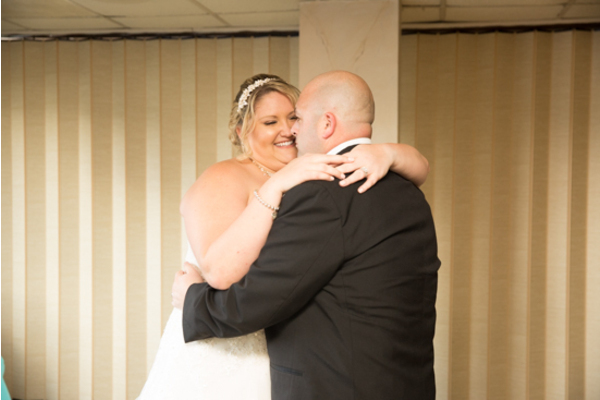 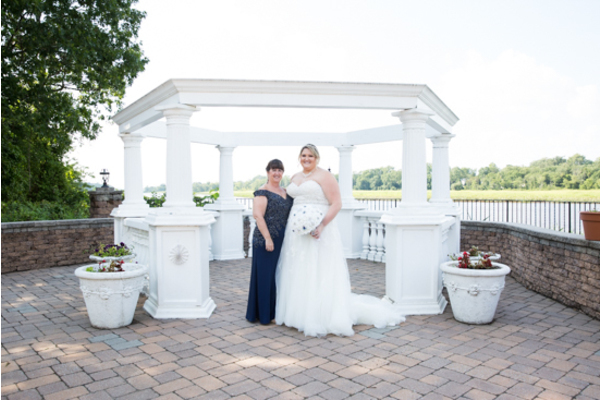 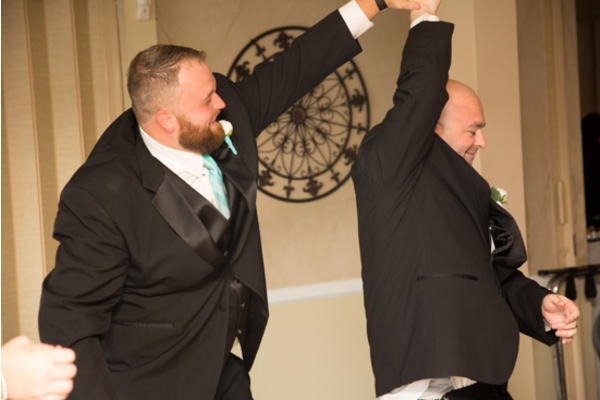 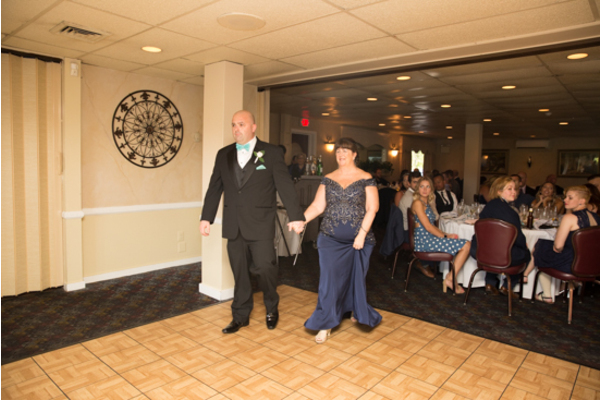 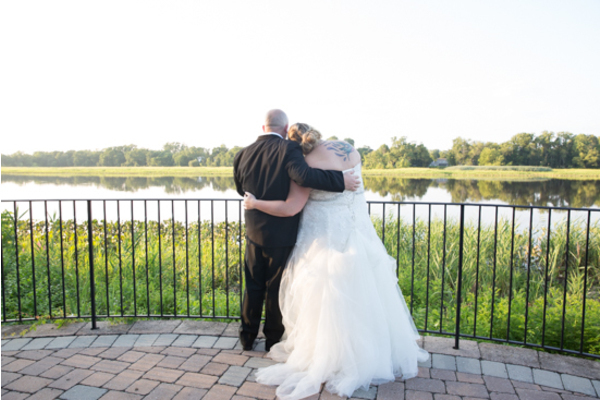 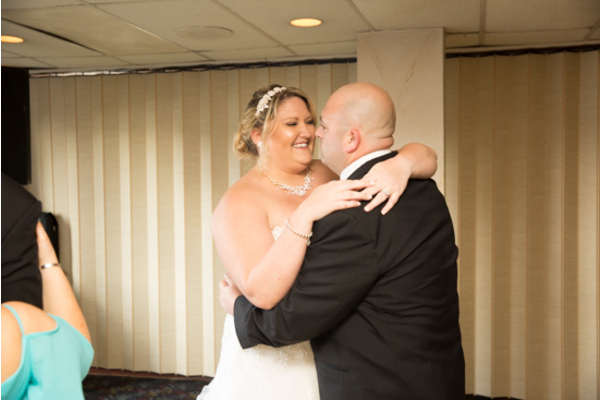 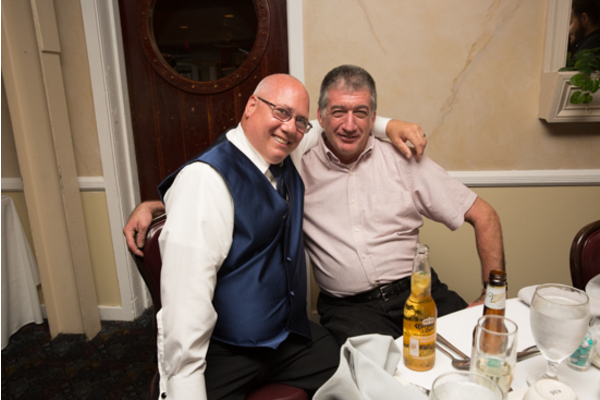 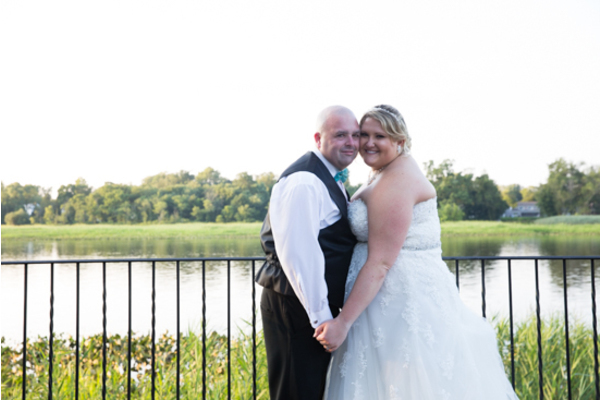 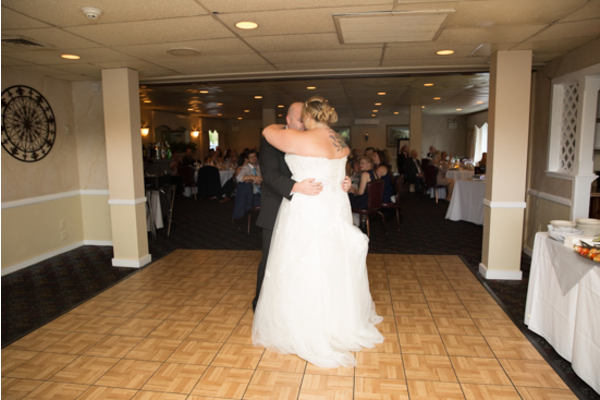 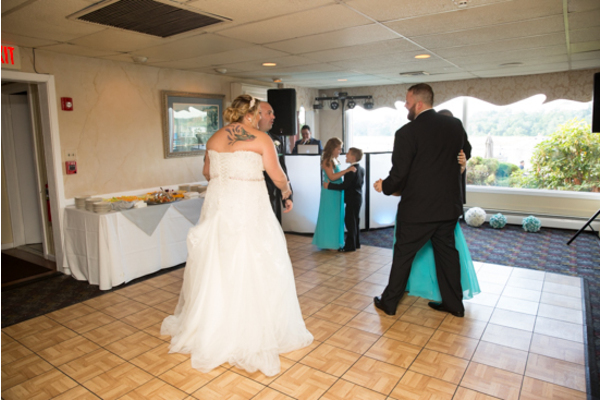 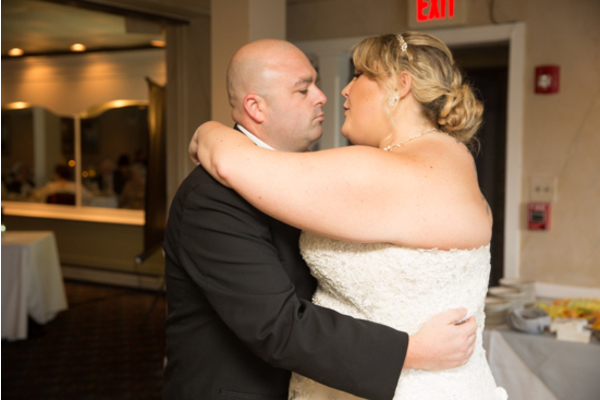 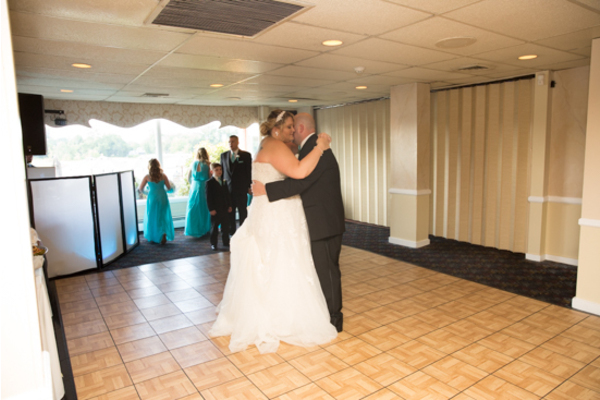 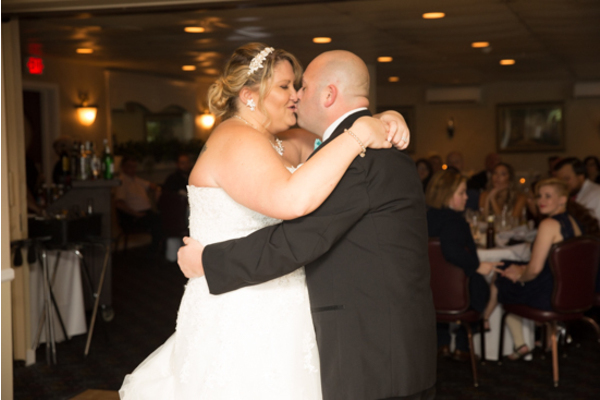 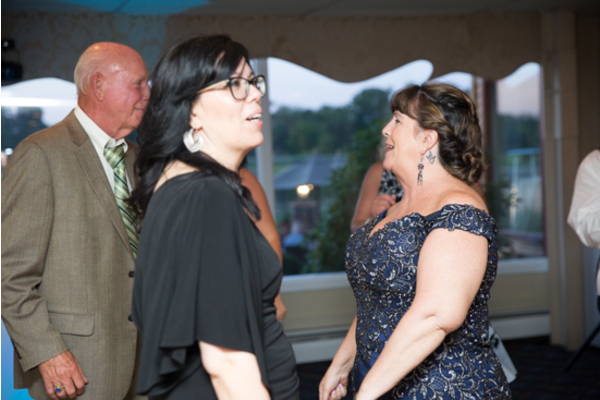 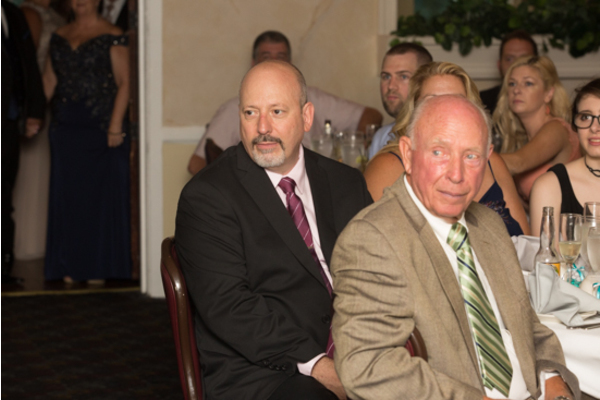 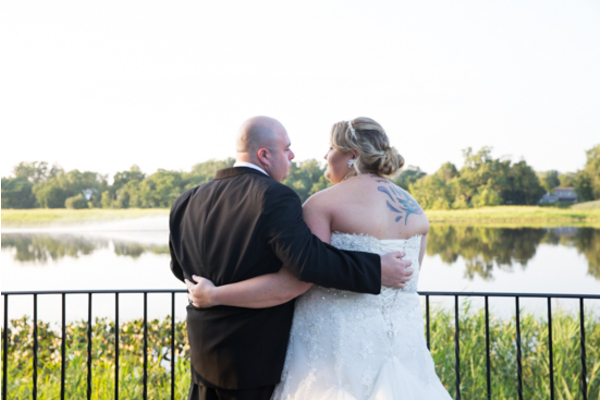 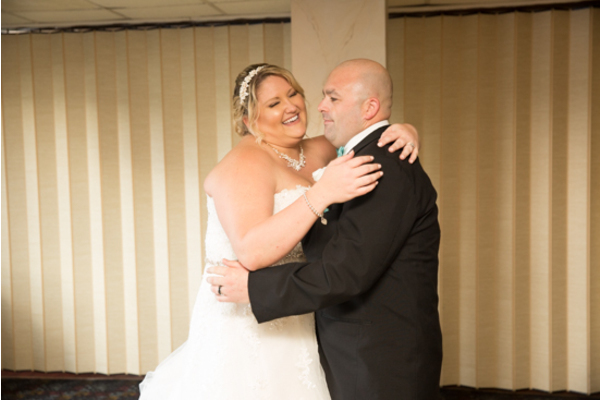 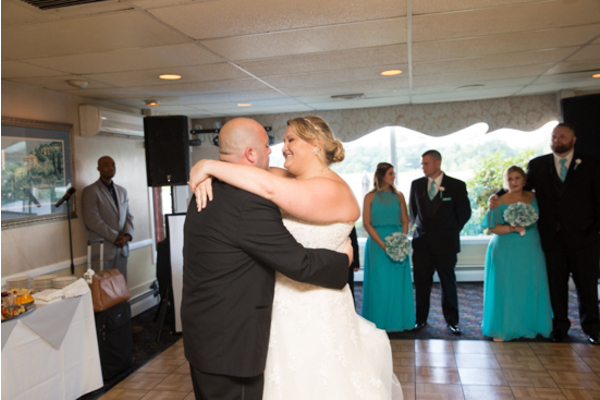 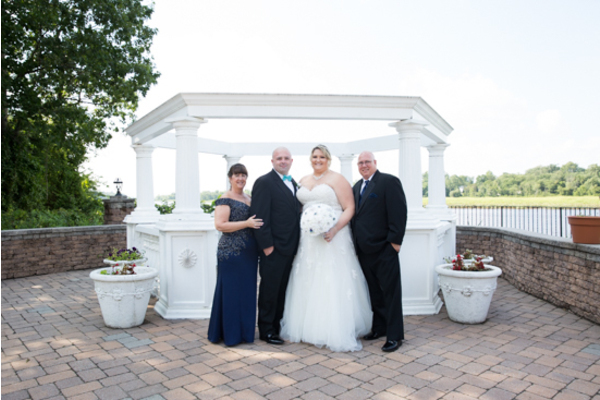 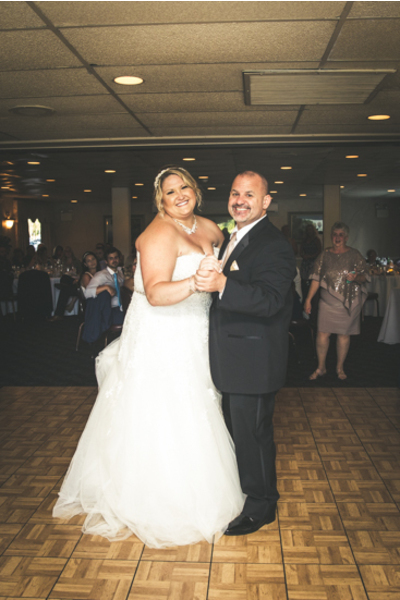 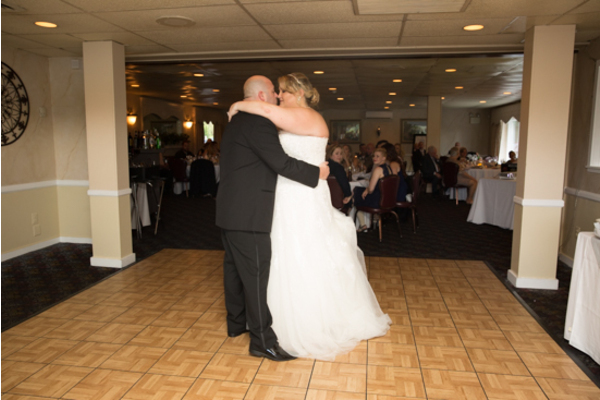 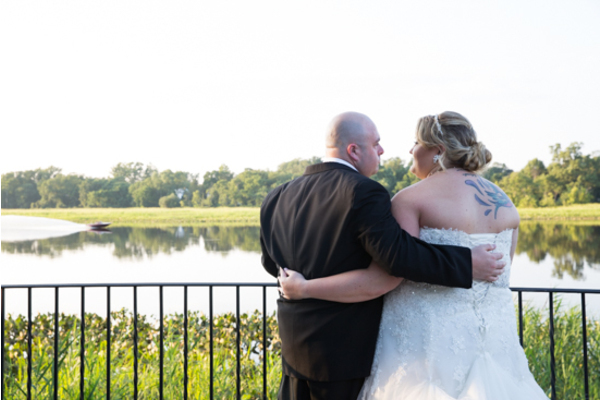 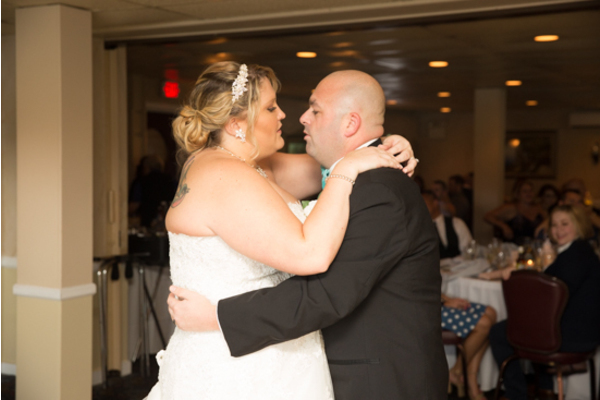 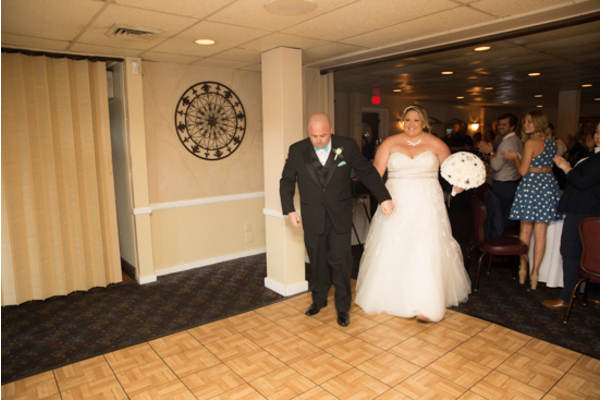 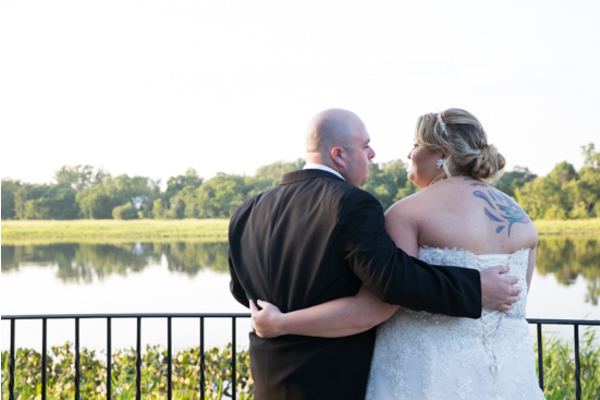 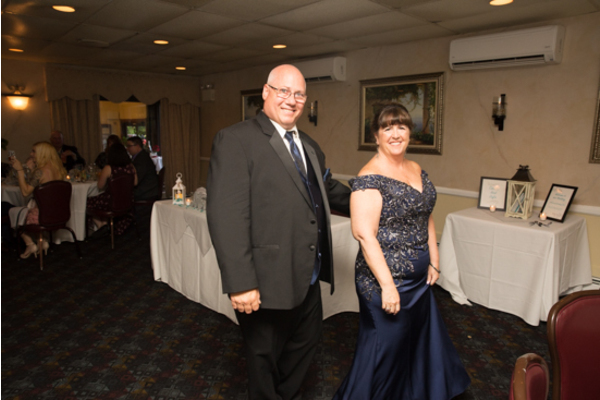 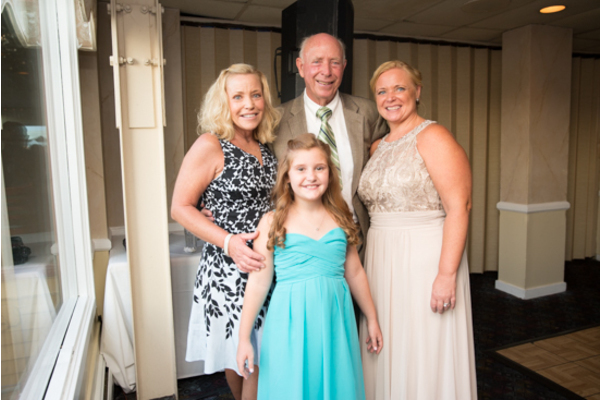 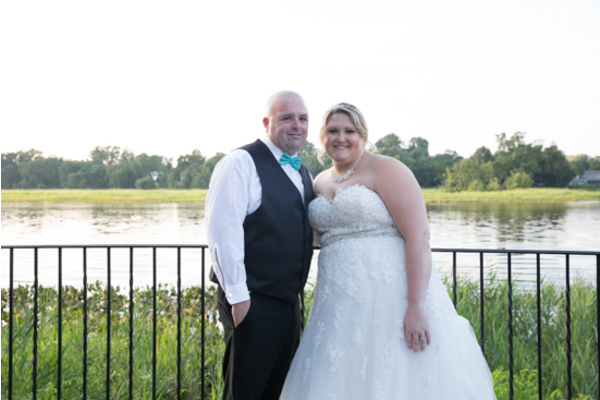 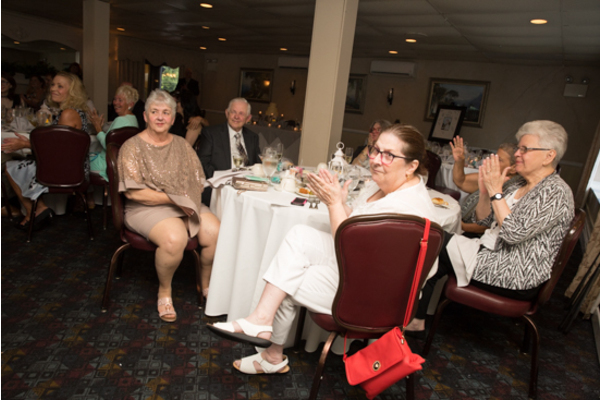 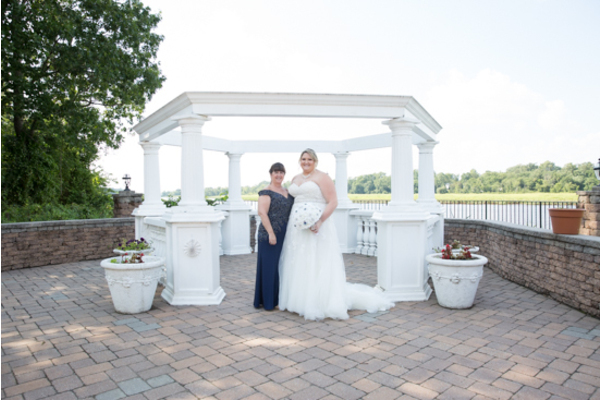 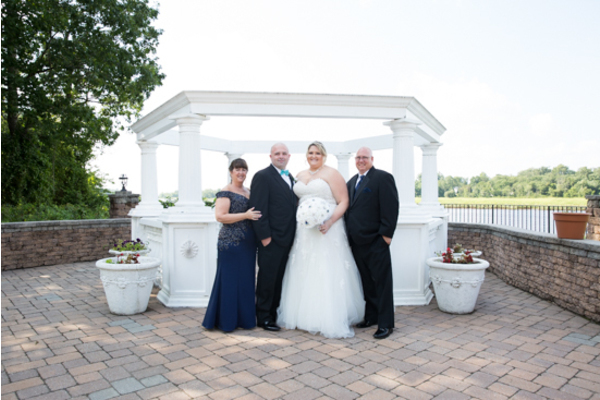 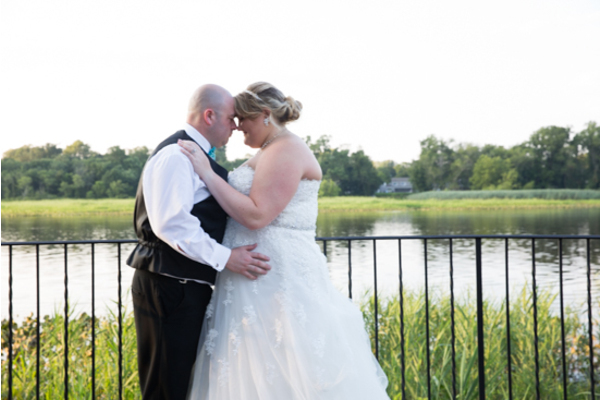 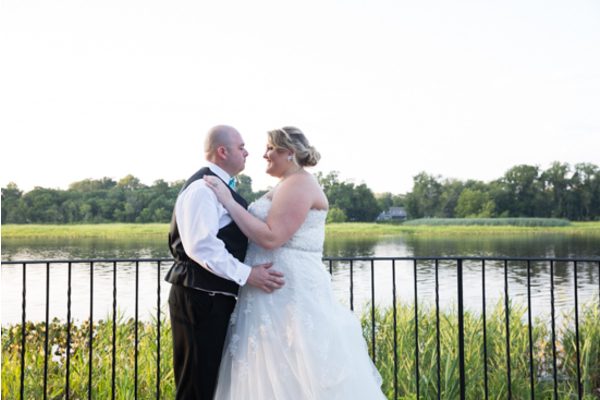 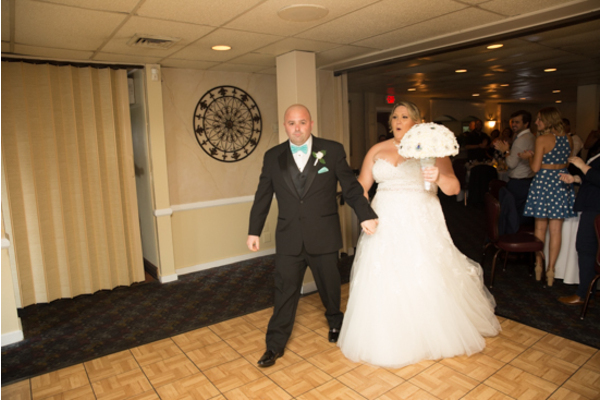 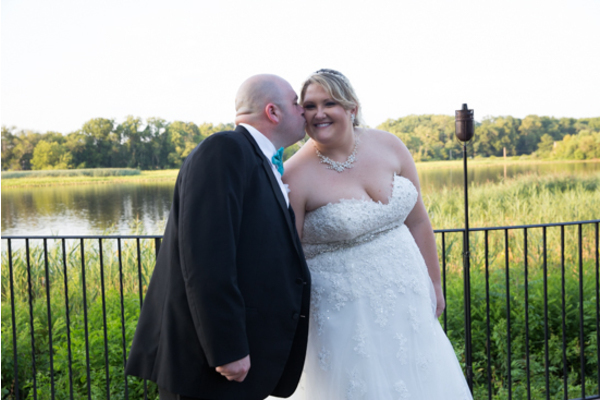 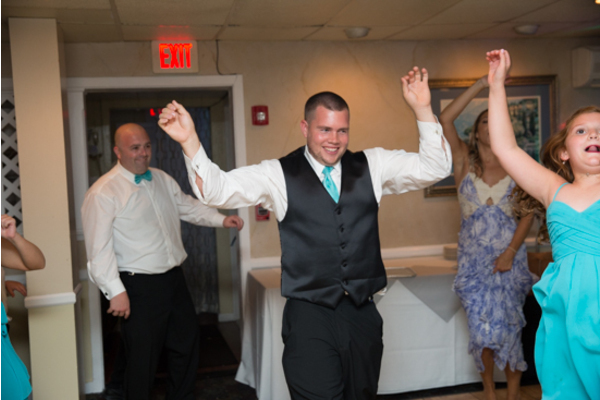 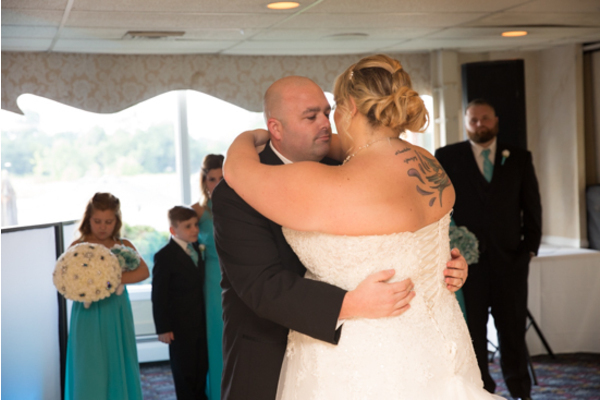 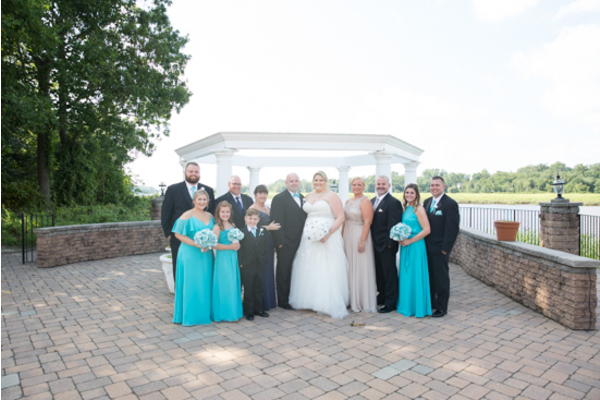 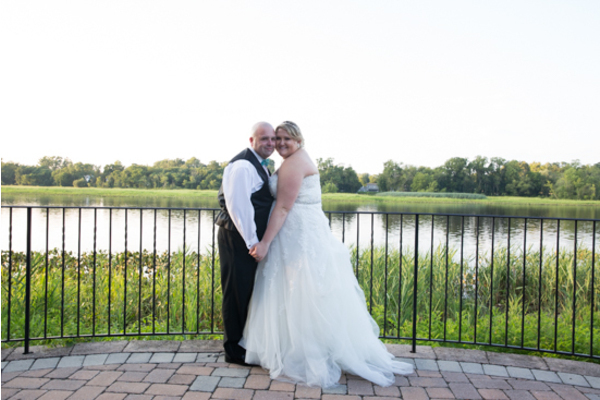 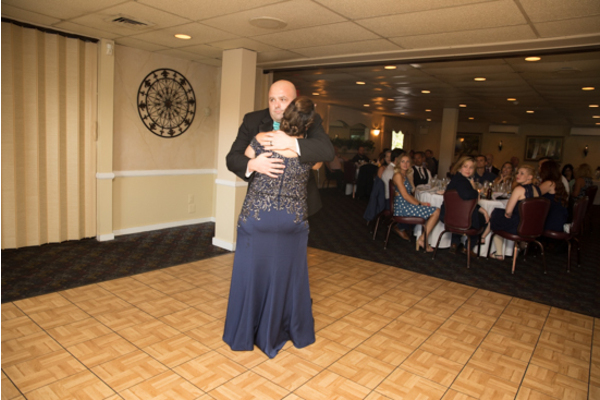 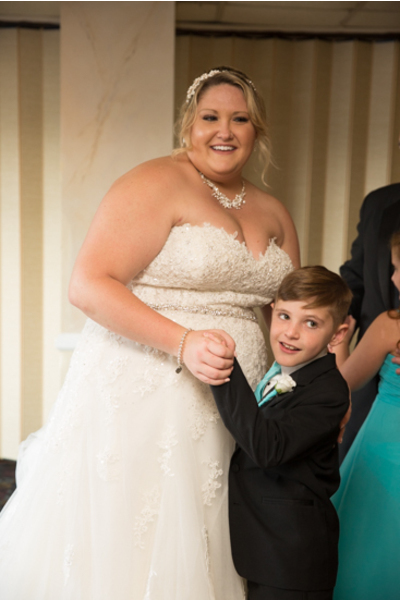 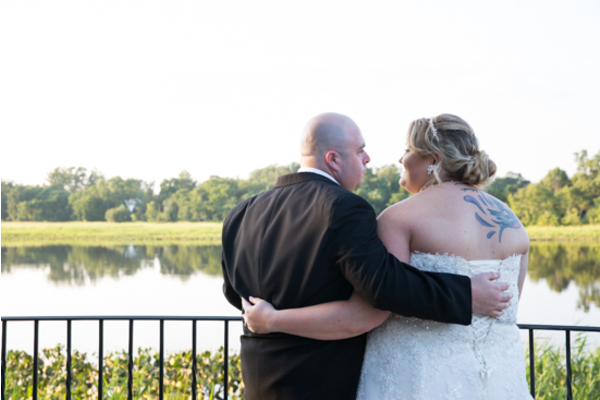 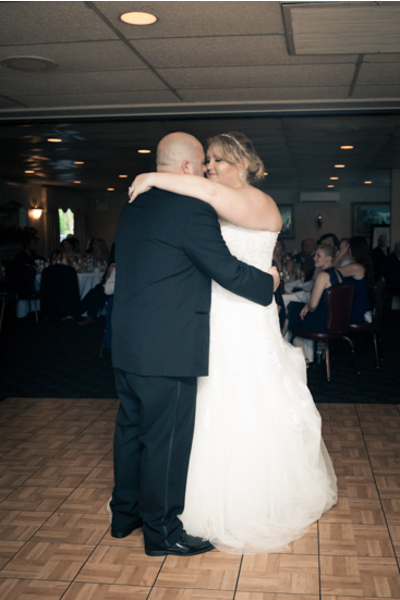 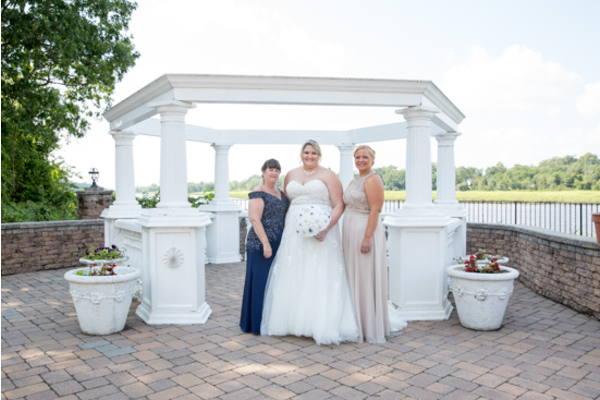 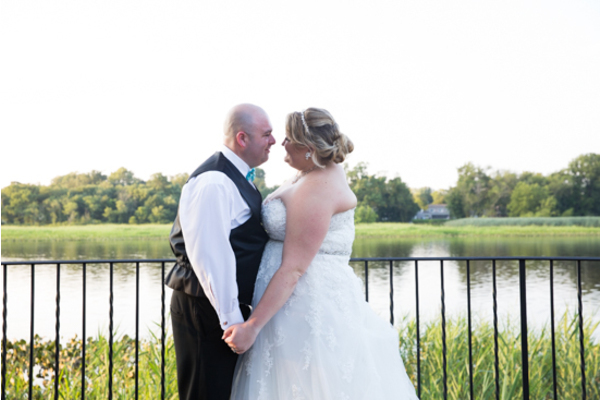 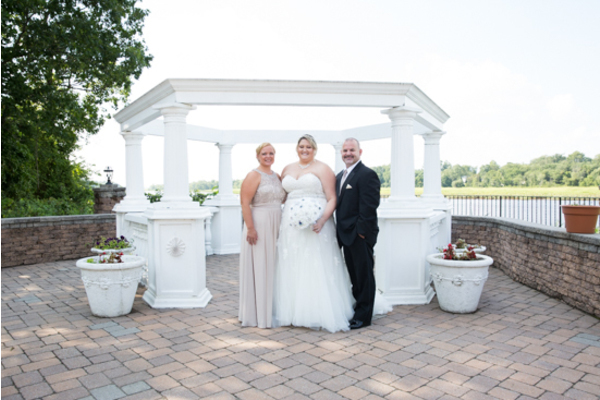 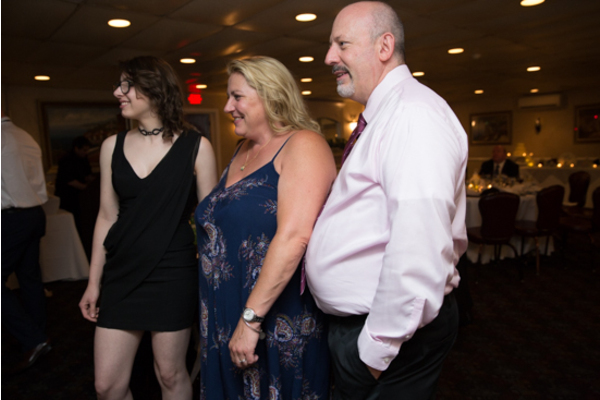 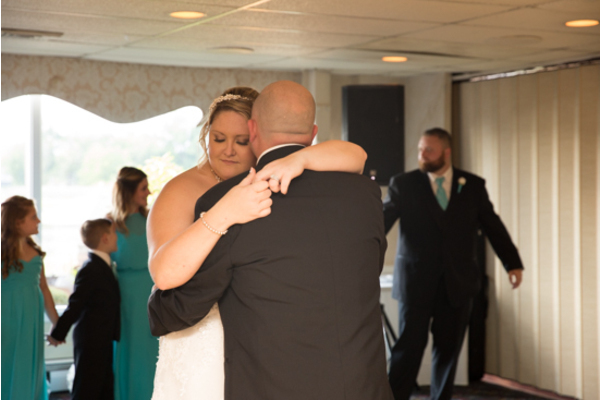 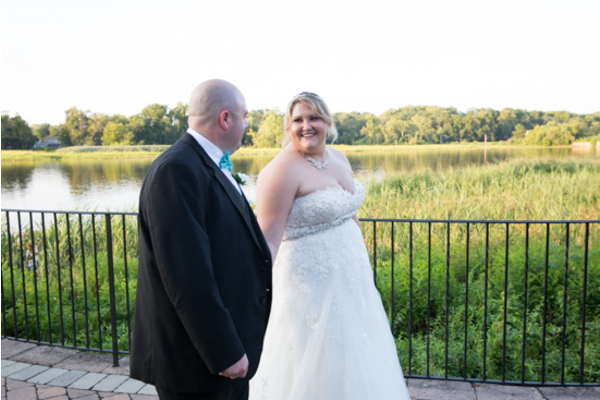 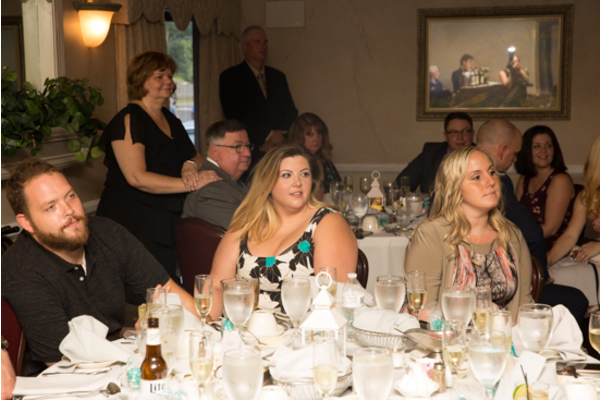 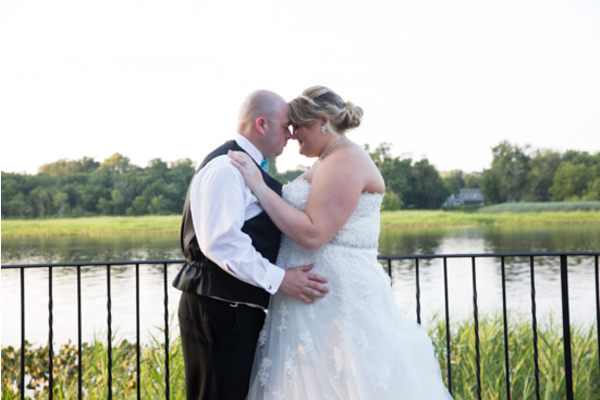 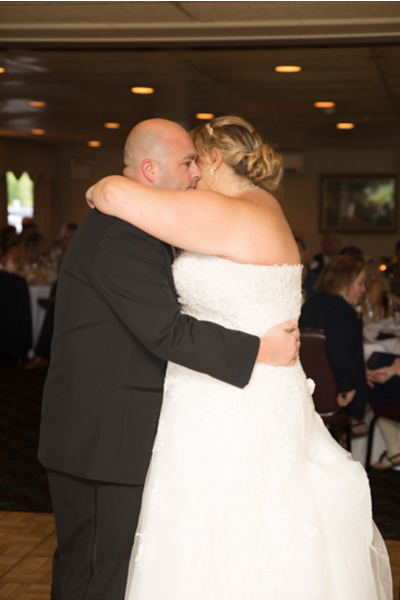 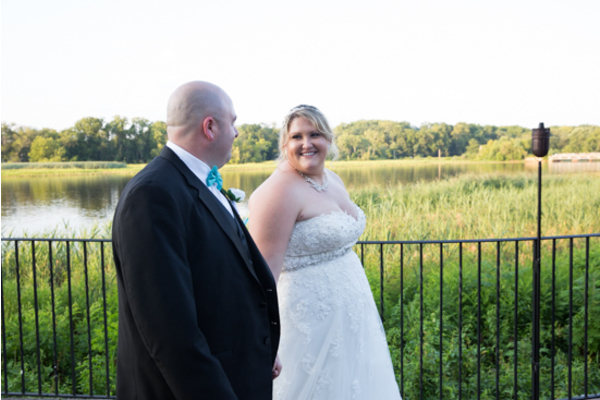 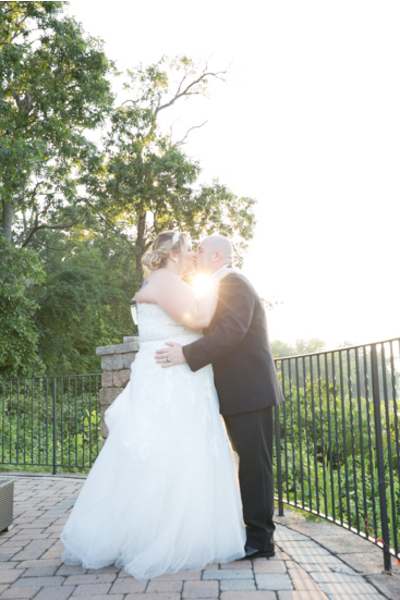 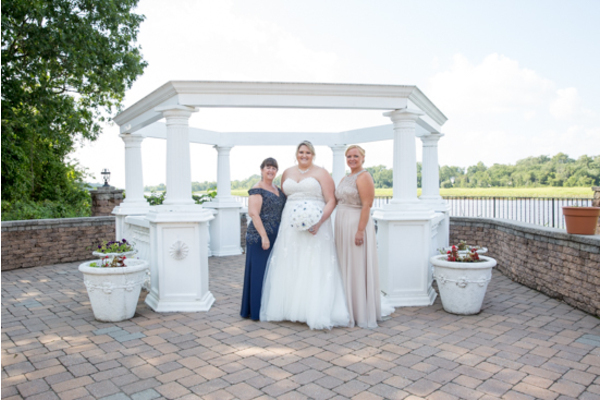 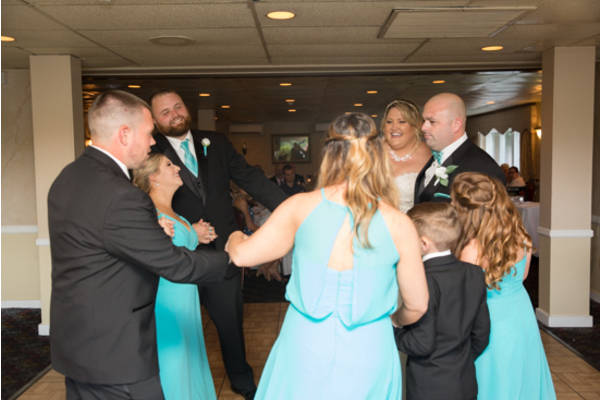 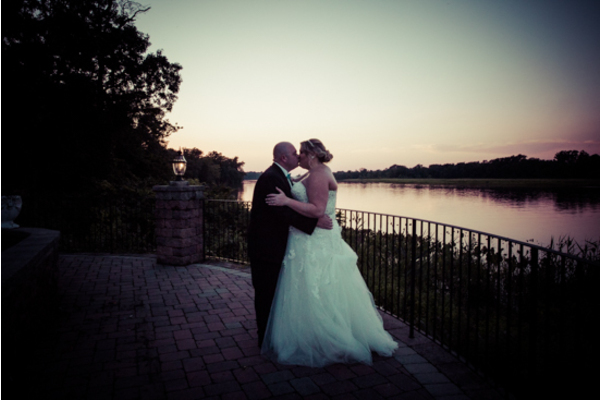 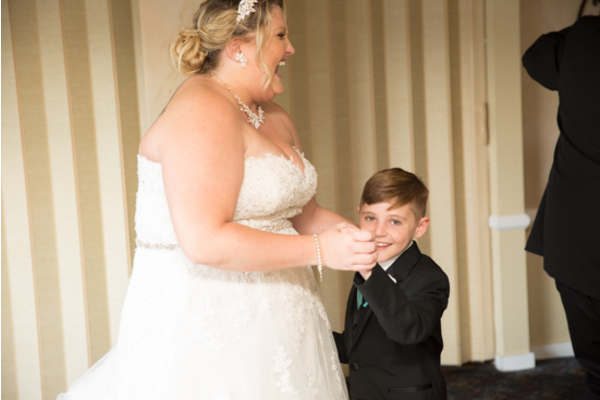 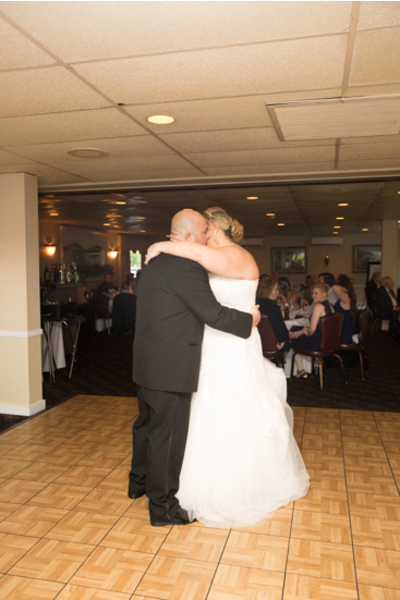 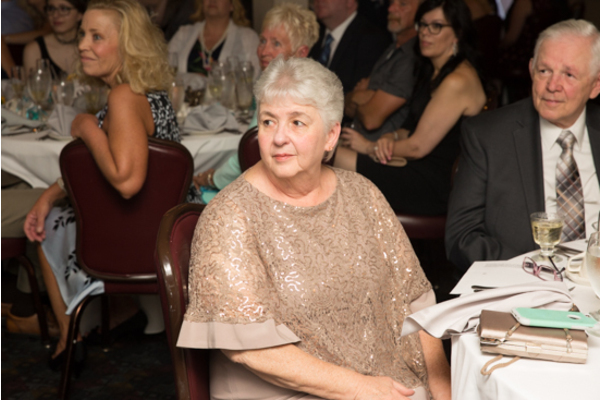 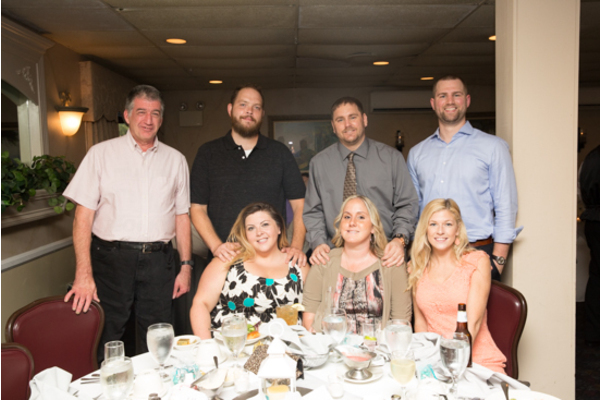 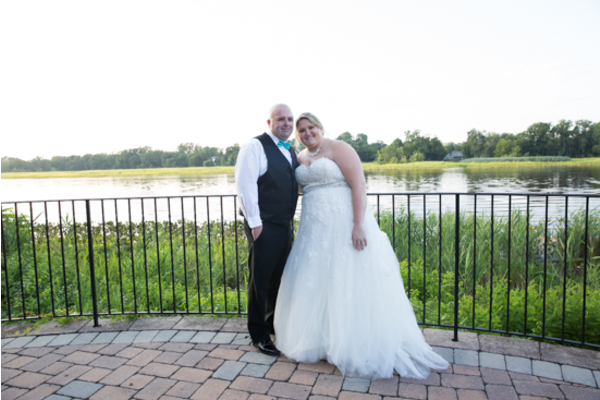 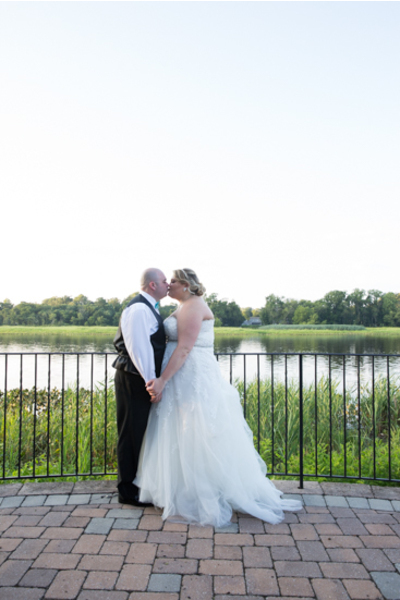 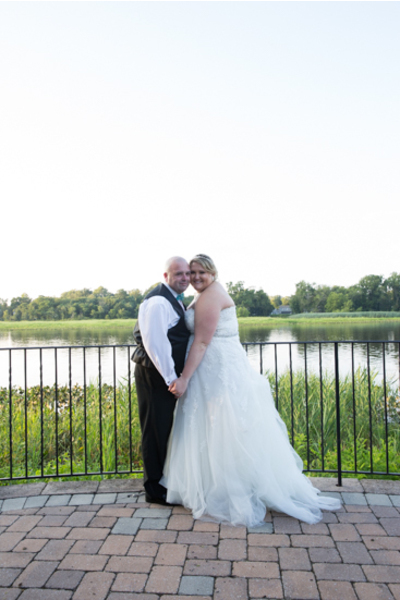 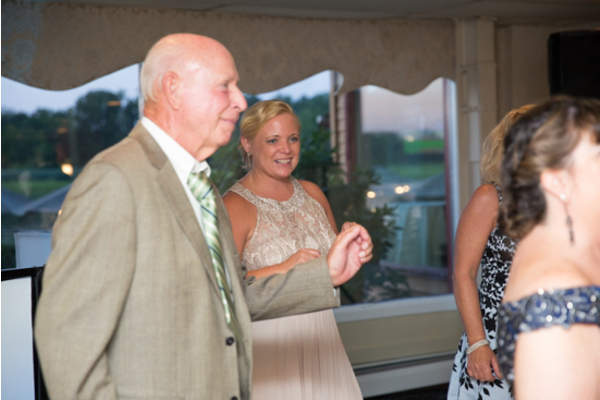 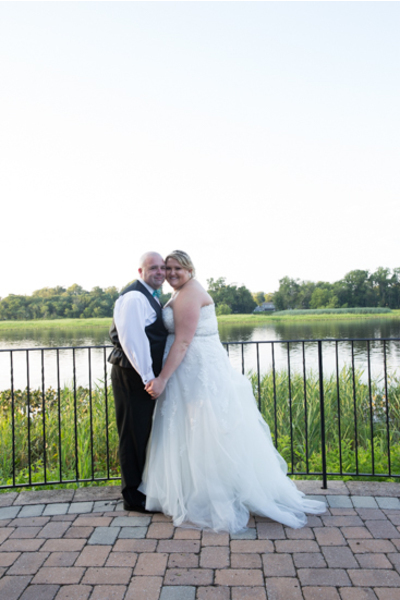 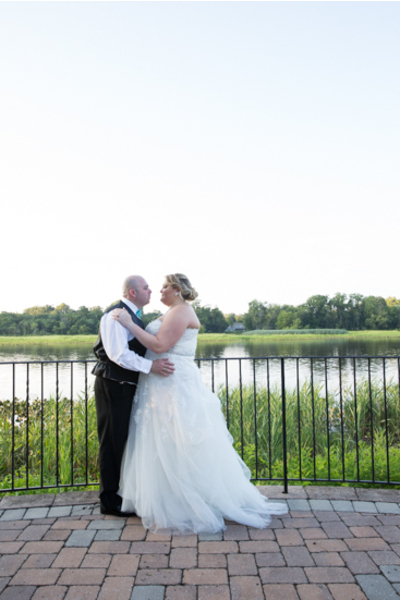 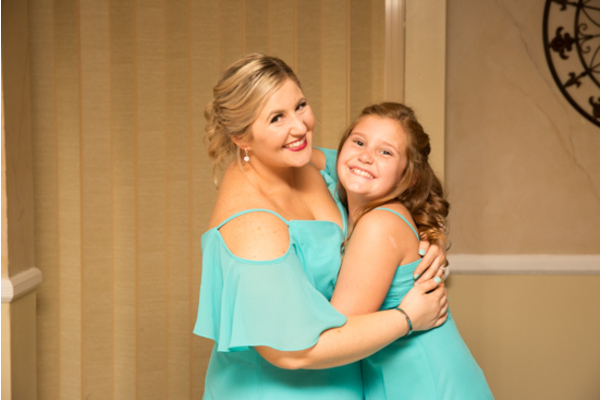 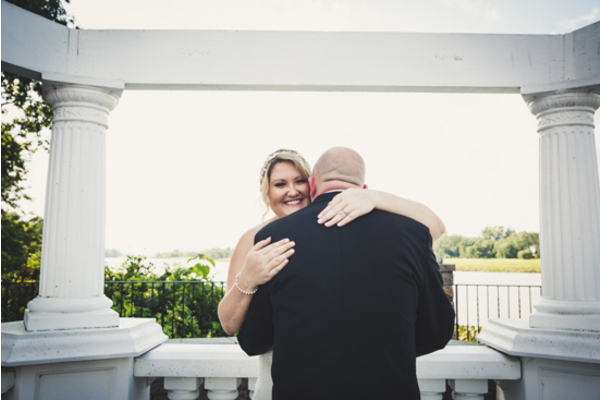 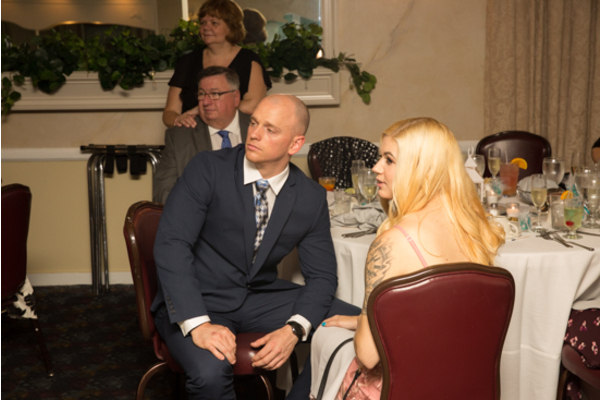 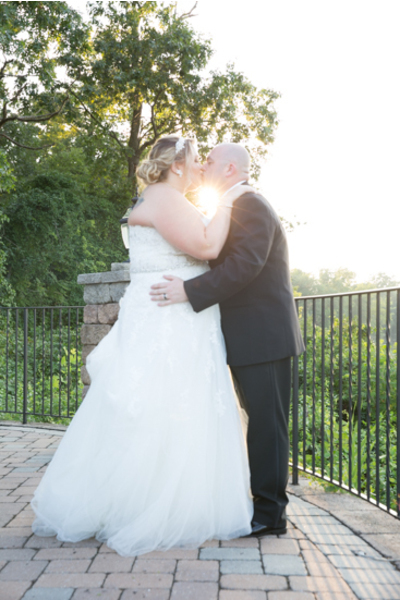 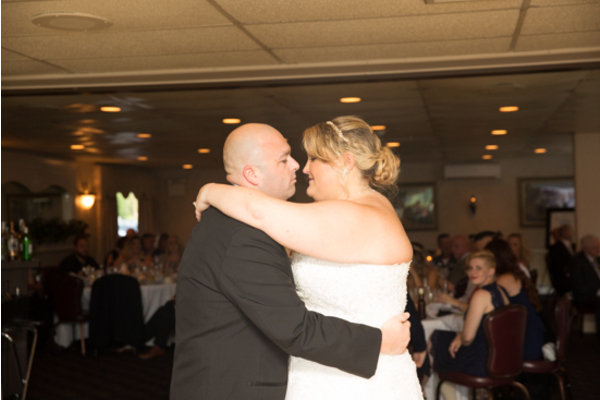 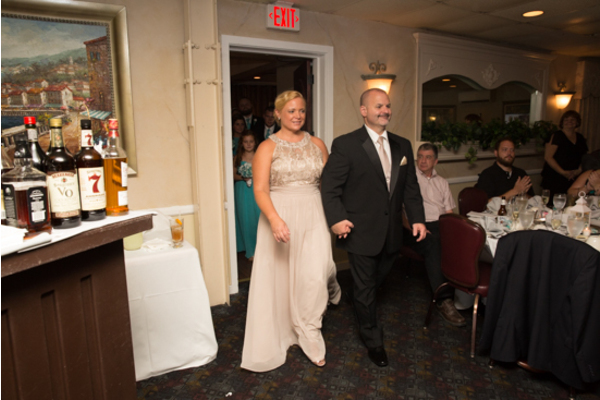 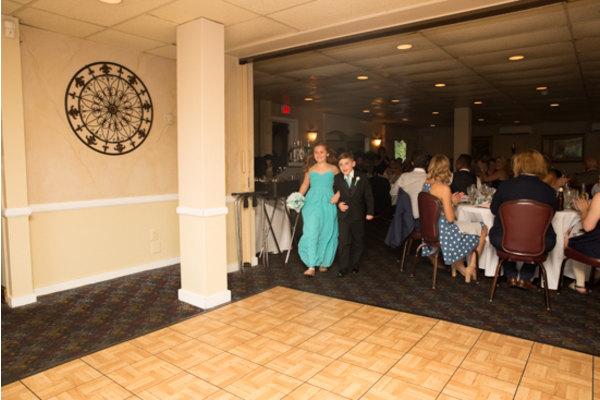 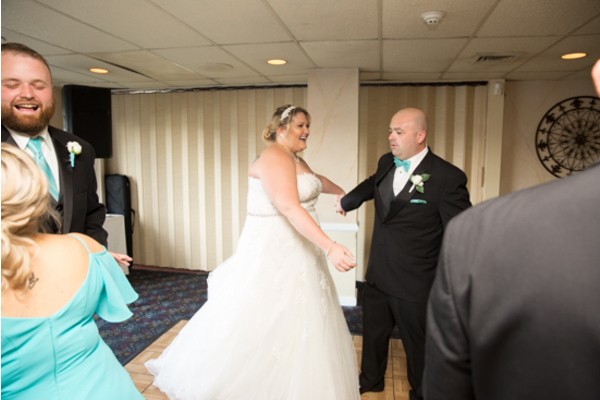 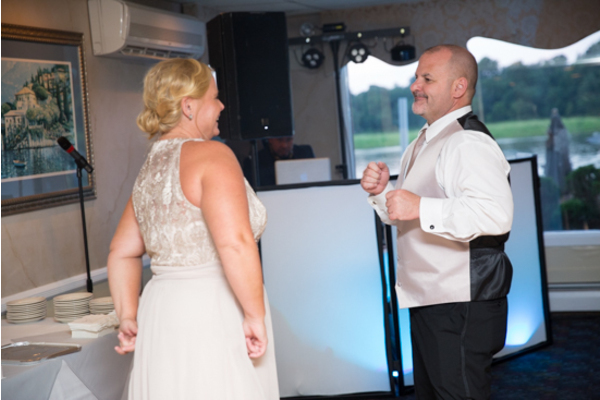 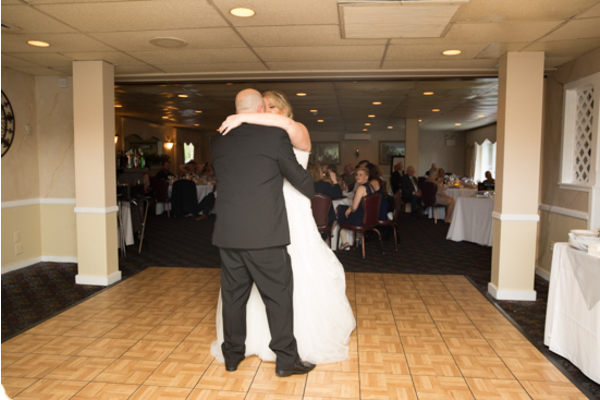 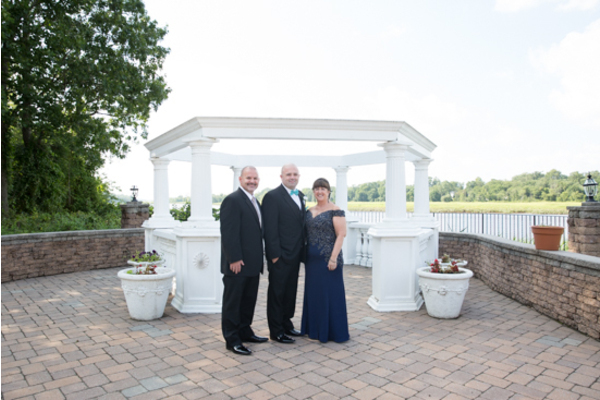 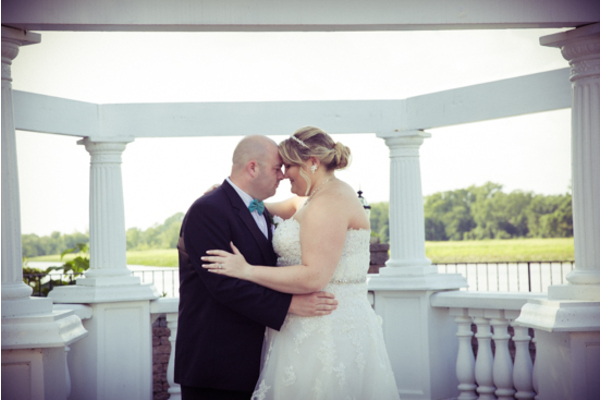 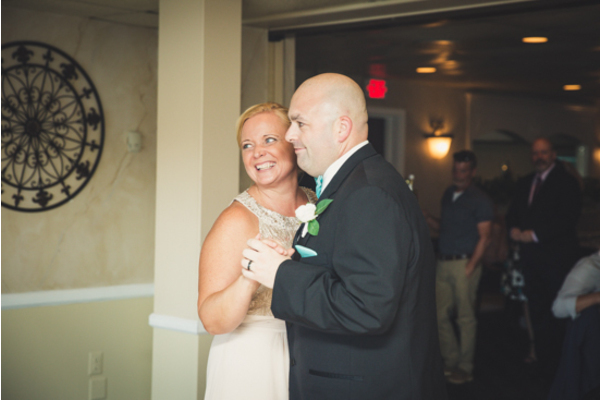 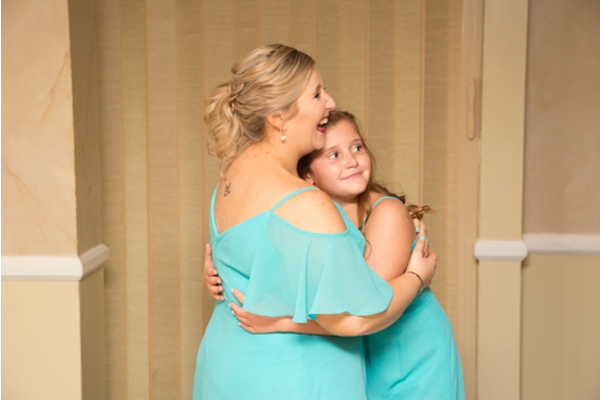 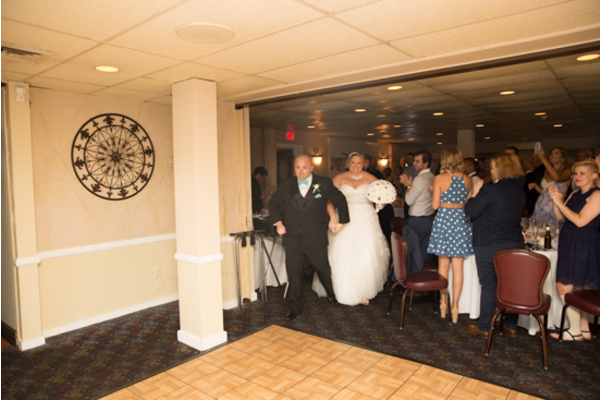 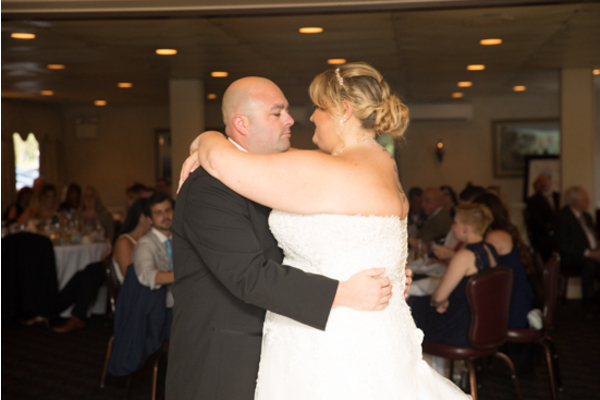 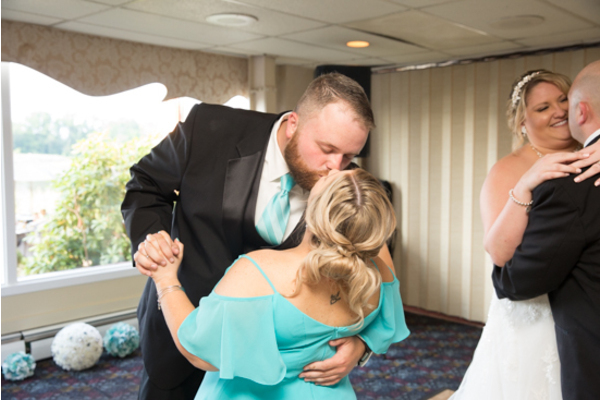 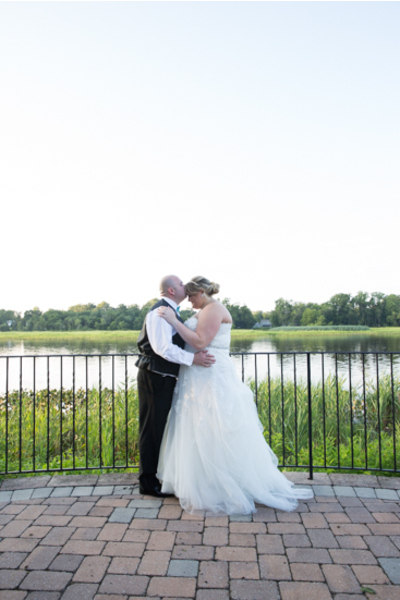 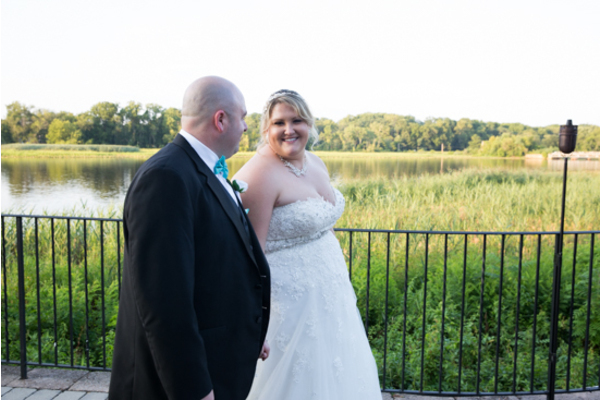 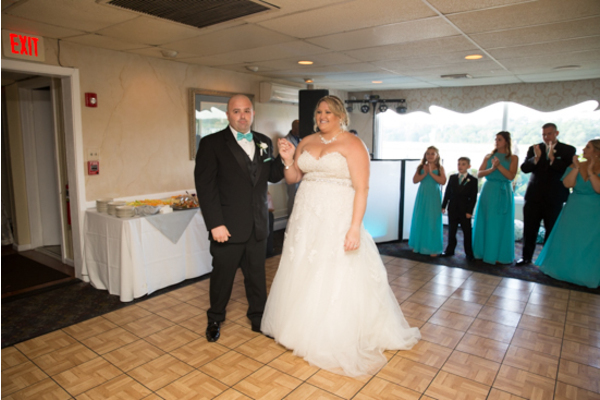 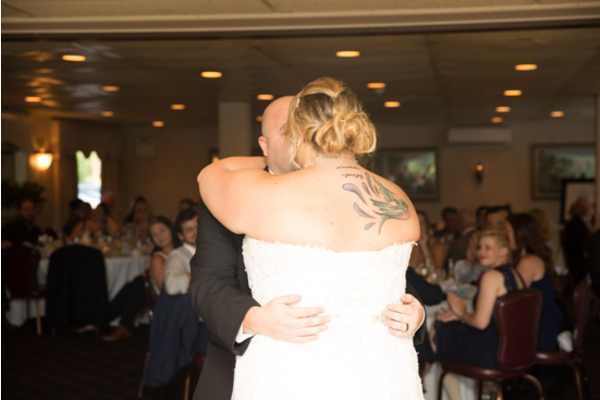 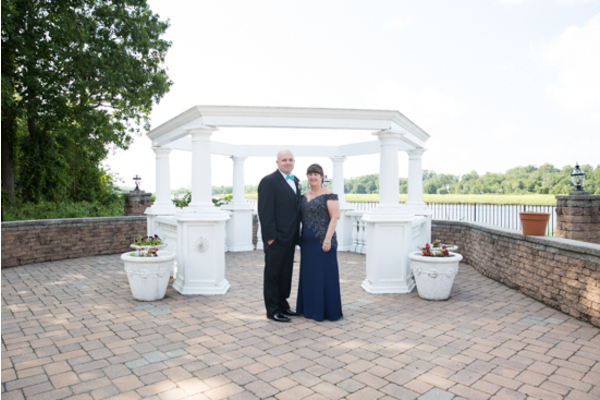 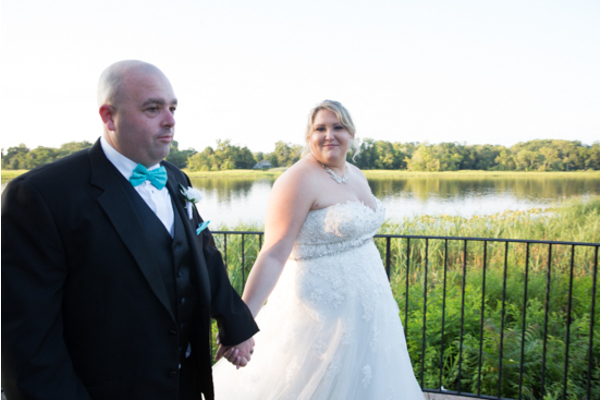 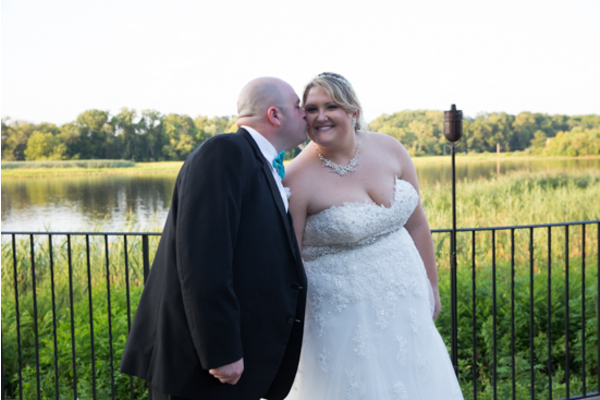 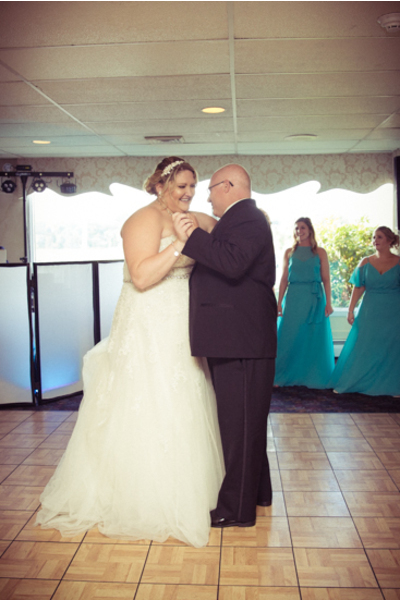 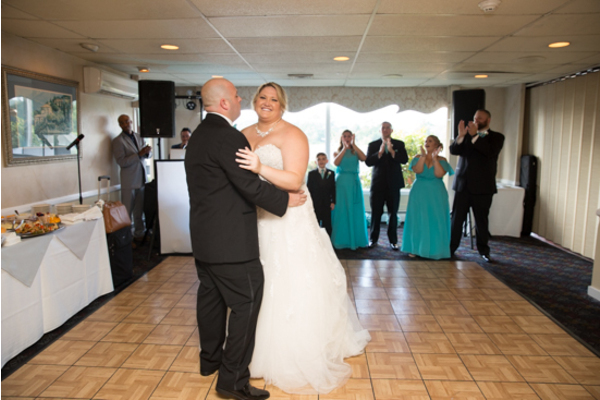 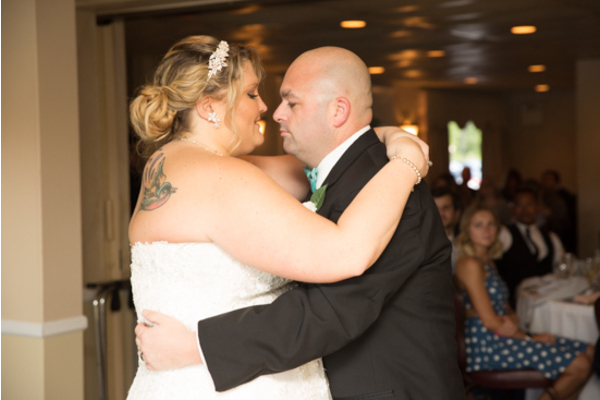 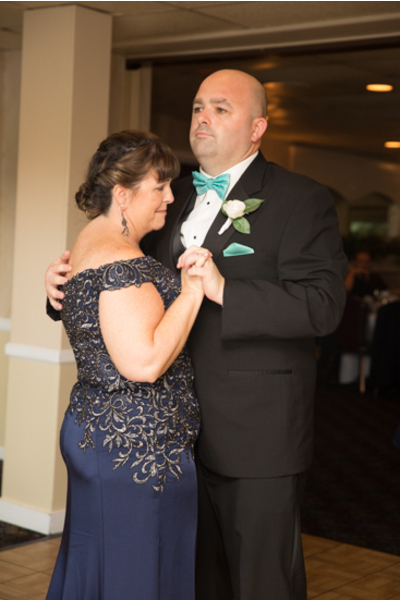 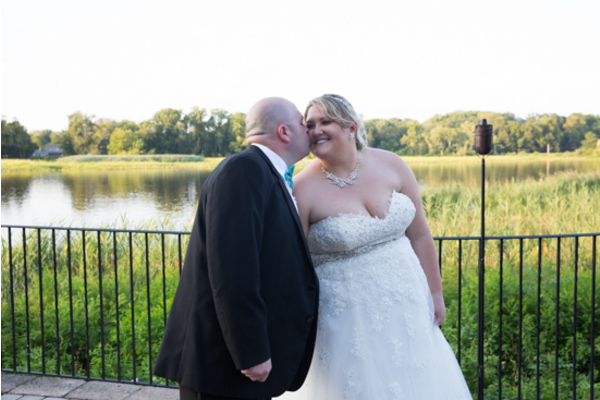 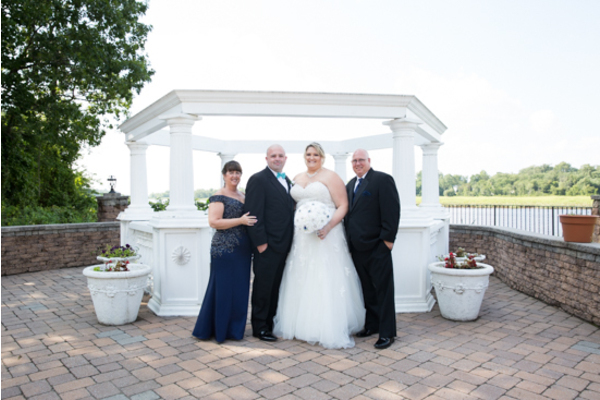 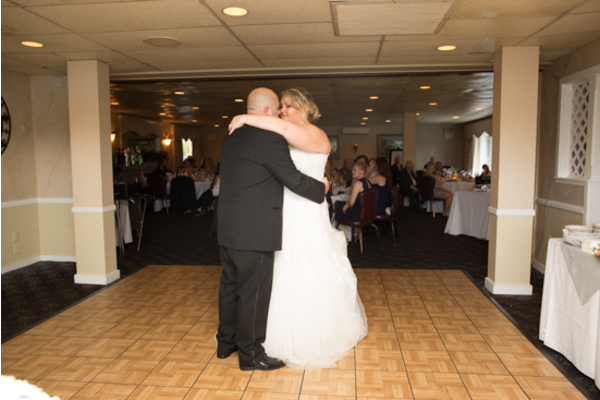 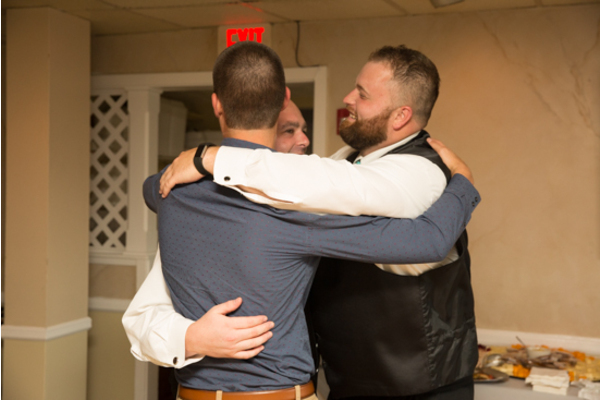 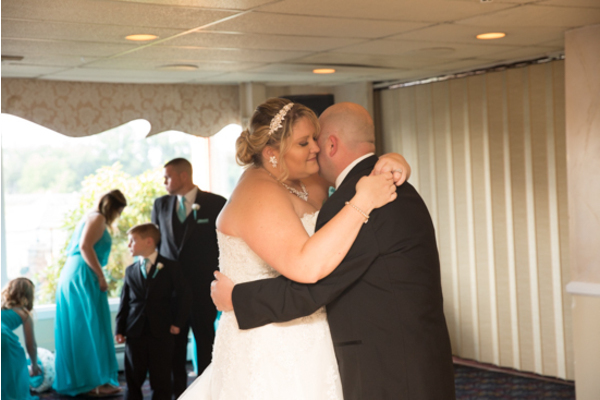 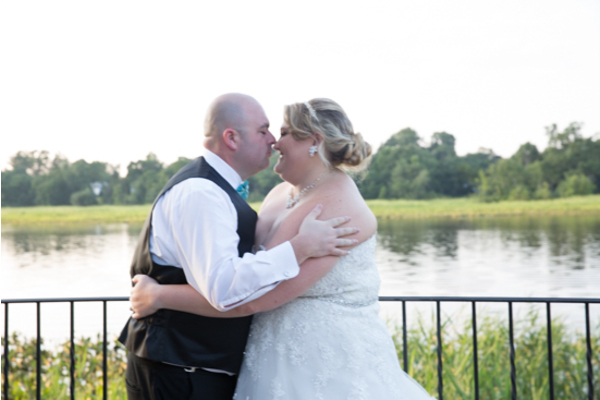 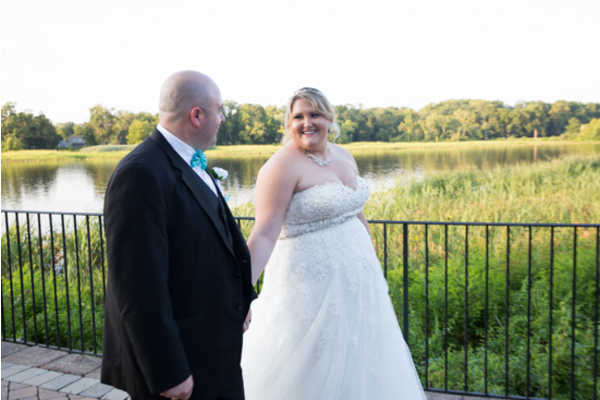 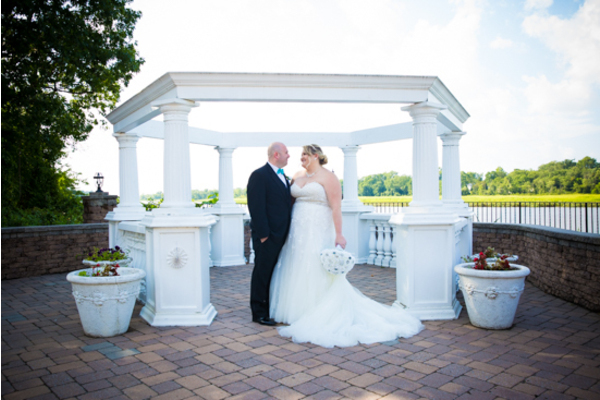 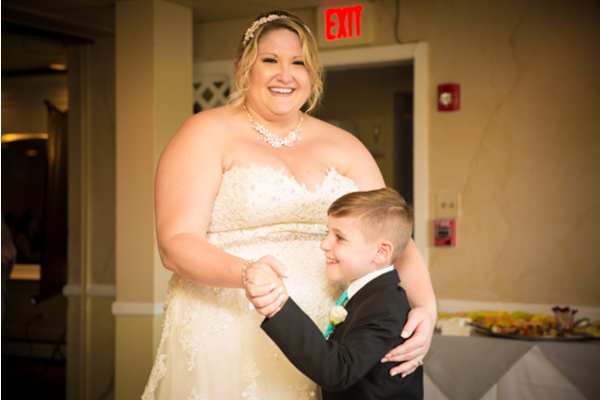 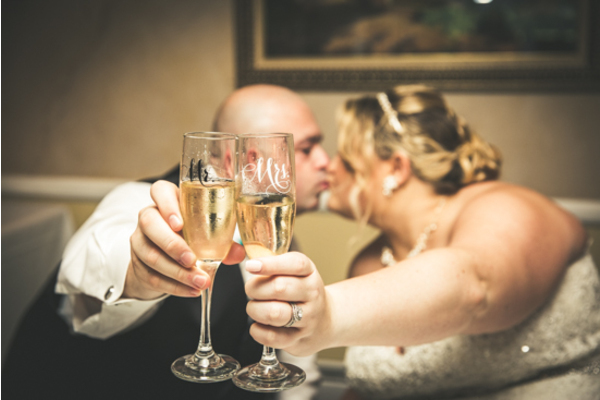 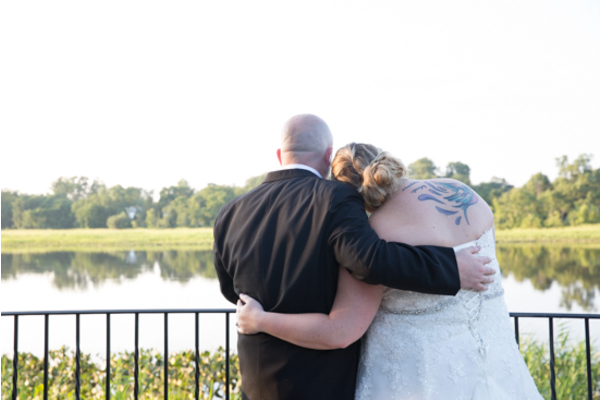 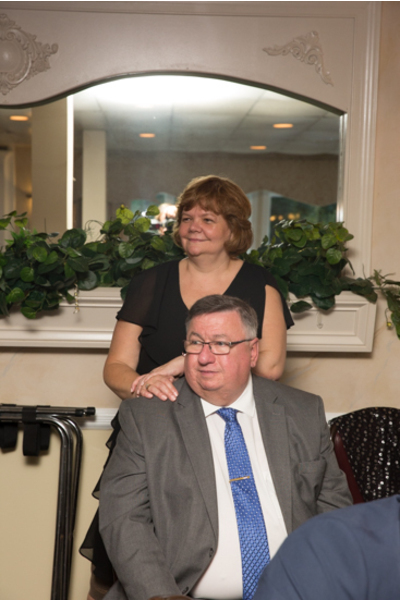 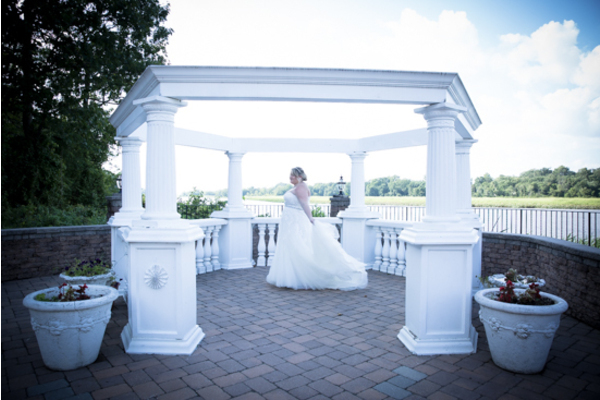 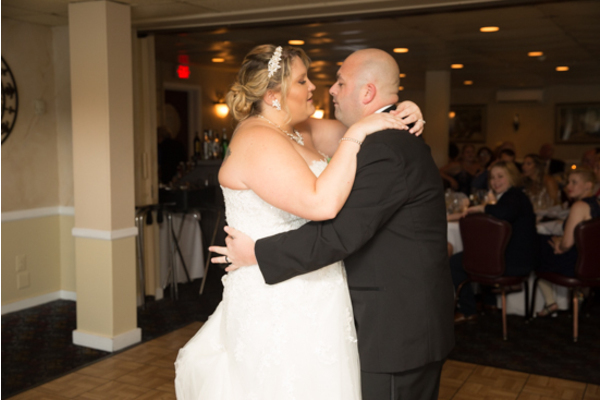 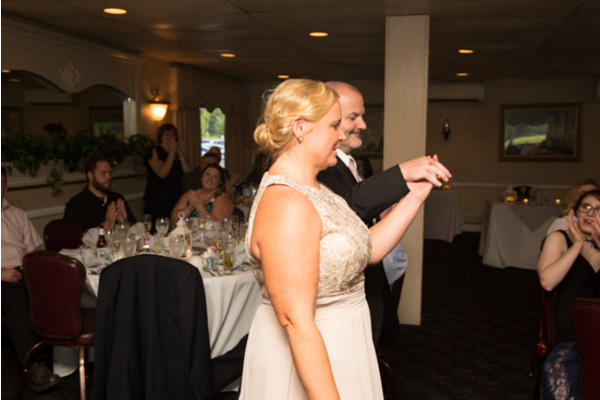 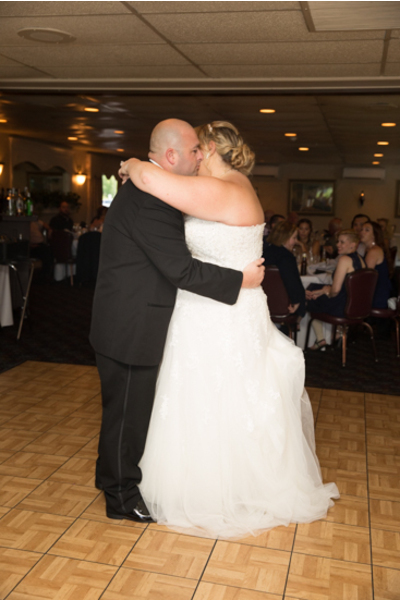 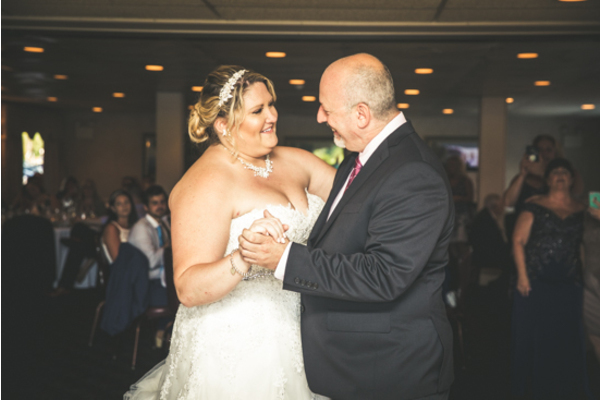 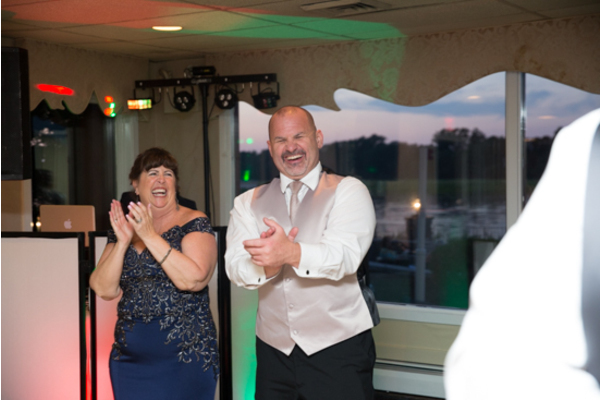 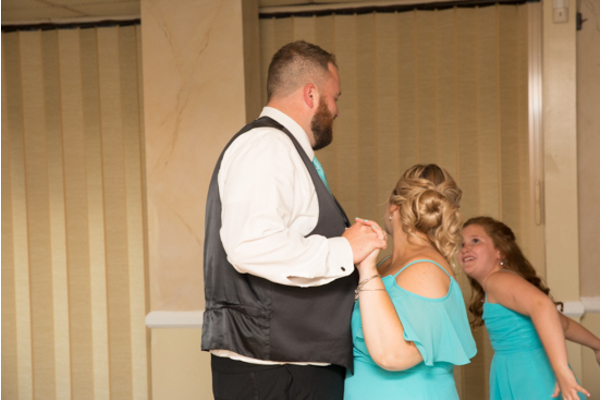 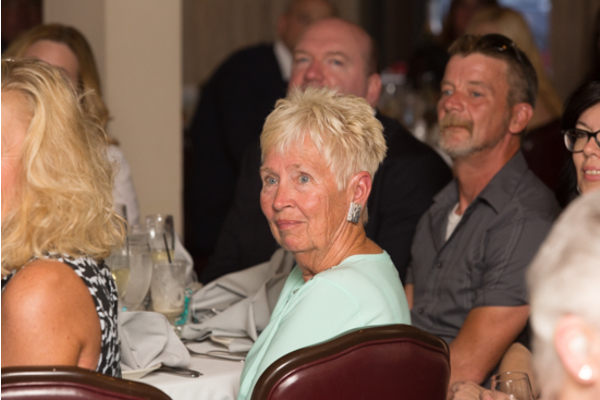 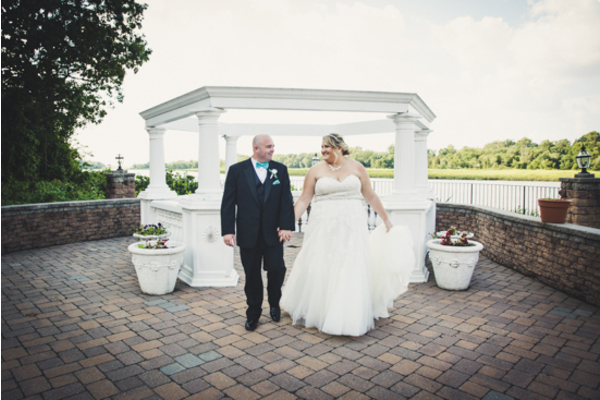 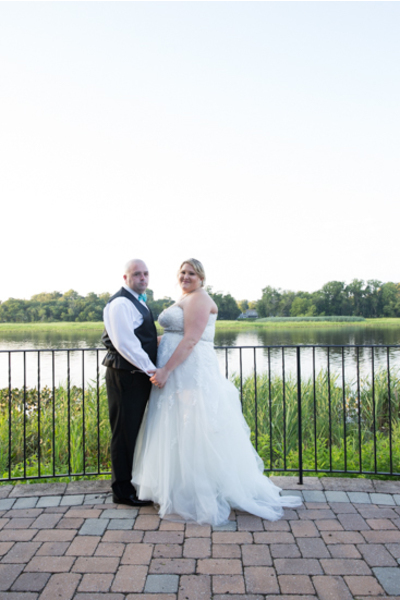 These two celebrated their special day with loved ones at Carlucci Waterfront in Mount Laurel, NJ. 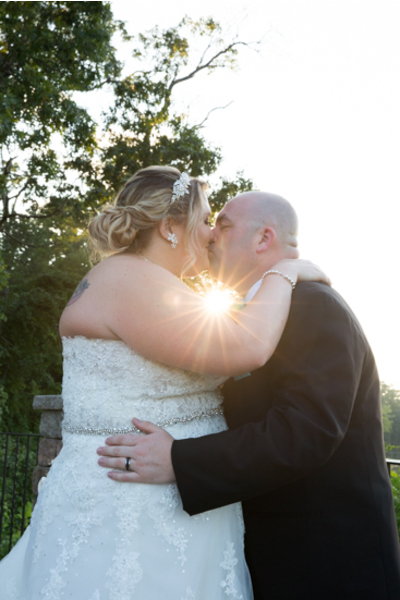 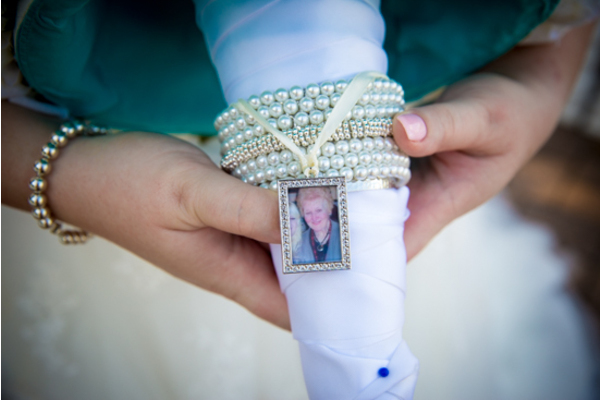 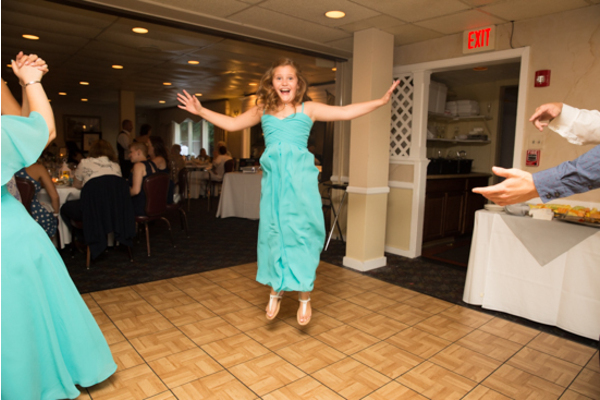 Our NJ Wedding Photographer captured this lovely summertime wedding from start to finish. 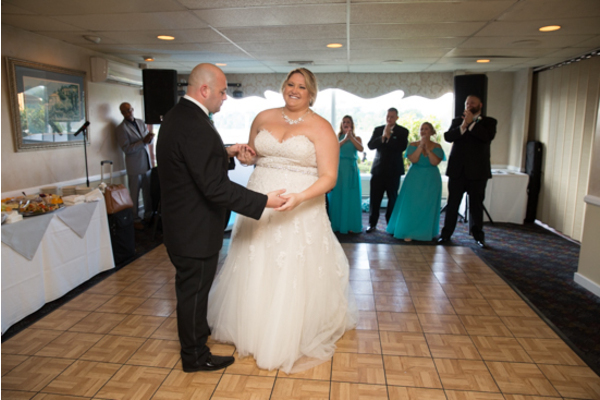 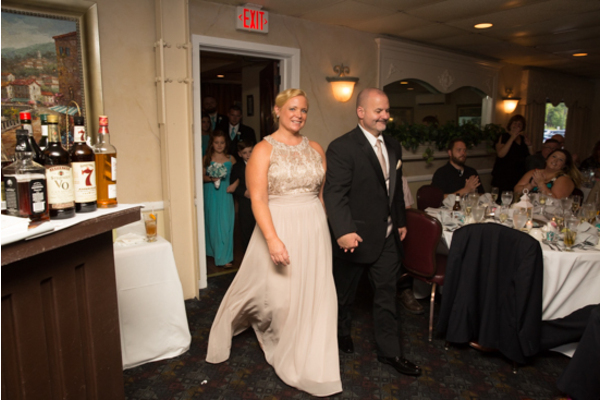 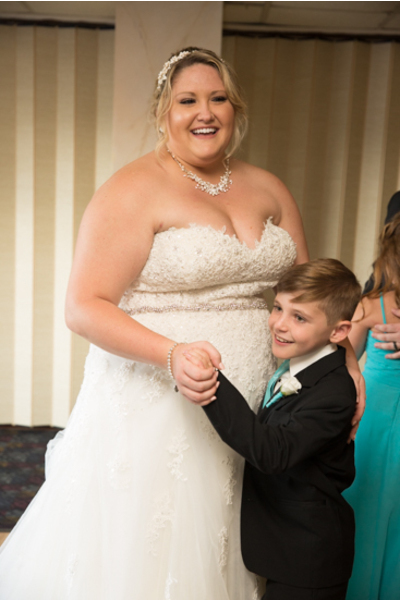 First off, Kaitlin slipped into her gorgeous sweetheart neckline gown fit for a princess. 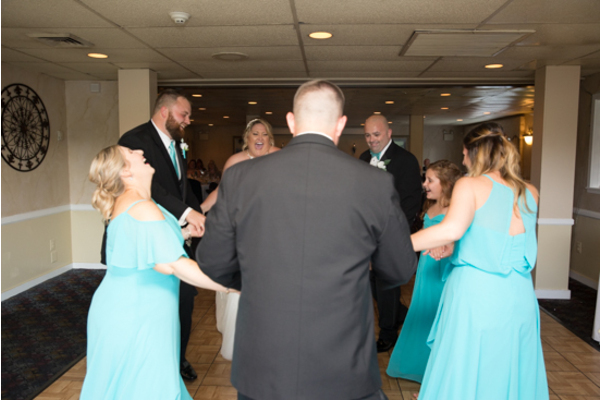 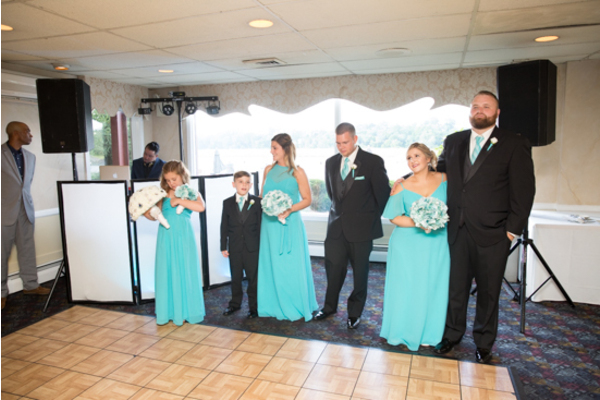 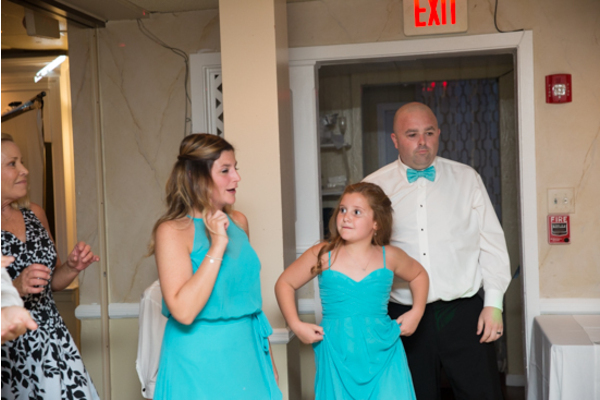 The teal bridesmaid dresses and groomsmen’s bow ties were a perfect pop of color for the summer! 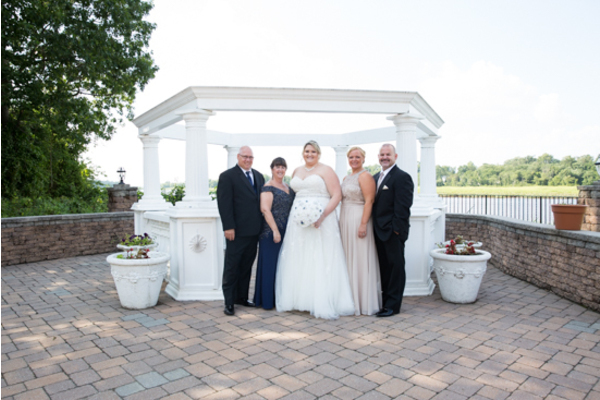 After the bride was prepped and ready, our NJ Wedding Photographer photographed stunning pictures of the wedding party in a waterfront gazebo. 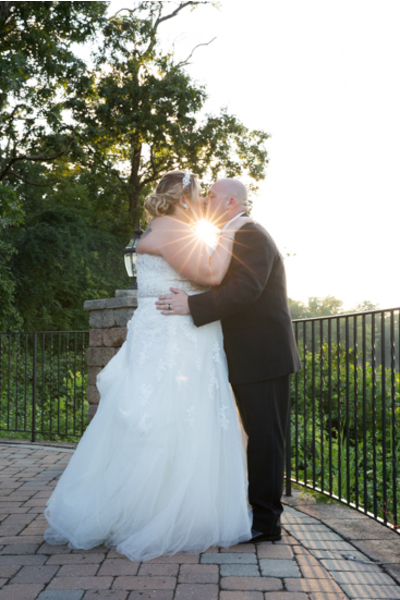 The couple posed for pictures locking eyes in the gleaming sunlight. 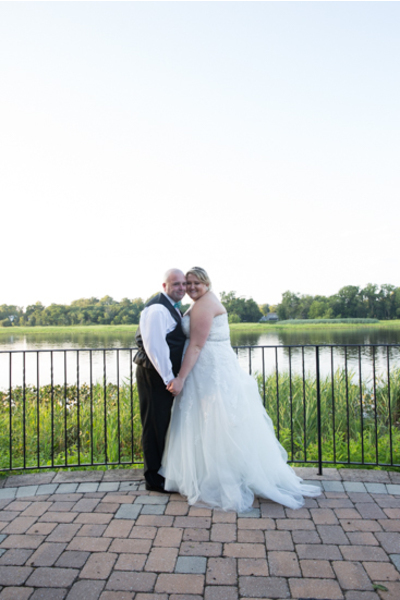 Also, the waterfront setting was the perfect setting to take pictures! 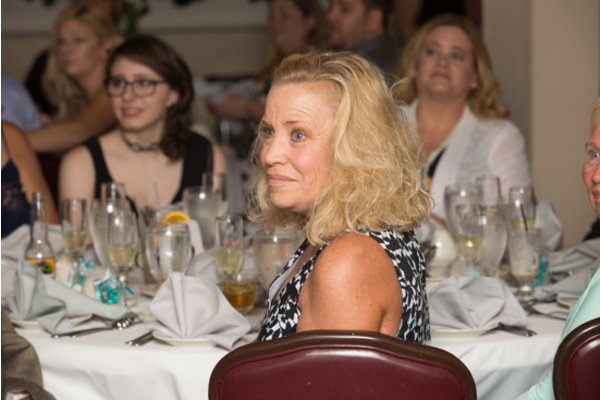 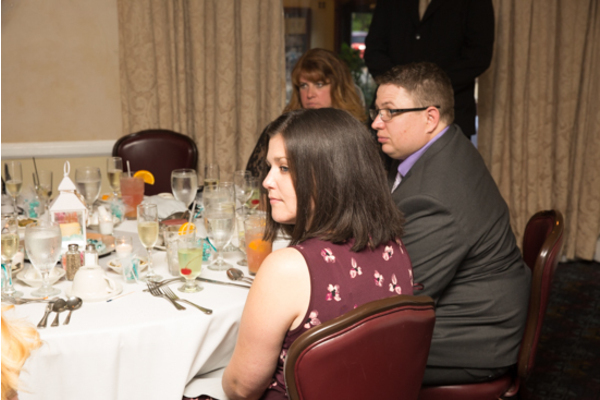 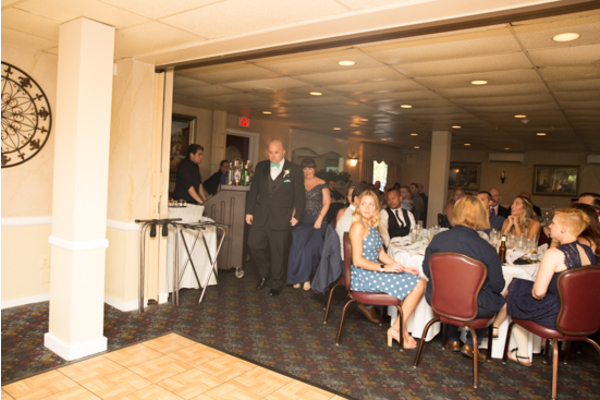 Next, guests made their way to their assigned tables at the reception! 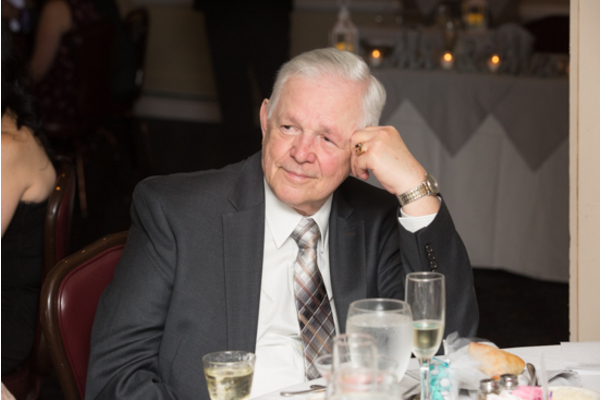 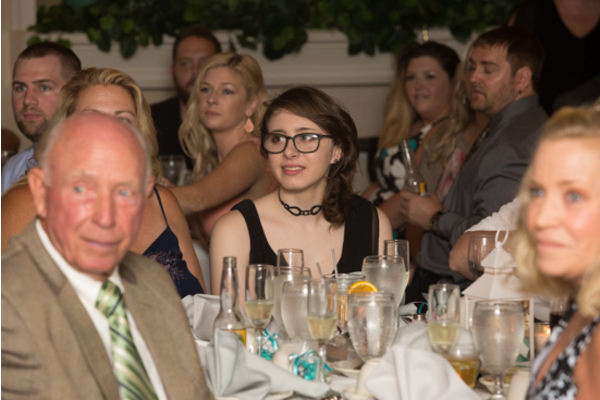 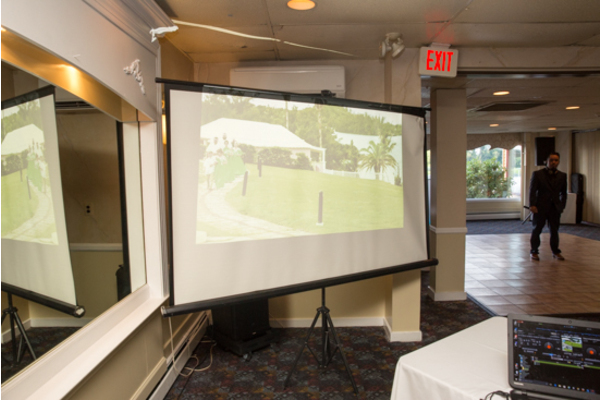 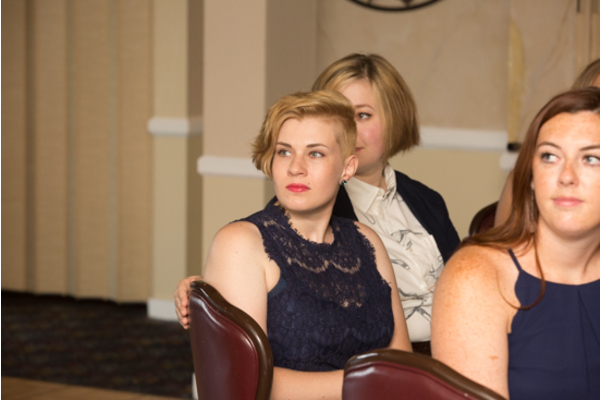 Additionally, a picture slideshow was there for guests to enjoy. 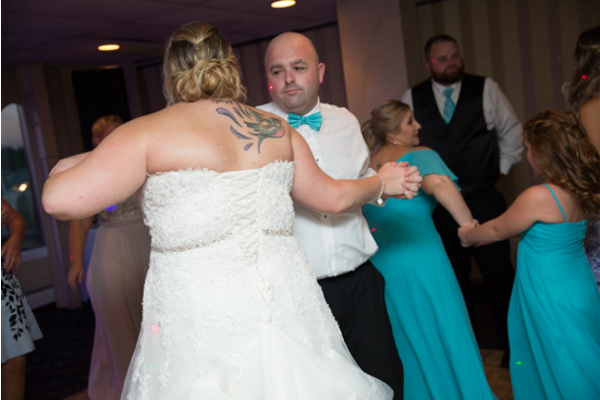 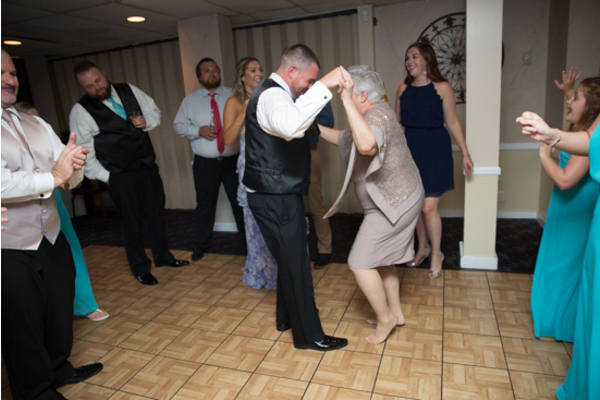 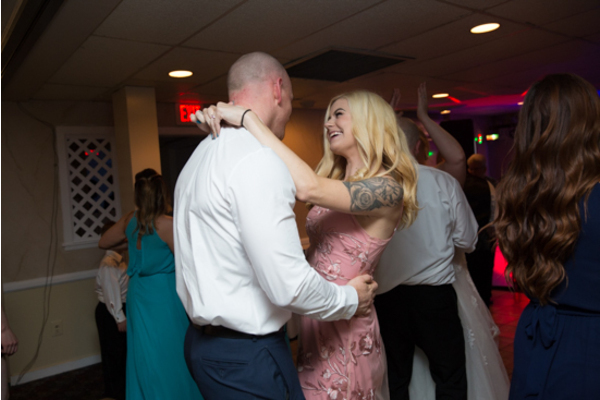 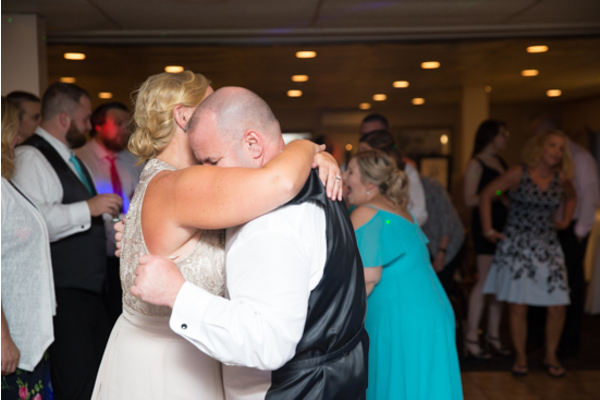 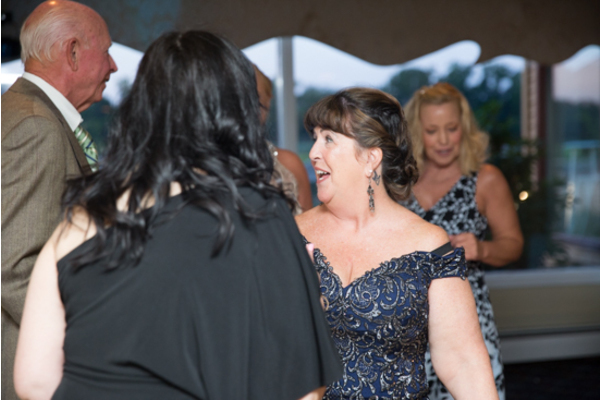 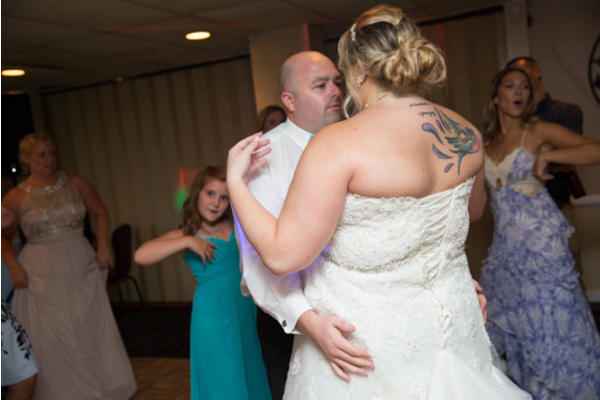 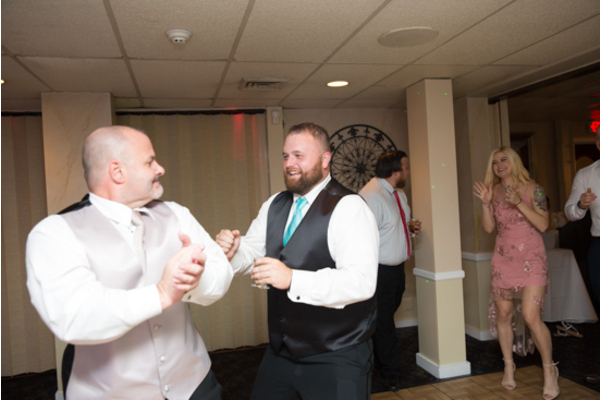 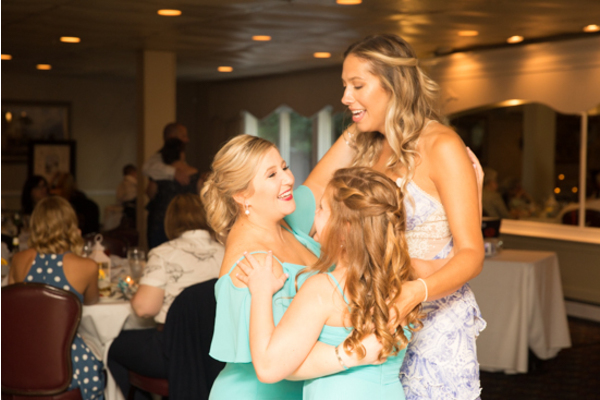 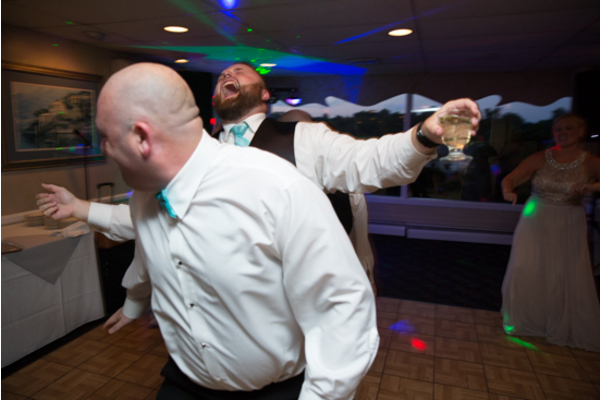 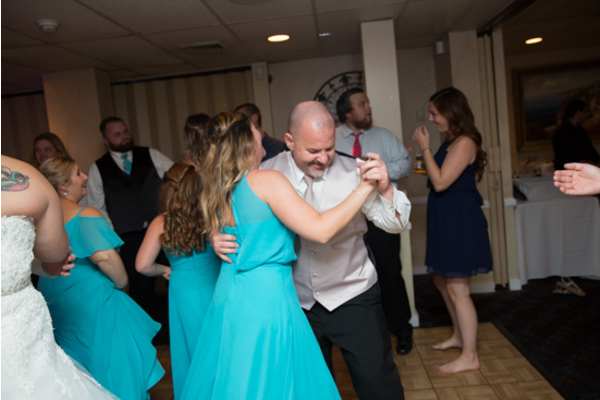 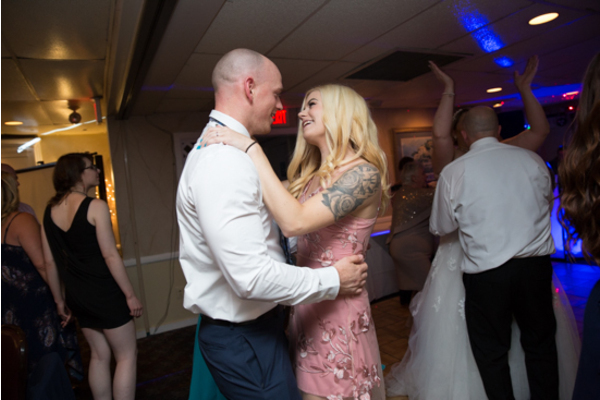 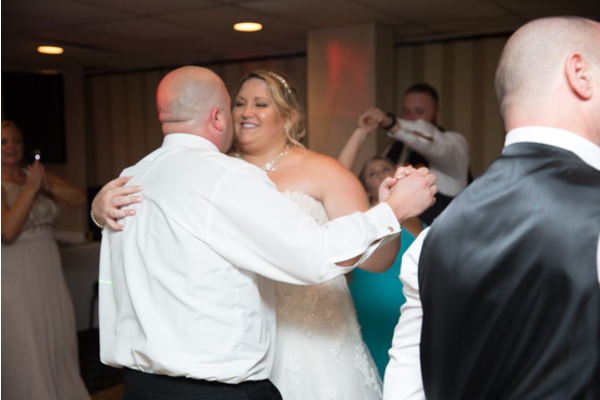 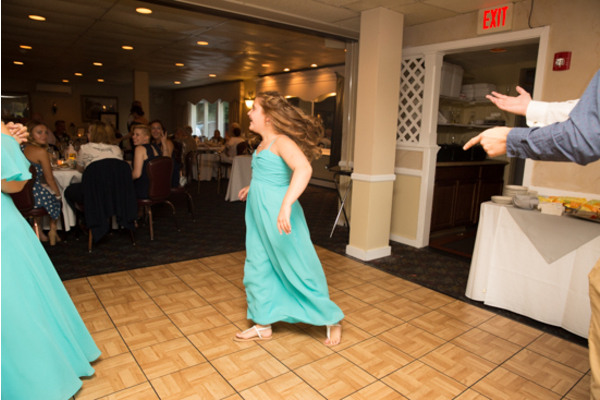 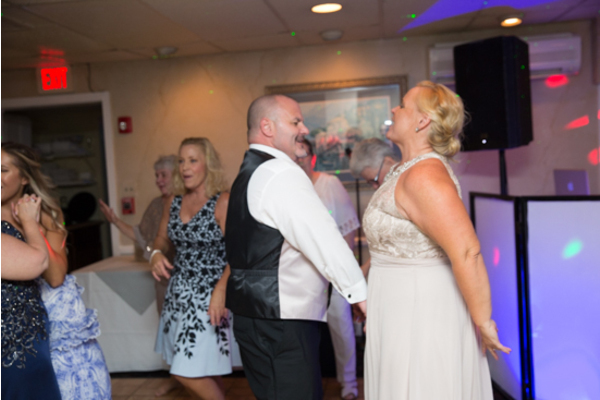 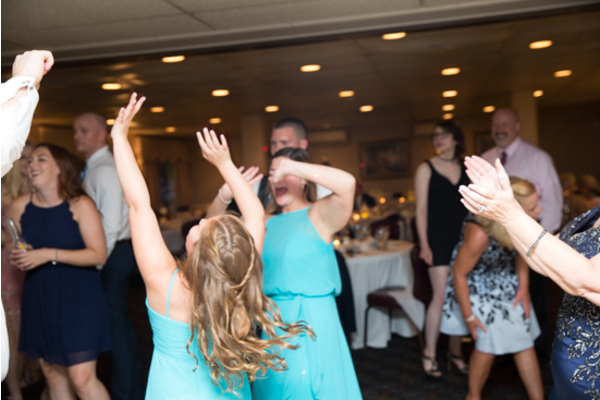 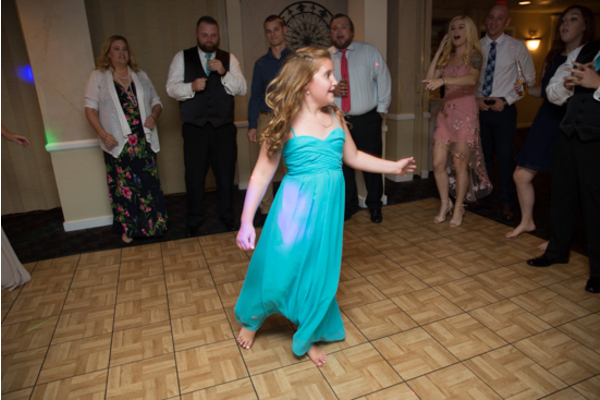 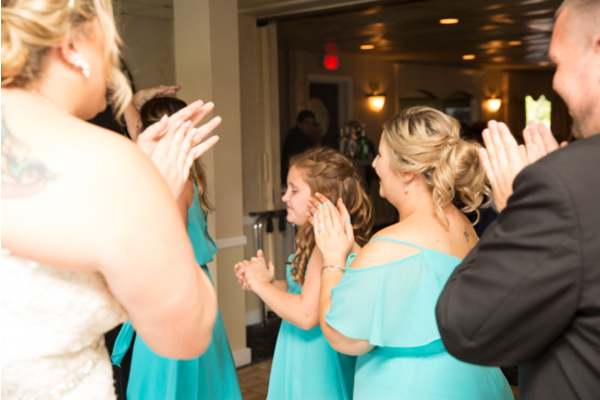 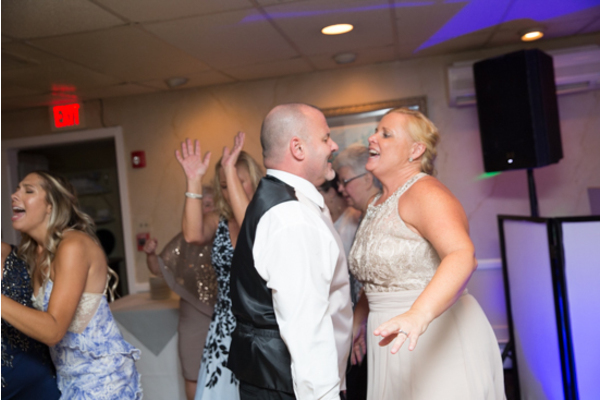 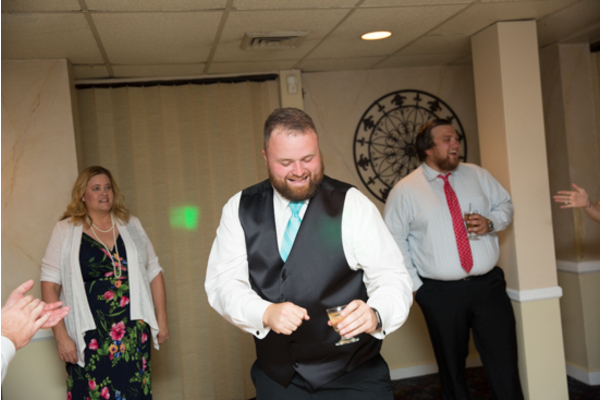 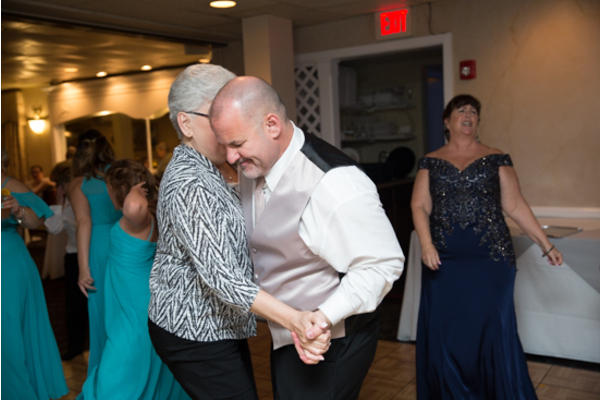 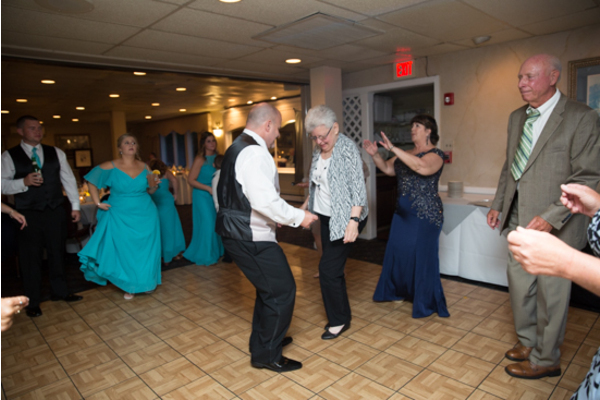 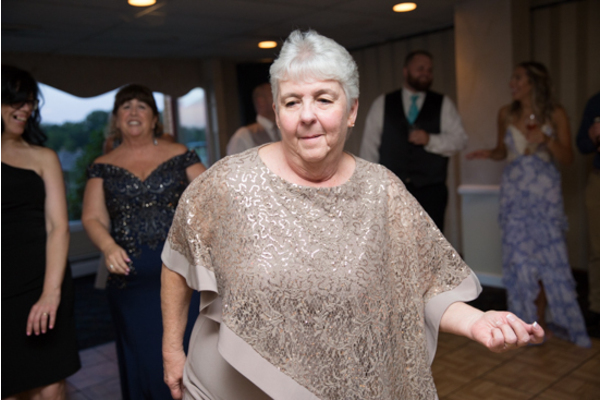 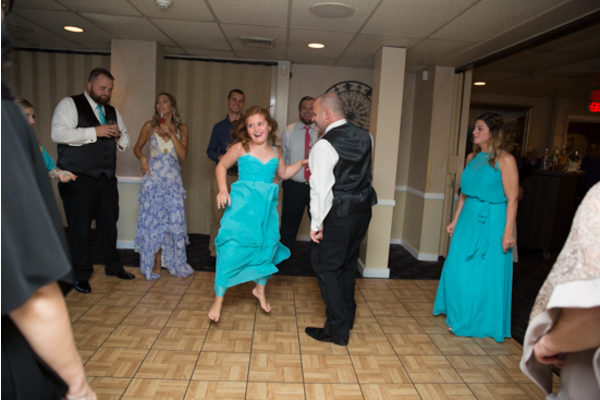 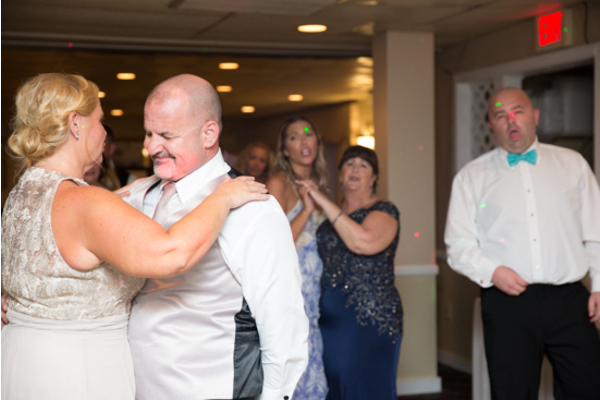 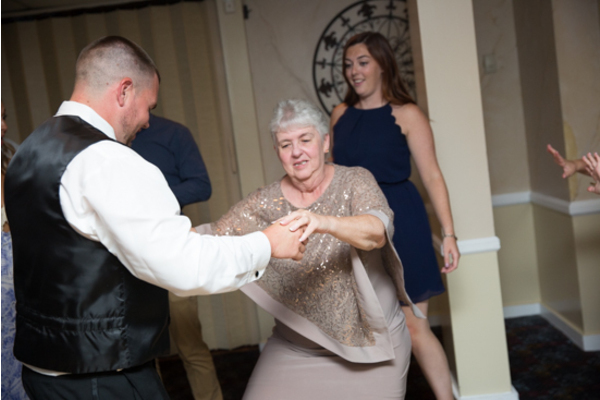 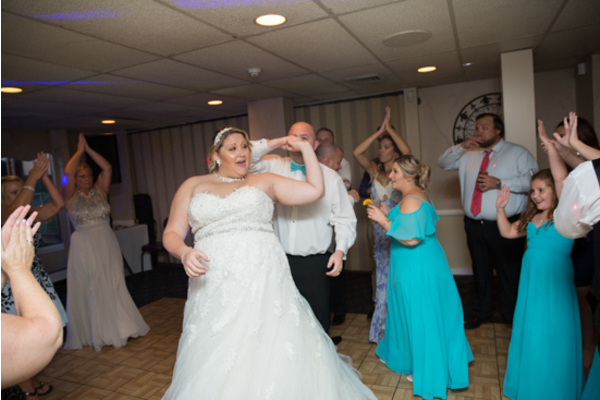 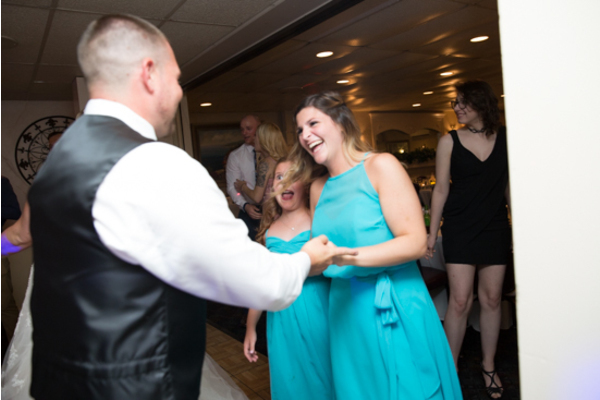 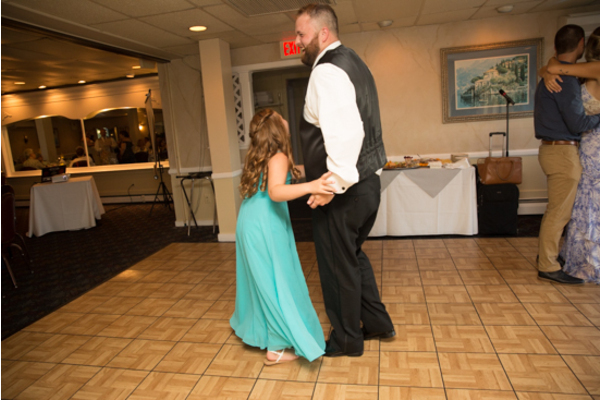 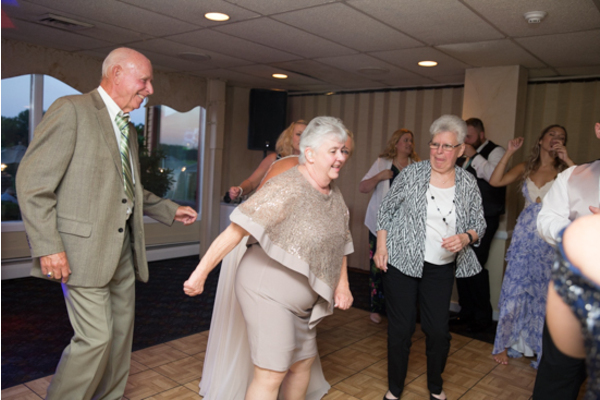 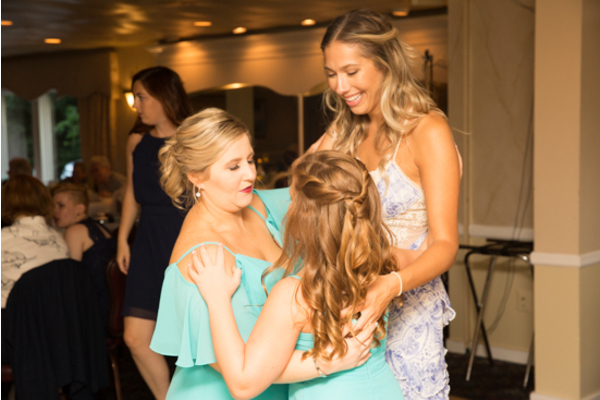 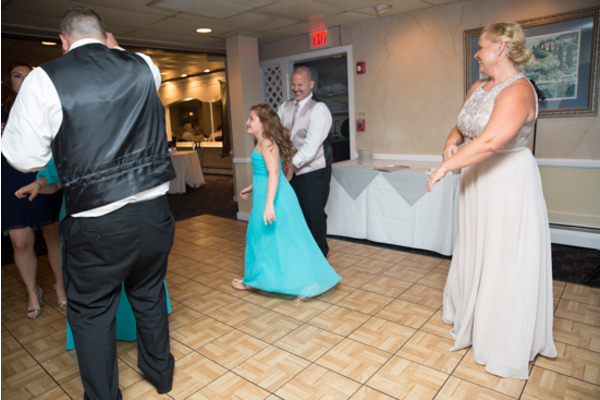 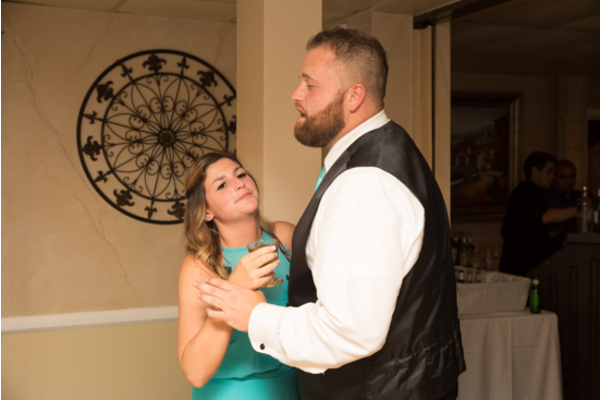 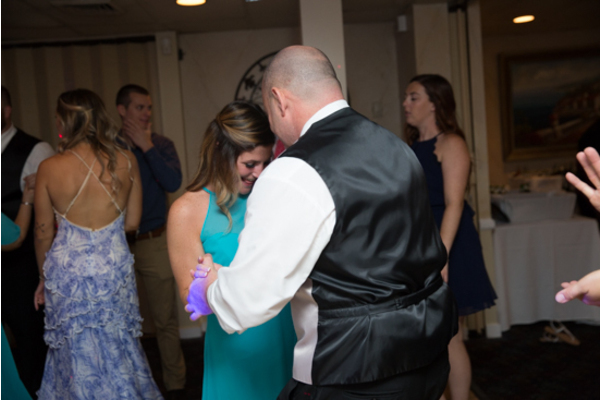 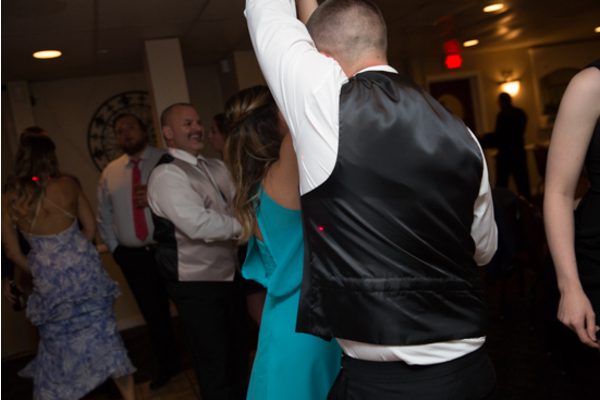 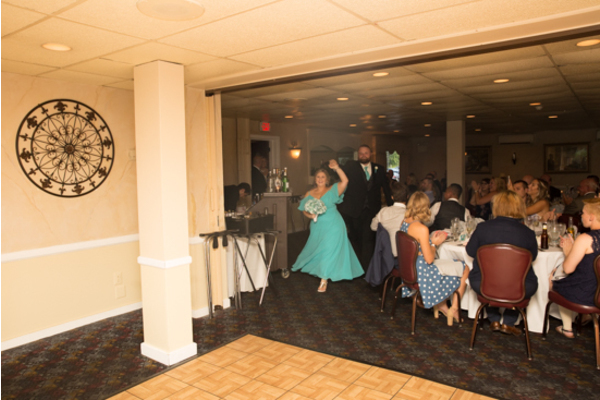 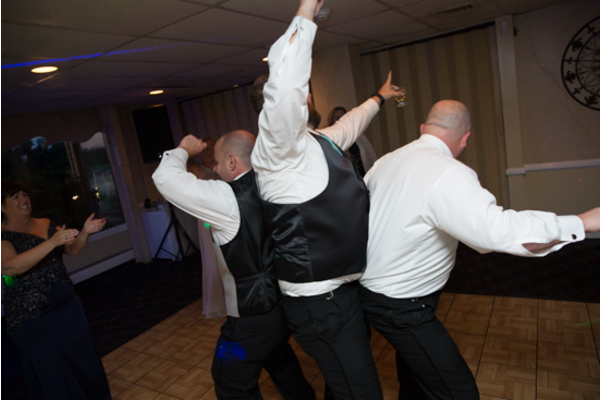 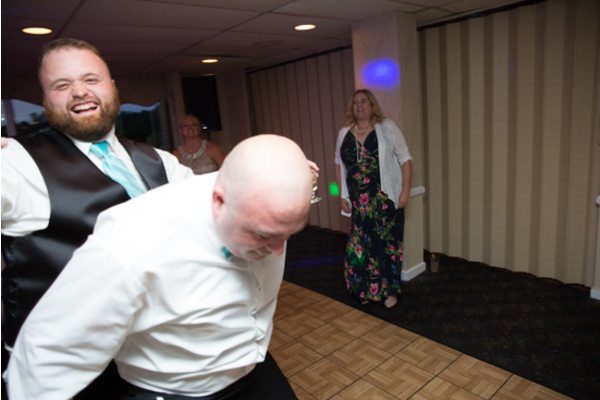 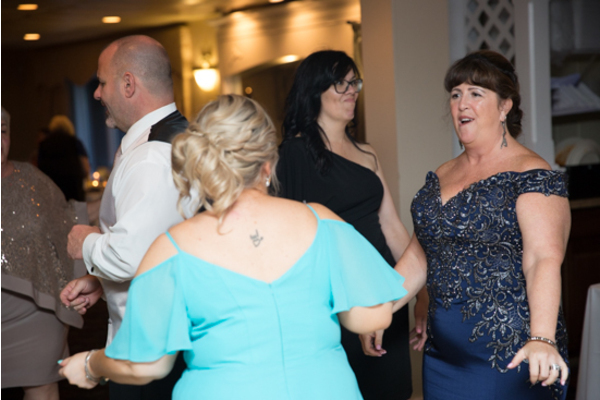 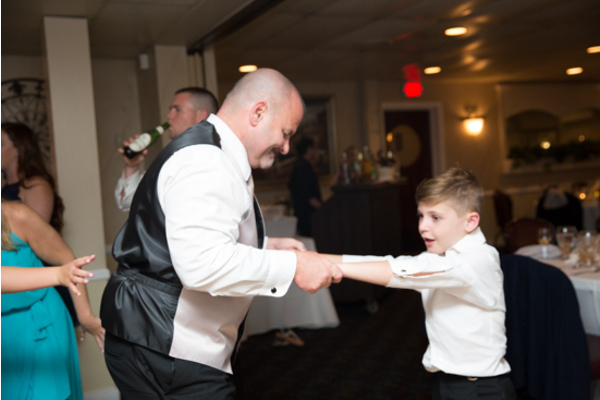 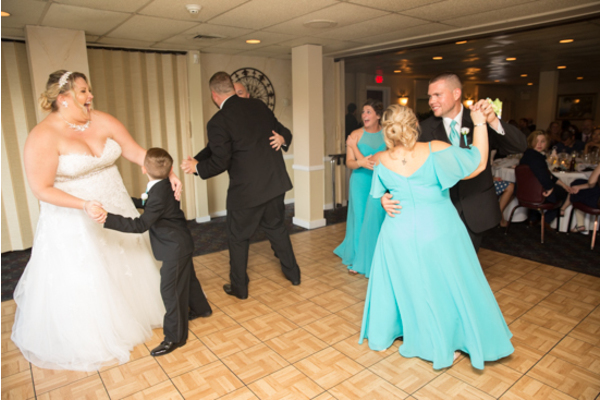 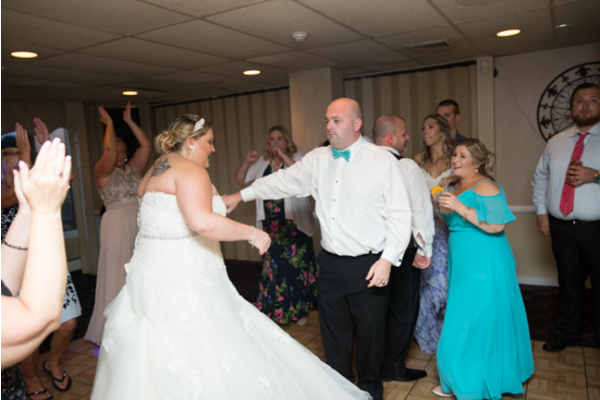 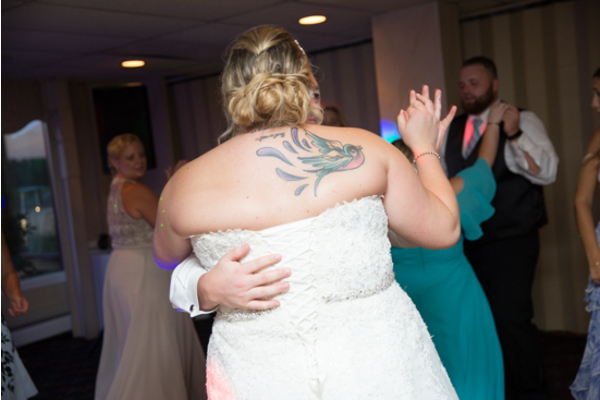 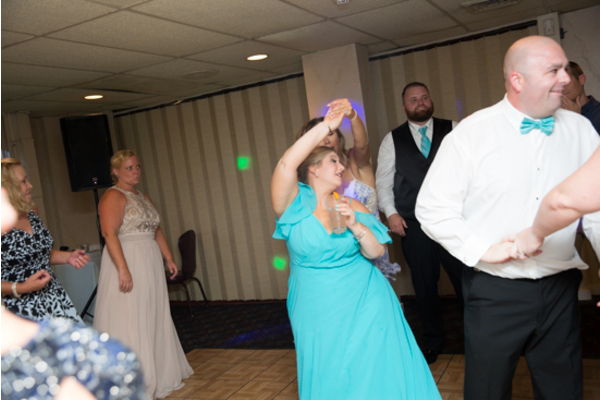 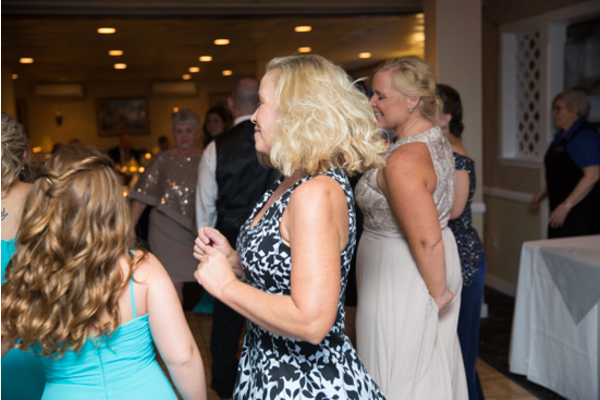 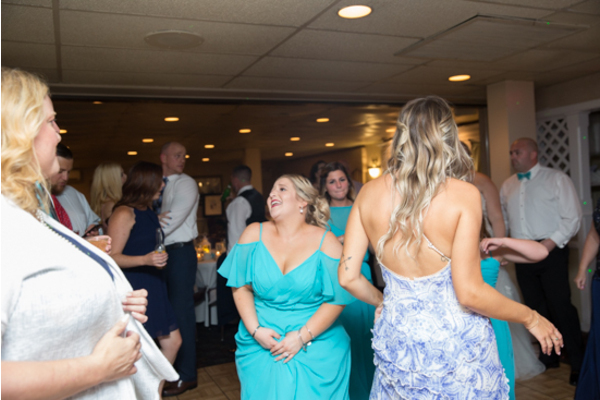 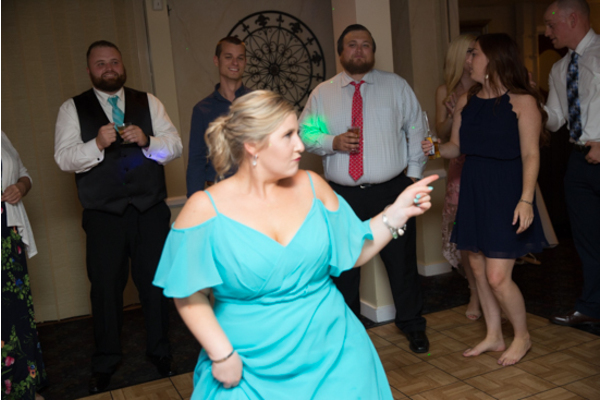 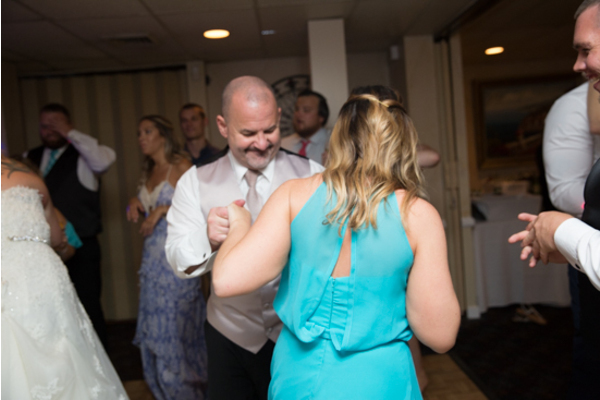 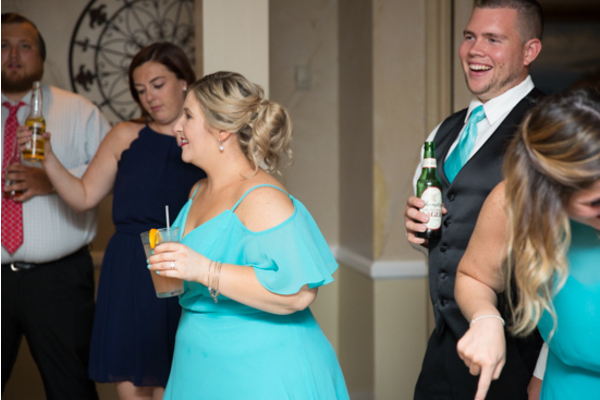 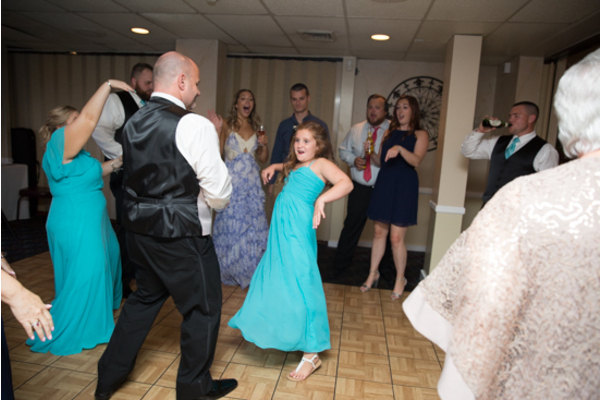 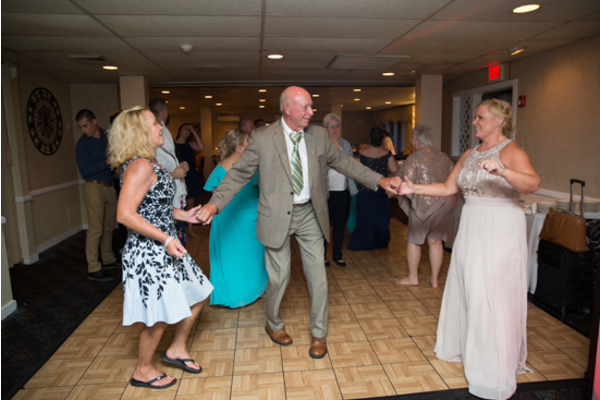 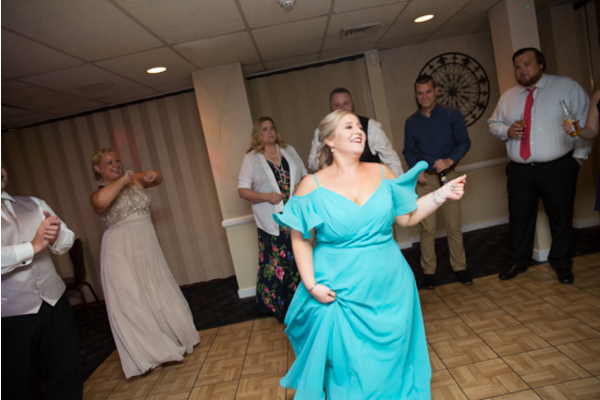 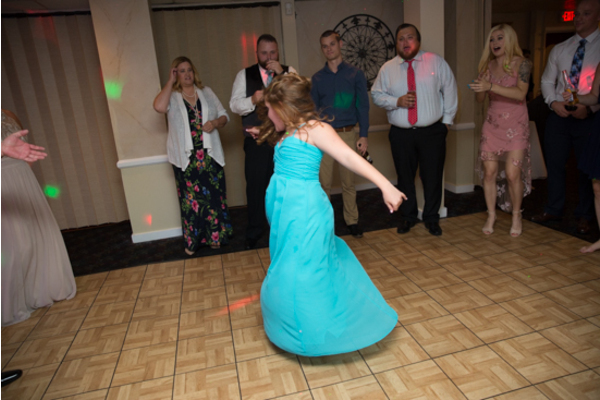 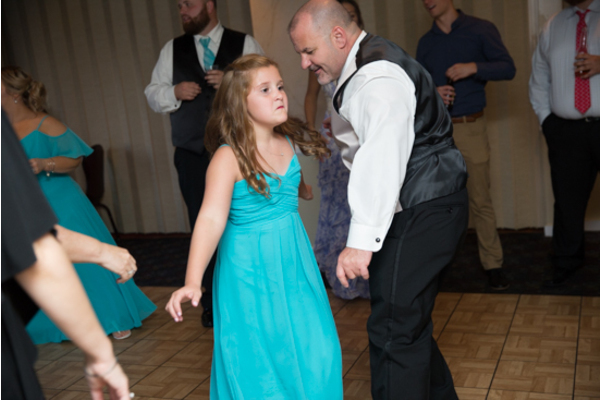 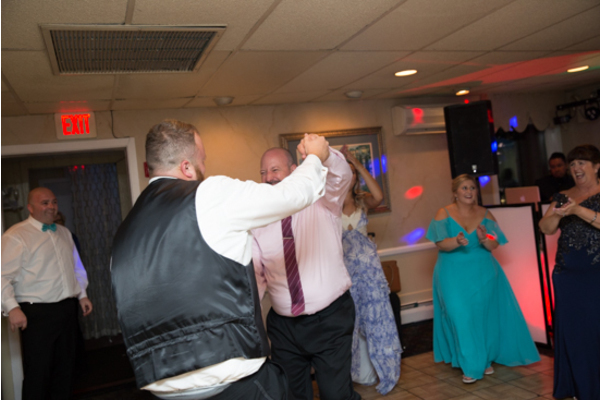 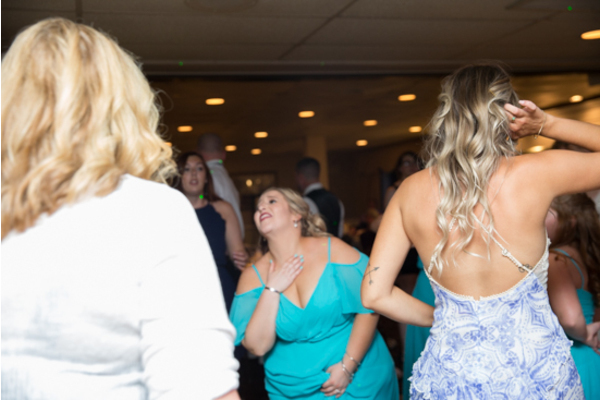 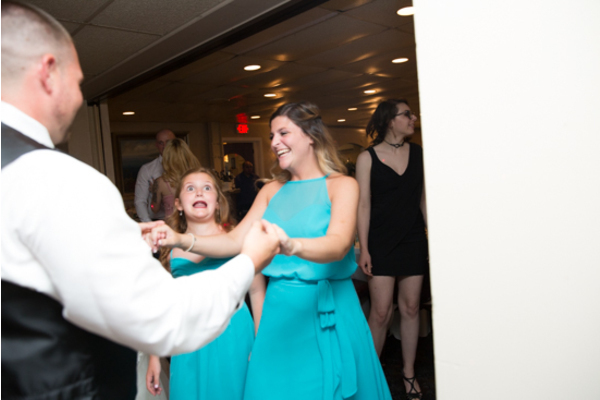 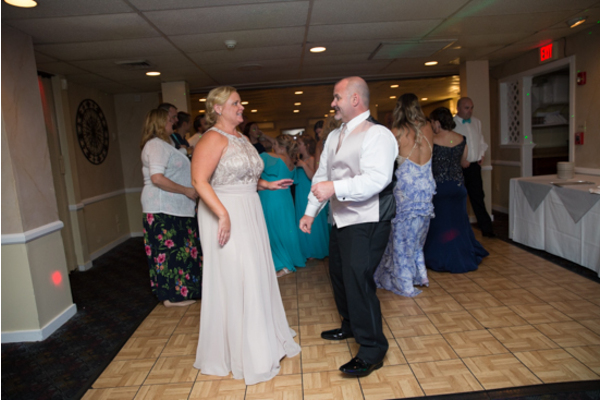 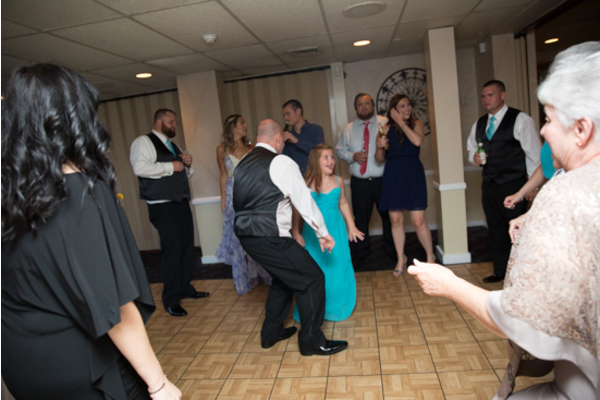 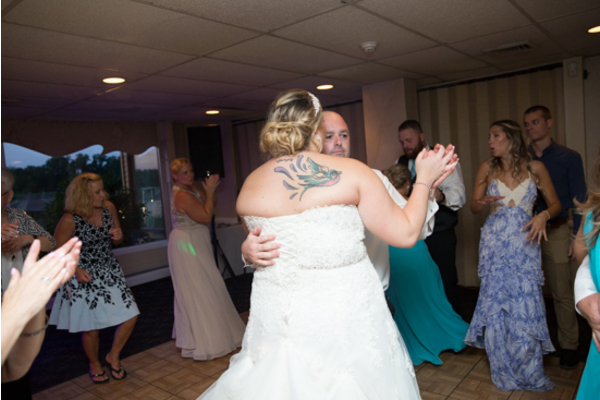 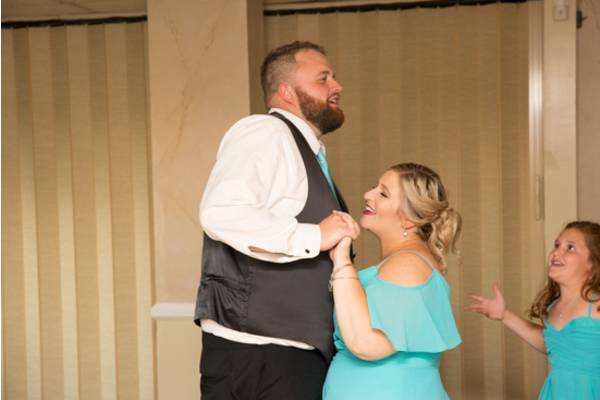 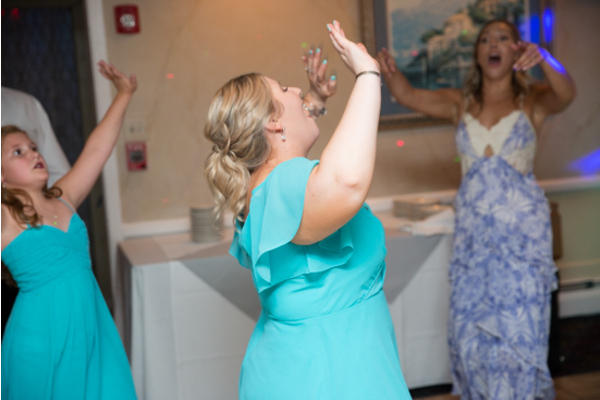 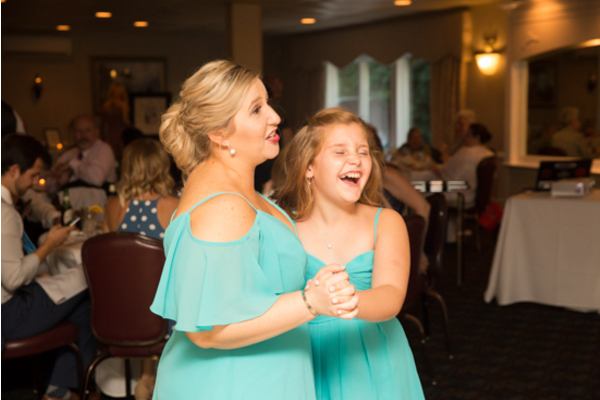 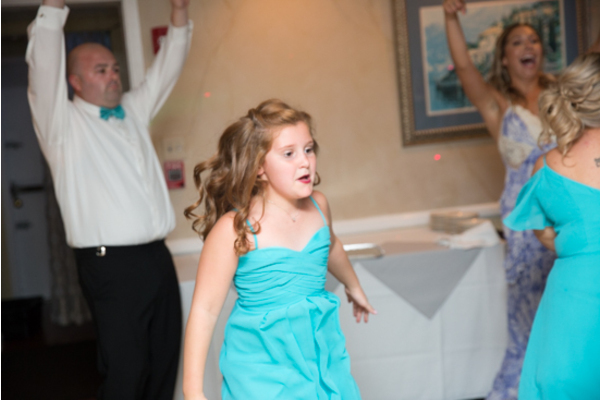 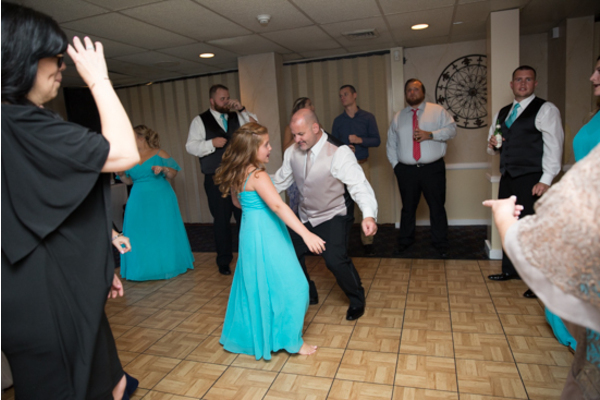 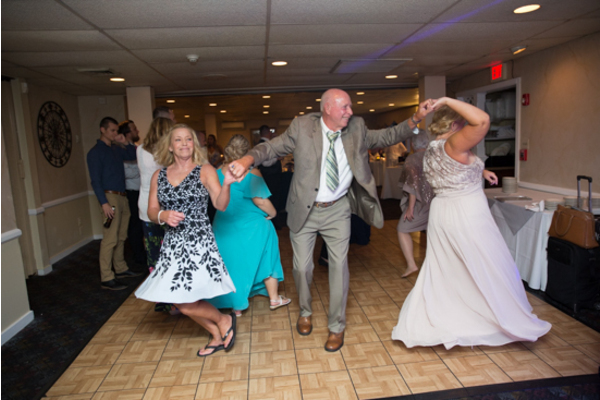 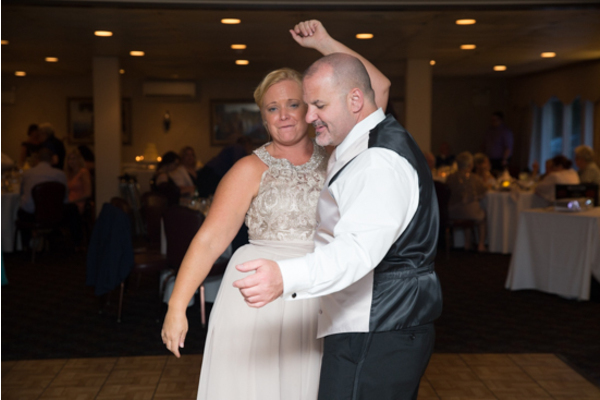 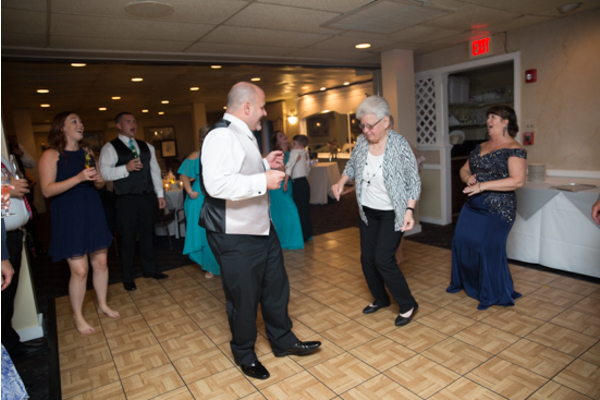 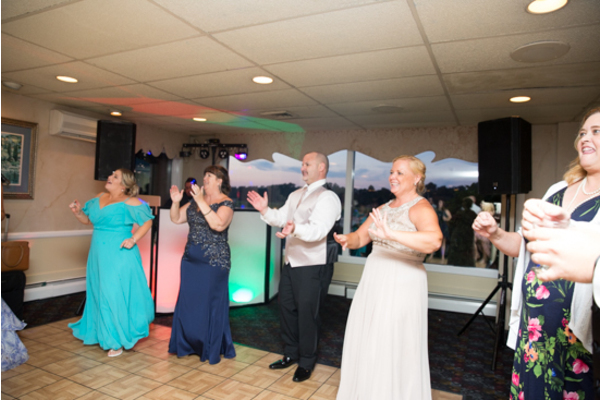 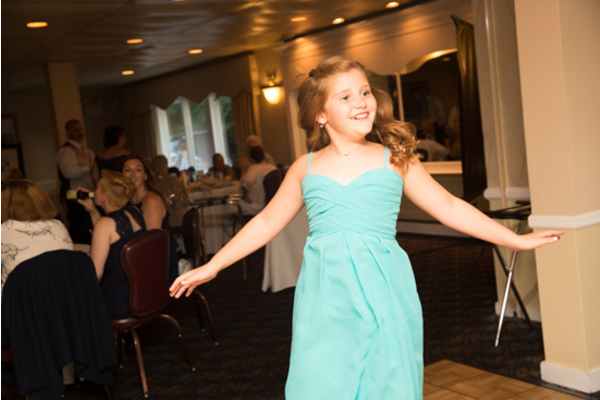 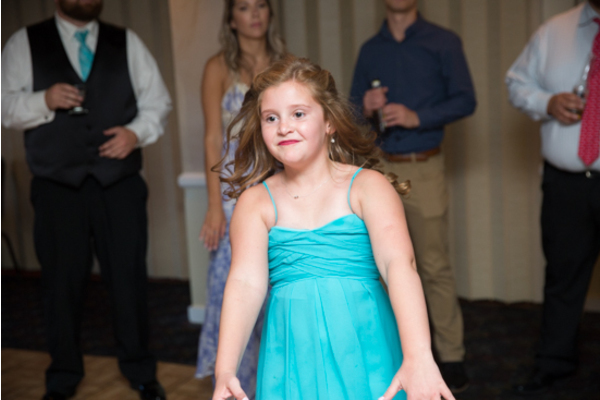 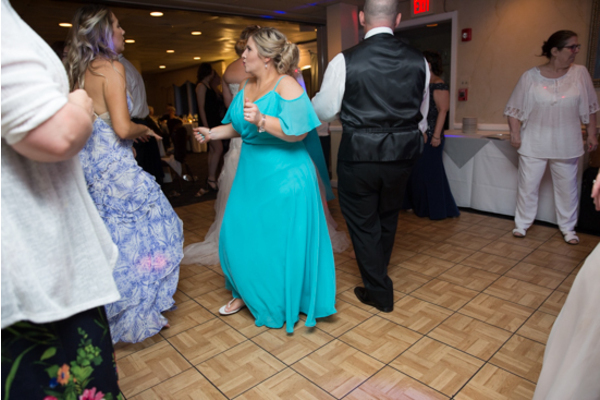 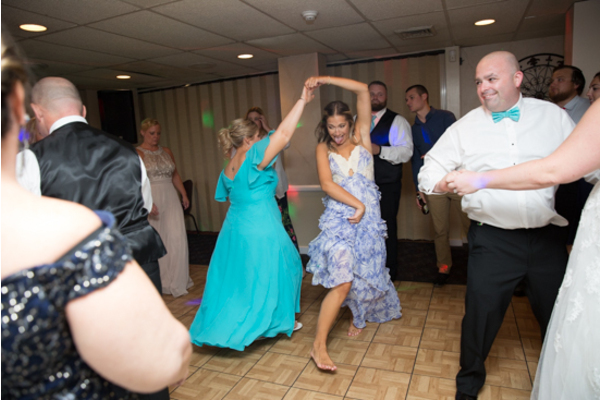 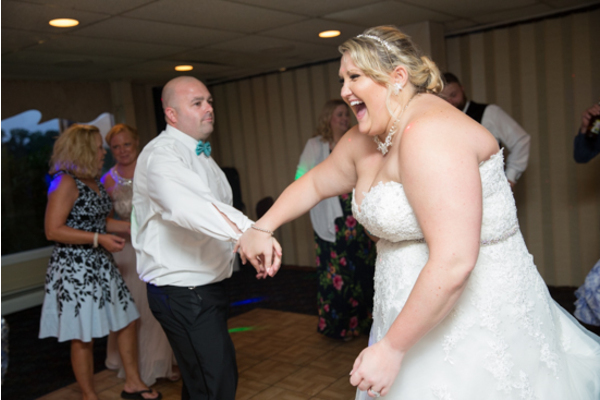 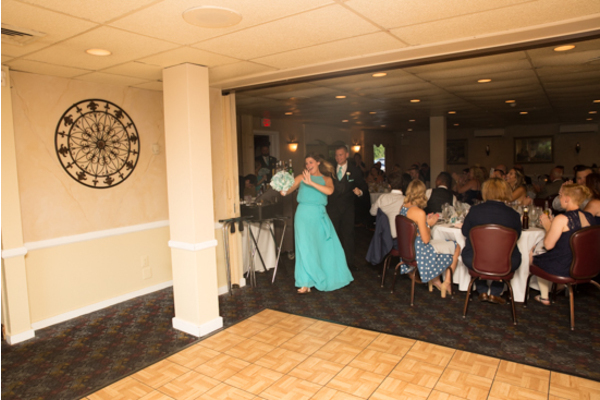 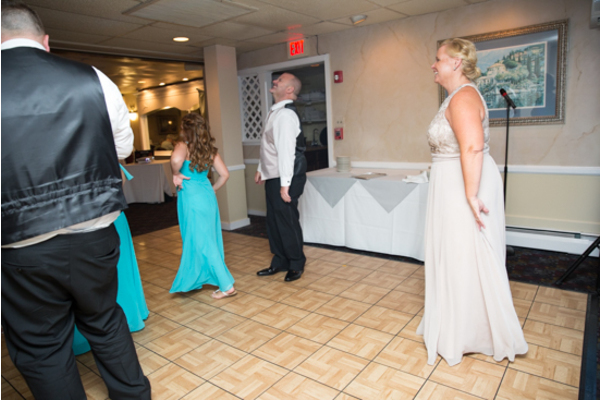 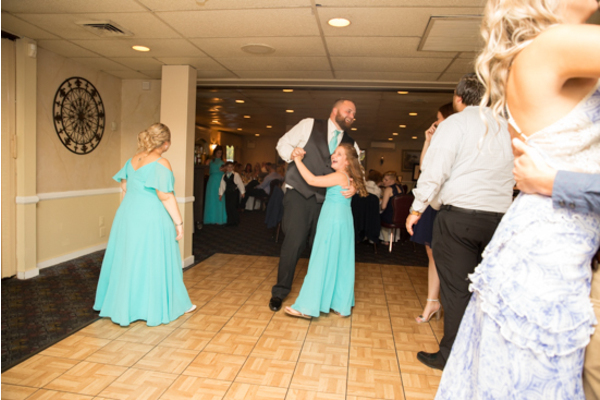 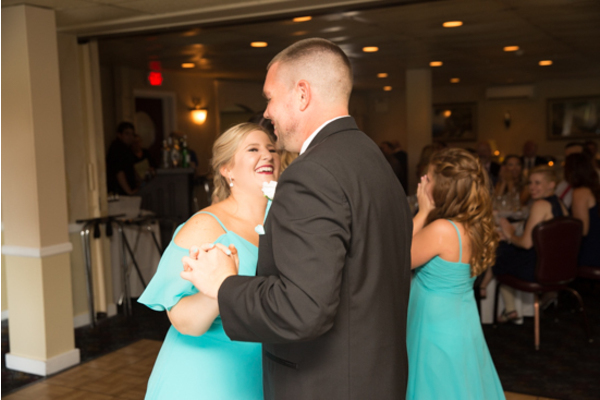 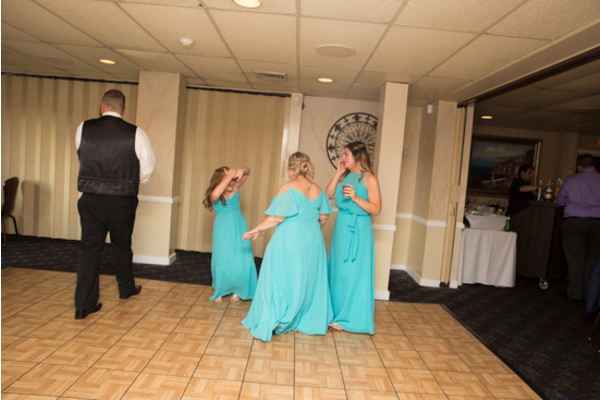 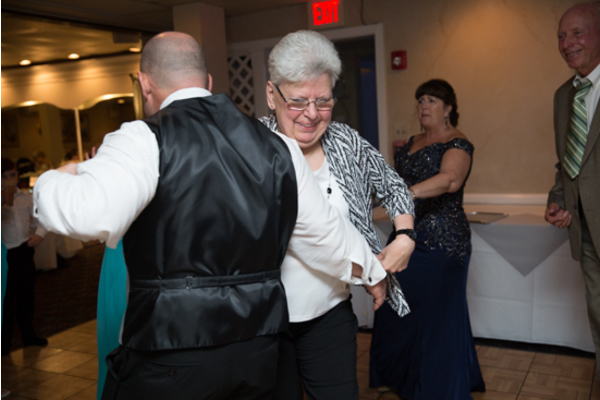 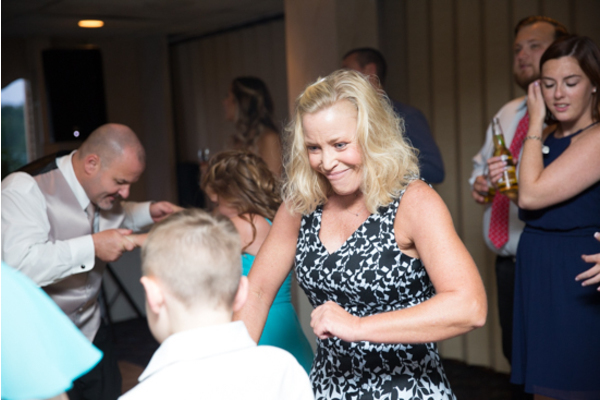 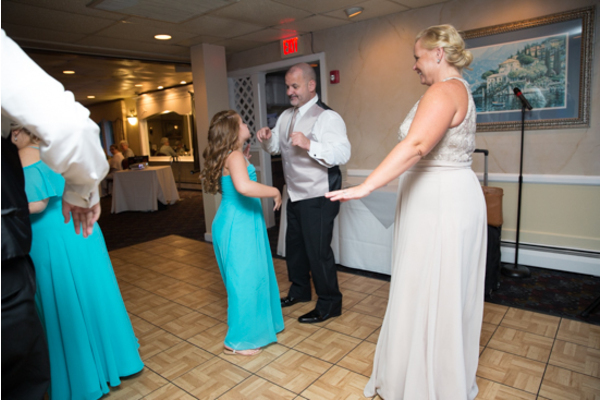 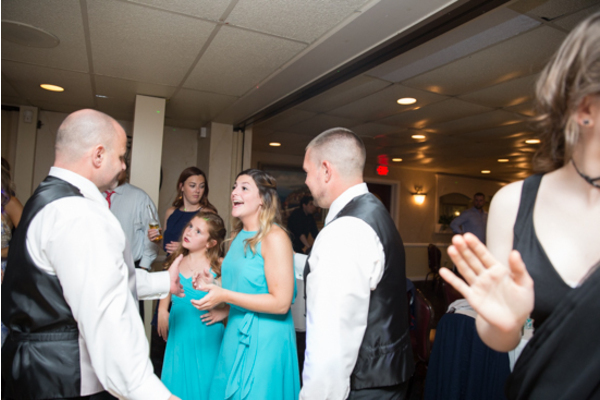 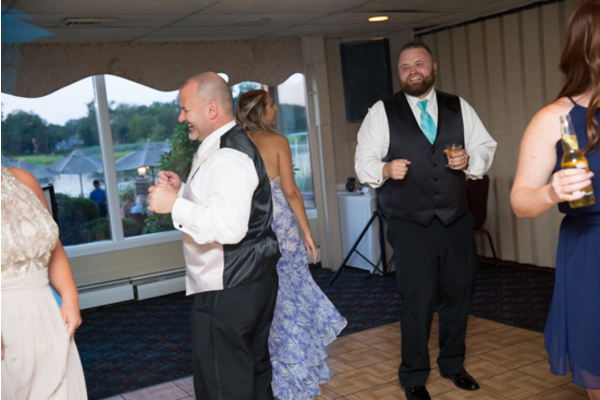 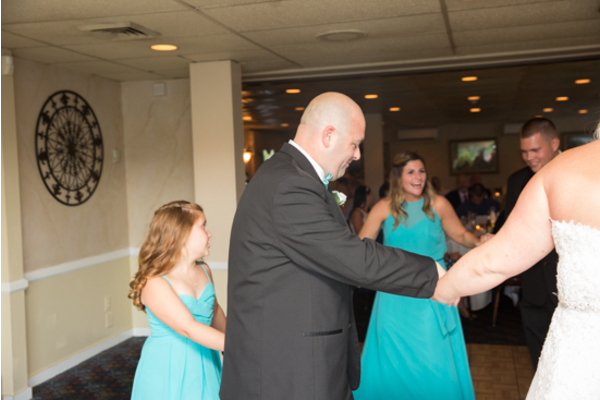 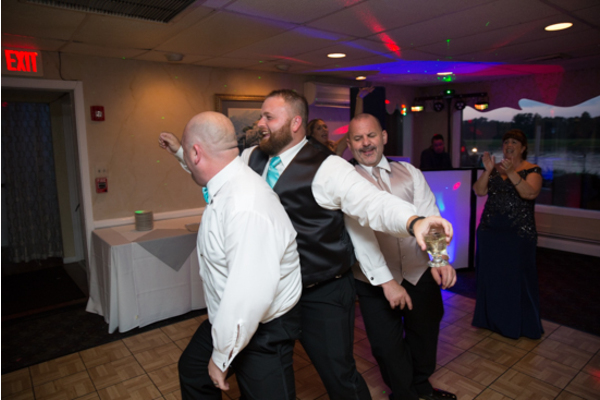 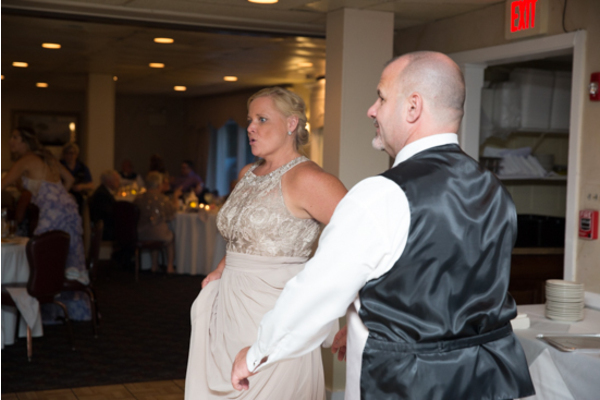 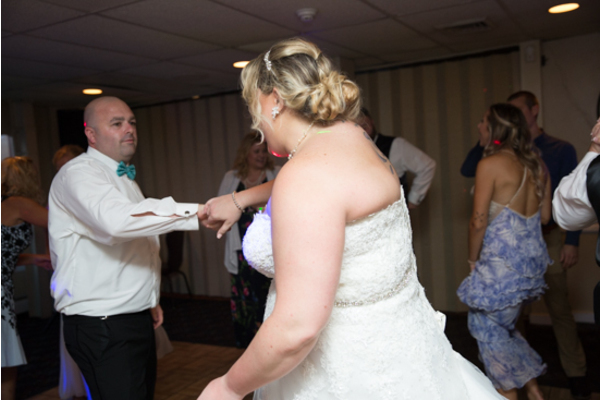 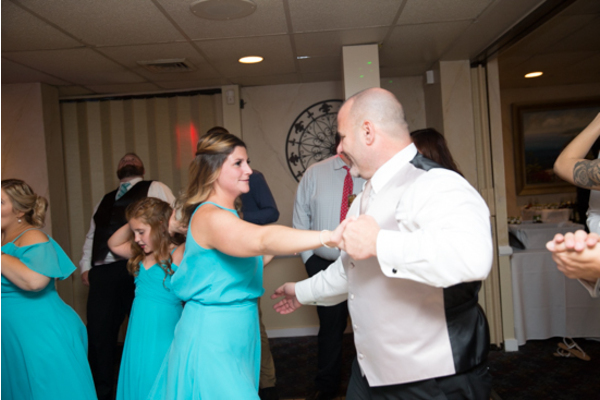 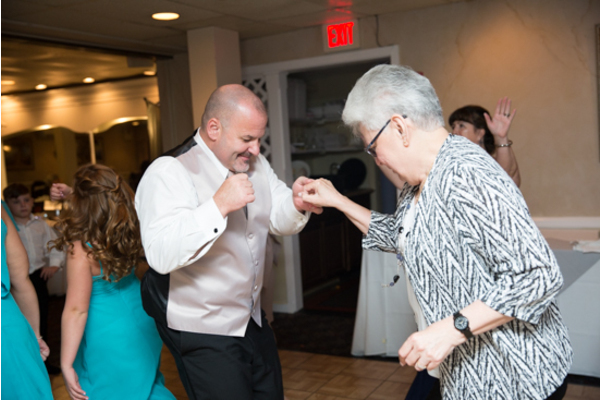 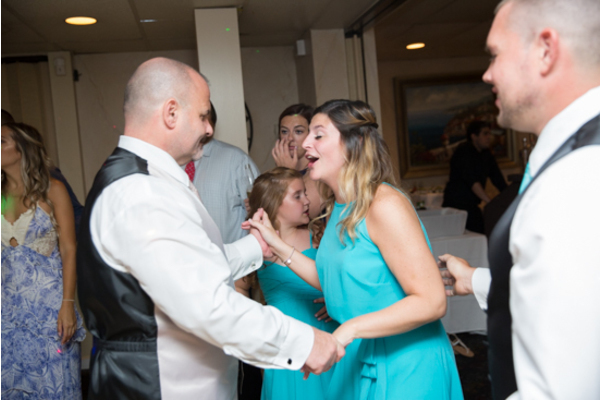 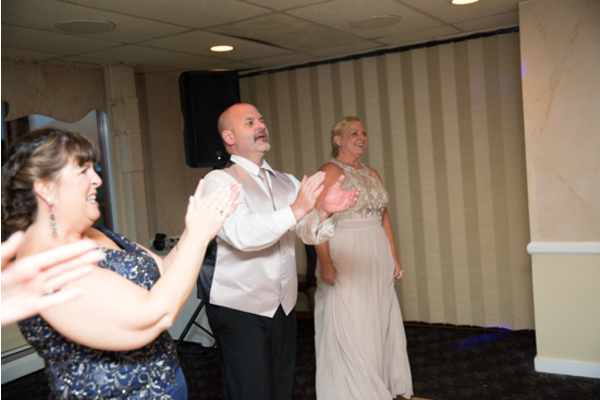 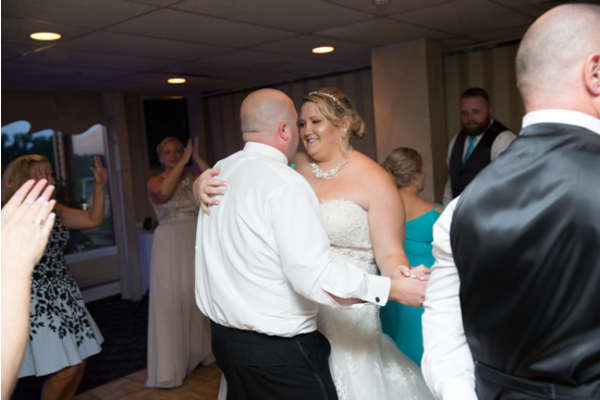 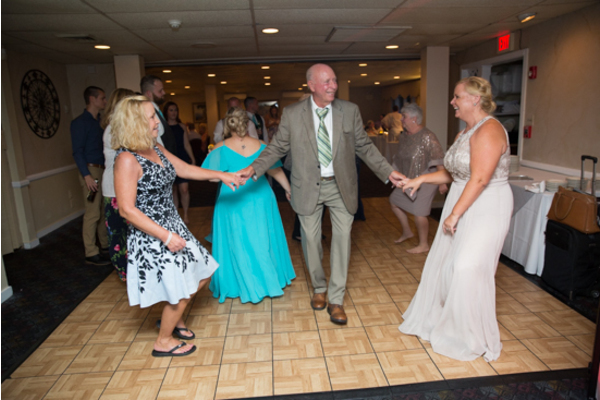 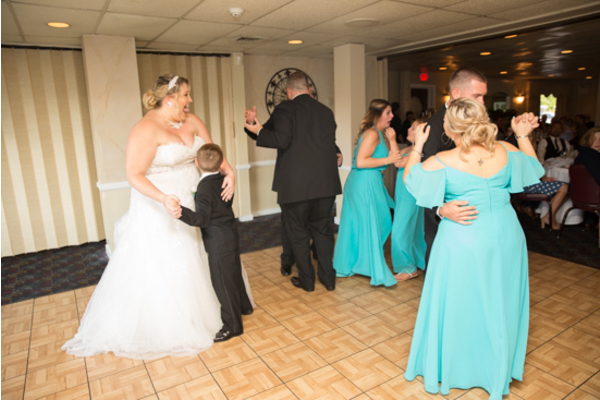 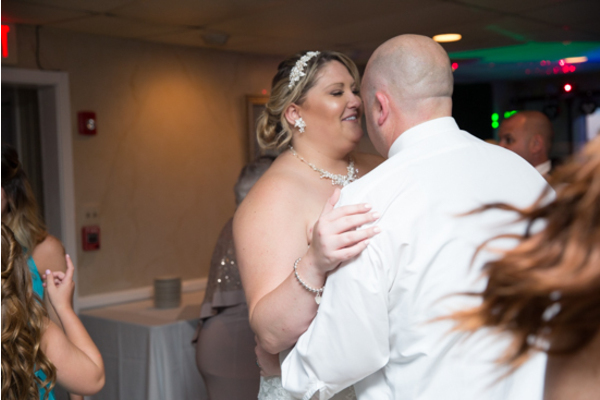 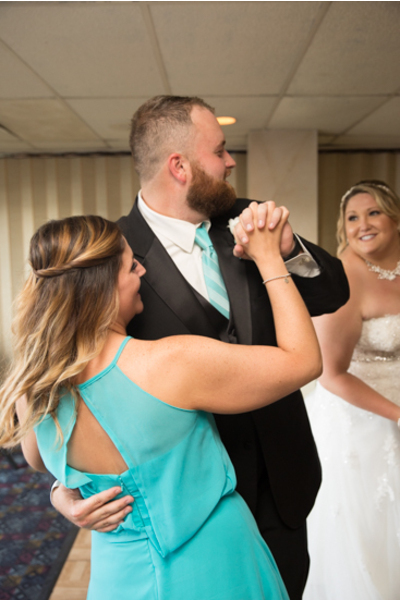 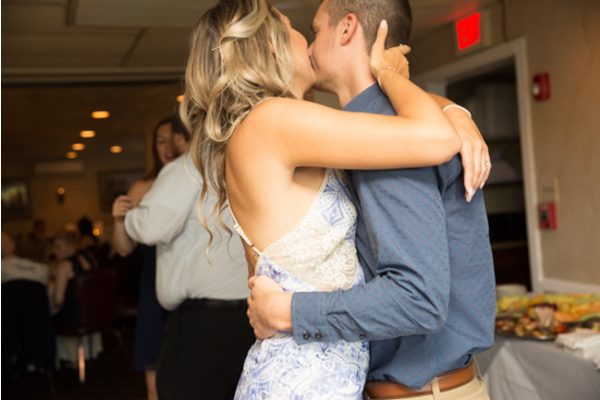 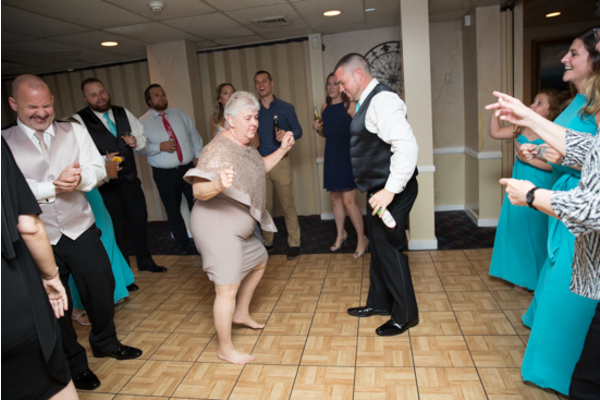 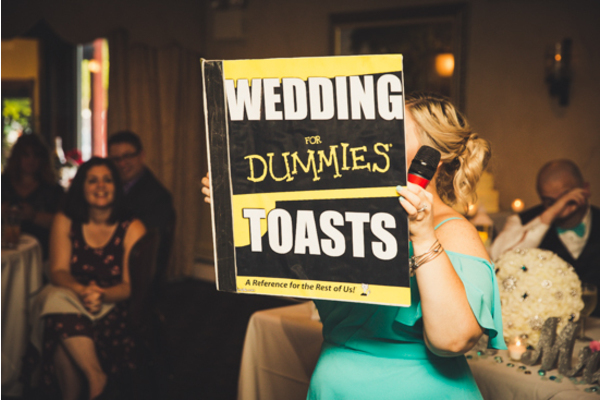 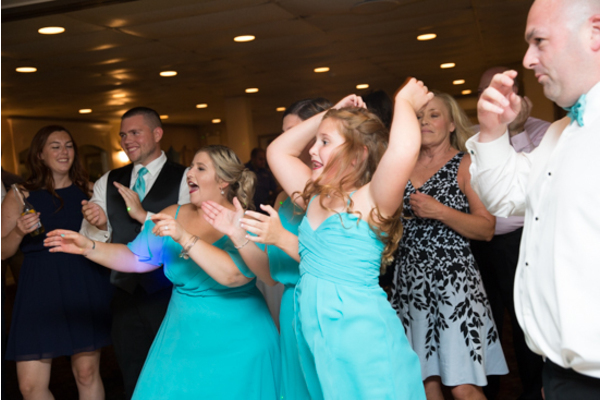 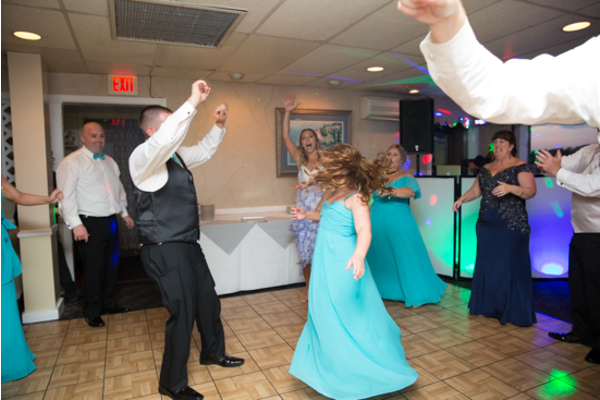 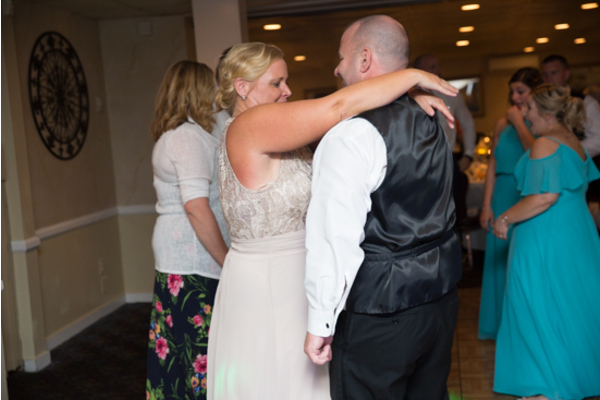 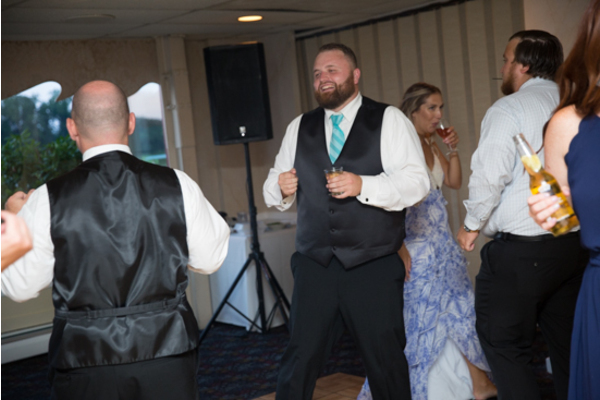 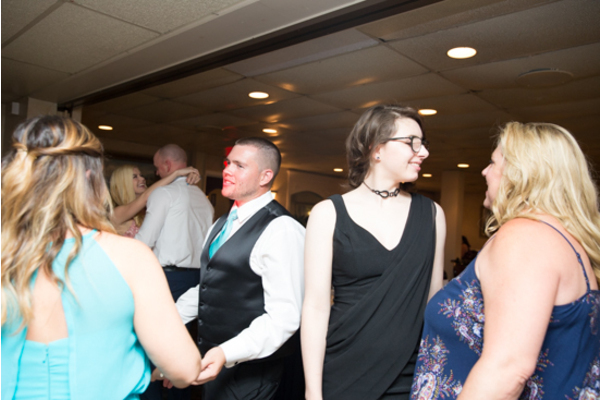 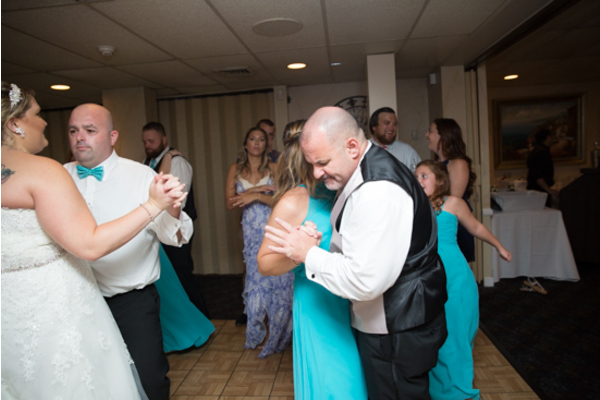 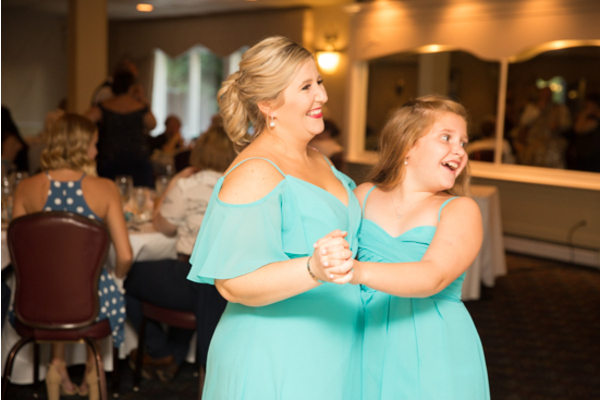 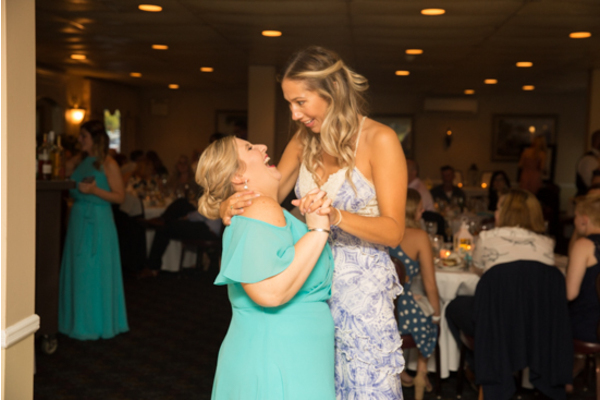 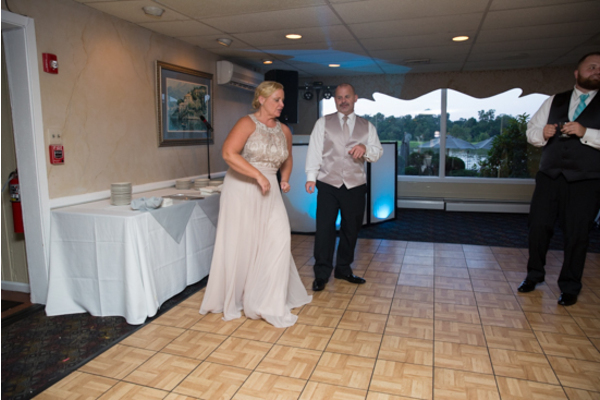 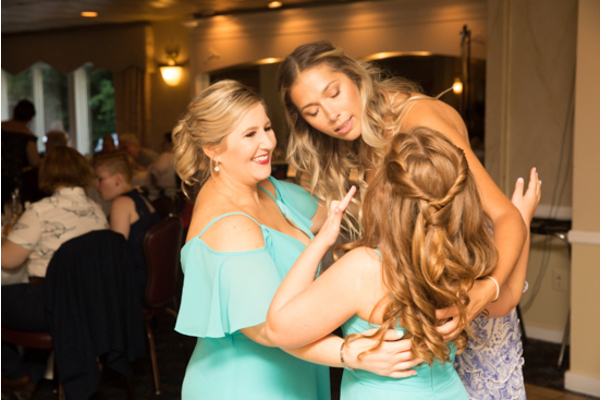 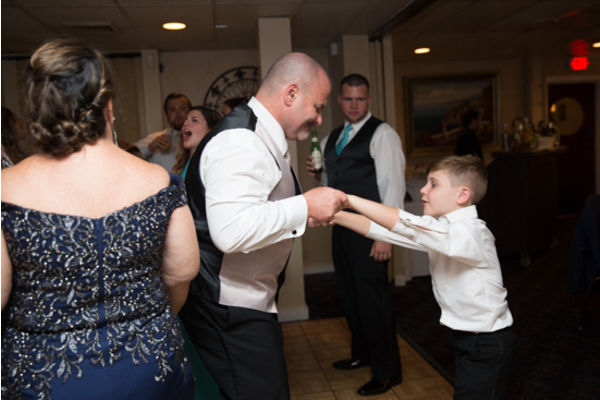 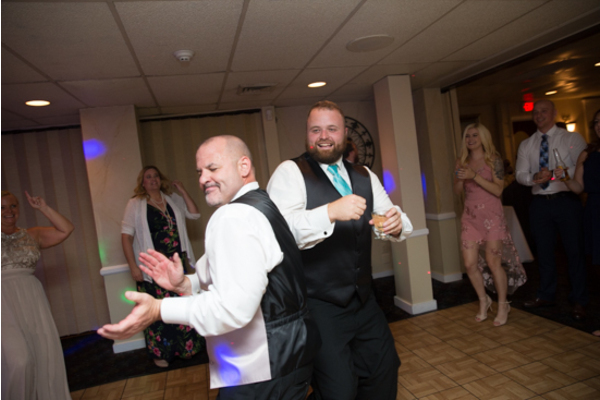 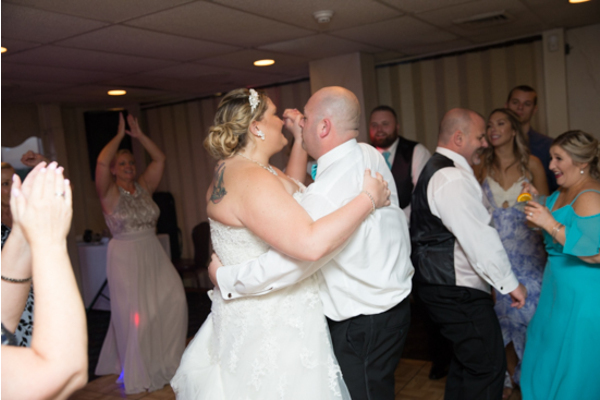 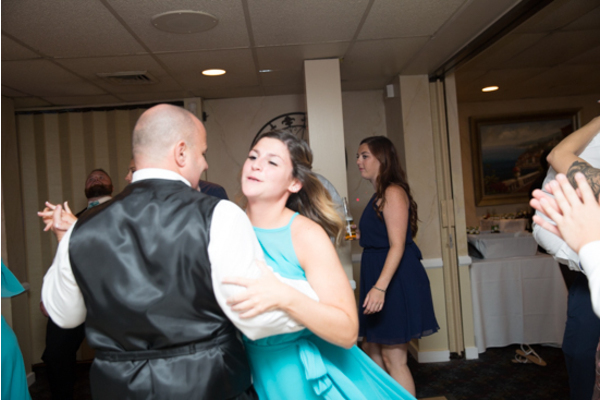 As the night went on, our NJ Wedding photographer captured more scenes of everyone dancing the night away! 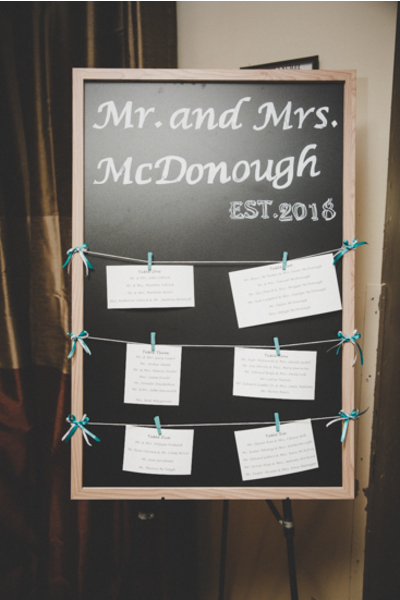 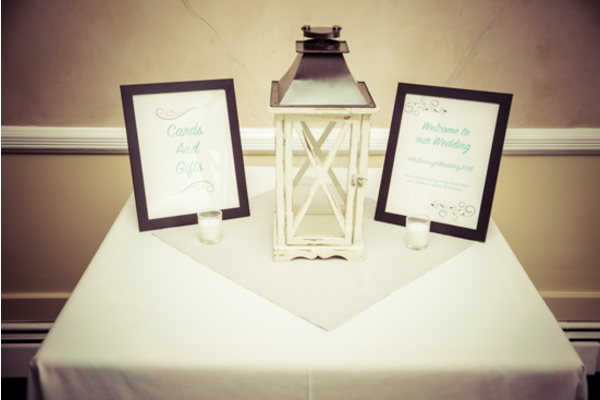 Situated around the room were elegant touches of the teal color and beach inspired decorations. 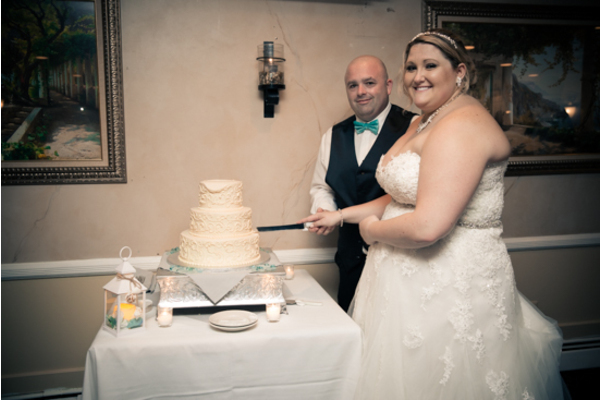 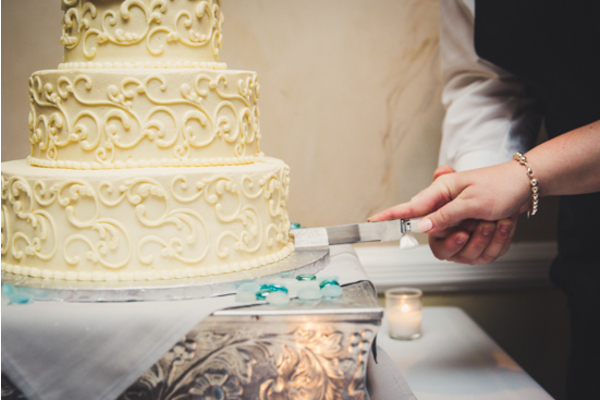 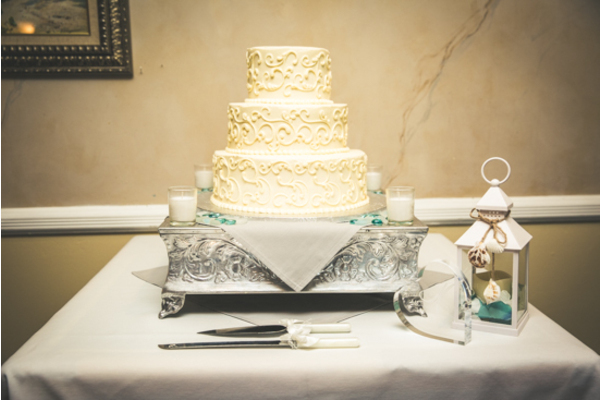 Later on, Kaitlin and John cut into their exquisite wedding cake and made a champagne toast! 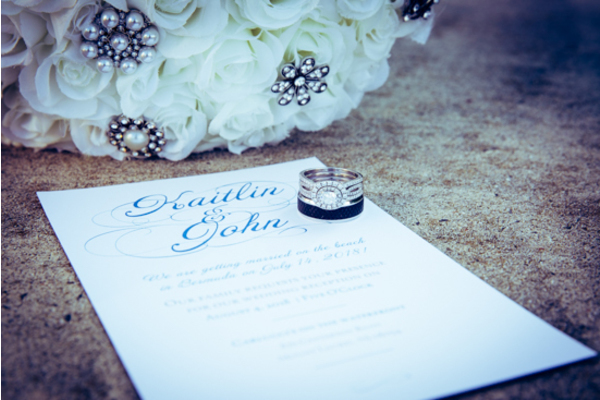 Congratulations, again, to Kaitlin and John! 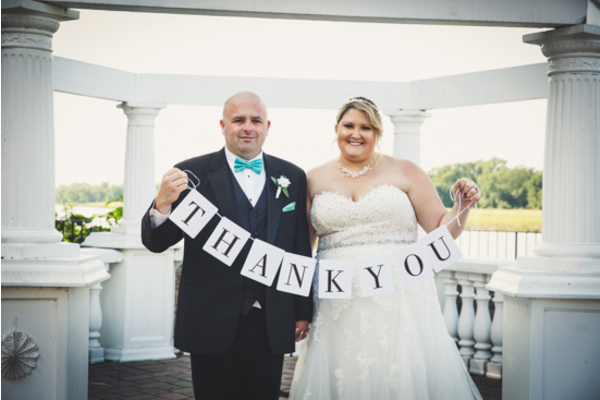 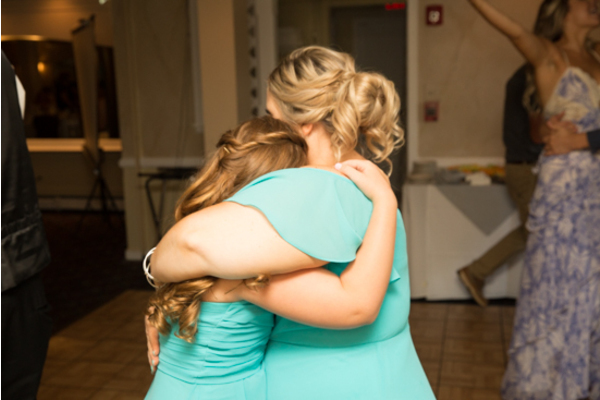 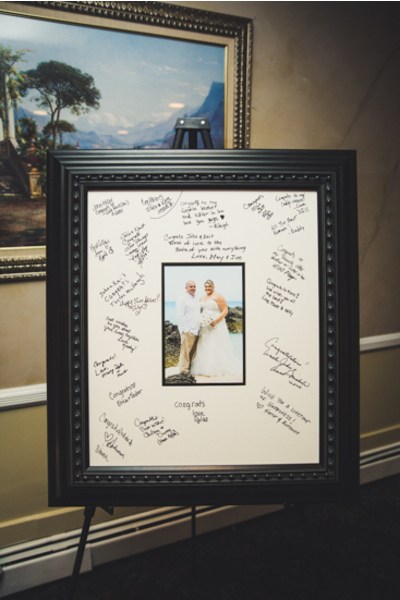 We loved being apart of the summer wedding of your dreams!